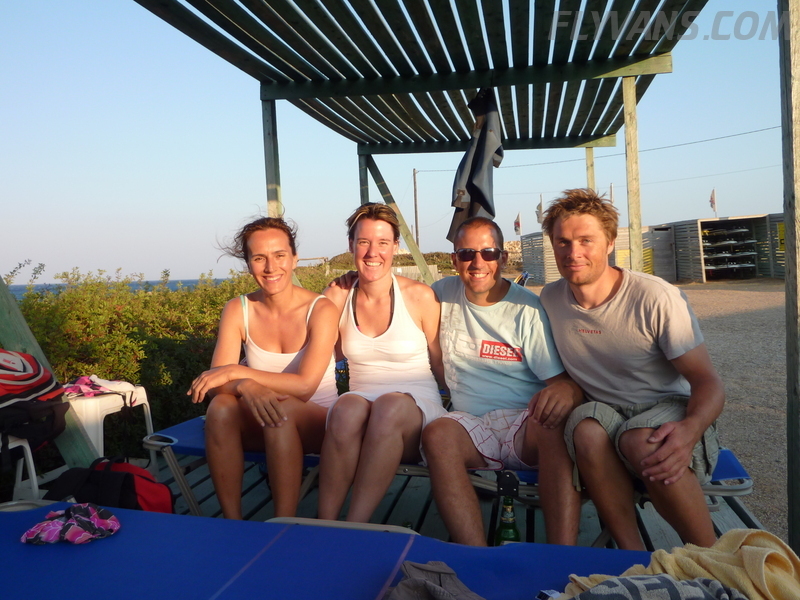 Before leaving for Karpathos, took our local friend Vangelis on a tour around the island, it seems he liked it ;-). 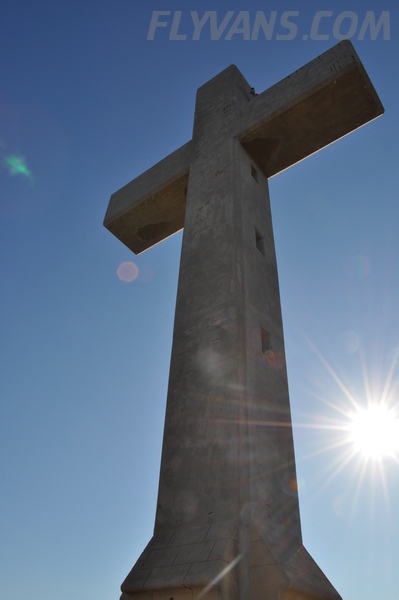 One thing that got me literally upset at Rhodes was an extremely rude and unfriendly HCAA representative. 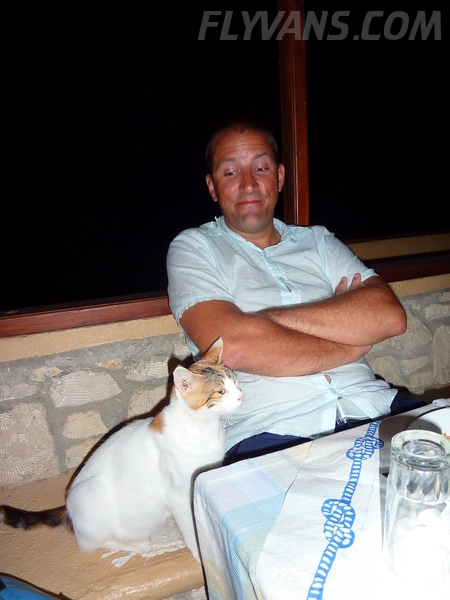 In fact, he was so rude that i will try to file a report against this individual. 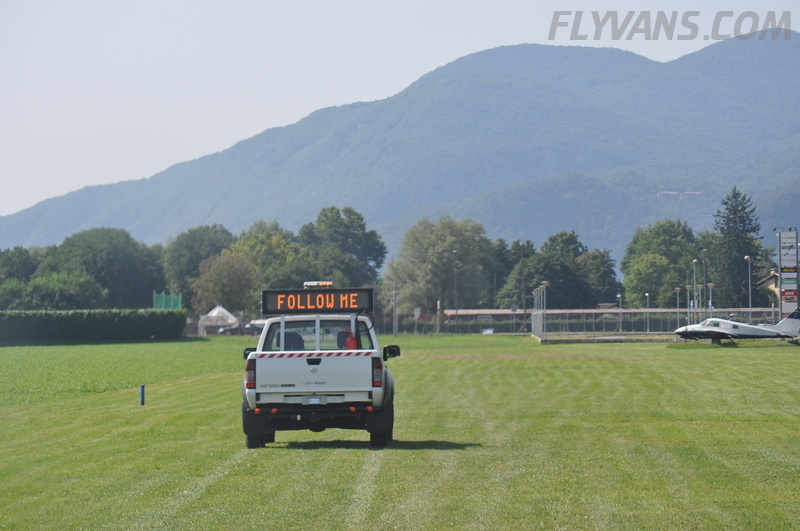 Simply to help all the other employees at the airport who complain about him for ages but cannot speak up and to help future GA pilots. 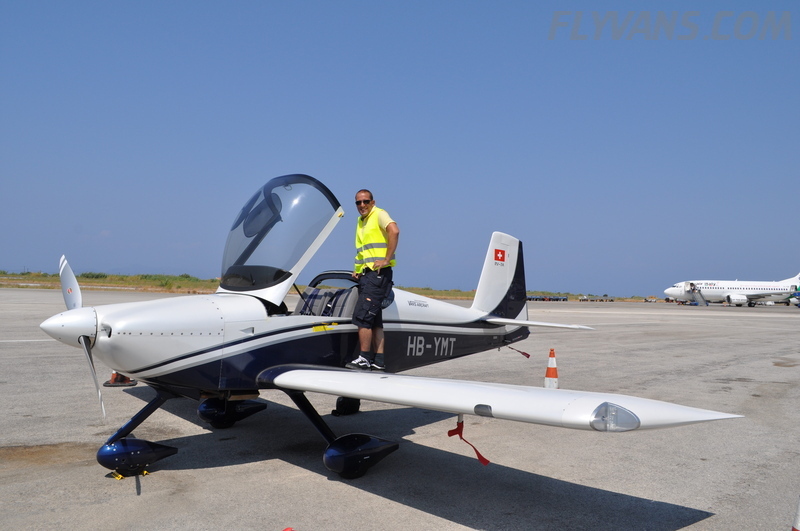 It’s one thing to discuss about whether having to pay a 12€ passenger charge for my flight attendant without crew ID or not, that’s about a 50/50 hit or miss on the airports i know for a 2-seater small plane ;-) I figure, hey you can always ask. 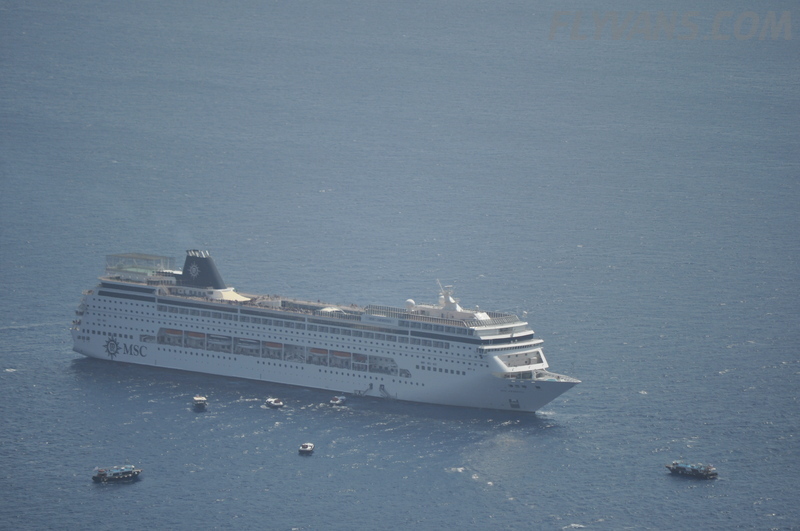 But the aggressivenes and rudeness of this individual was simply unbelievable, one of the “wrong movie” type experiences. 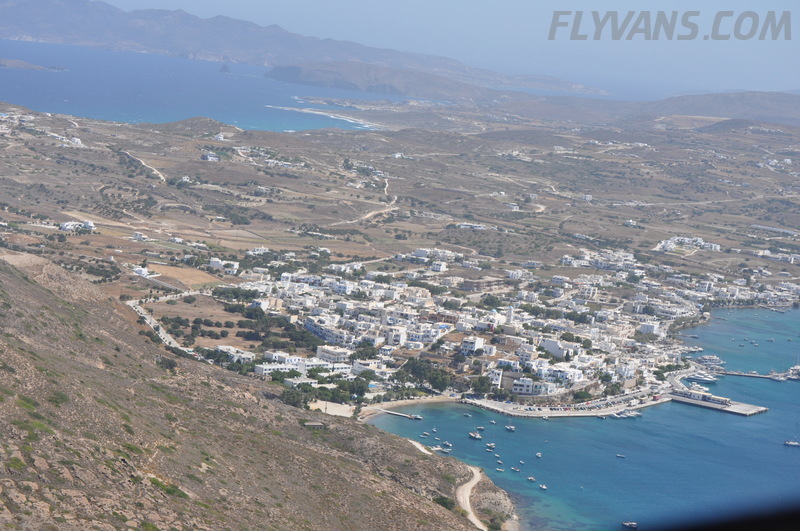 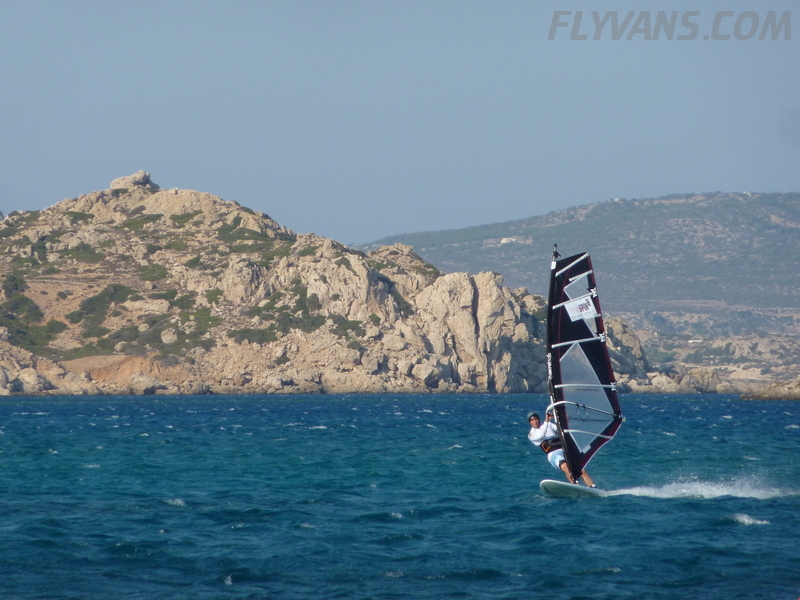 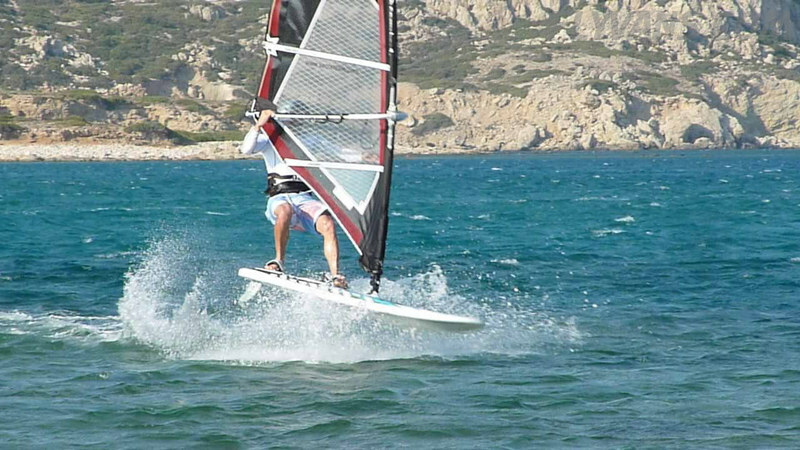 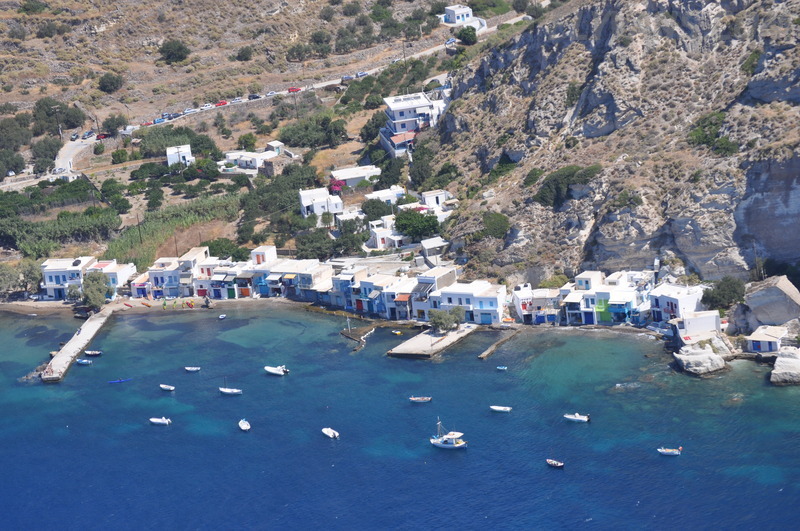 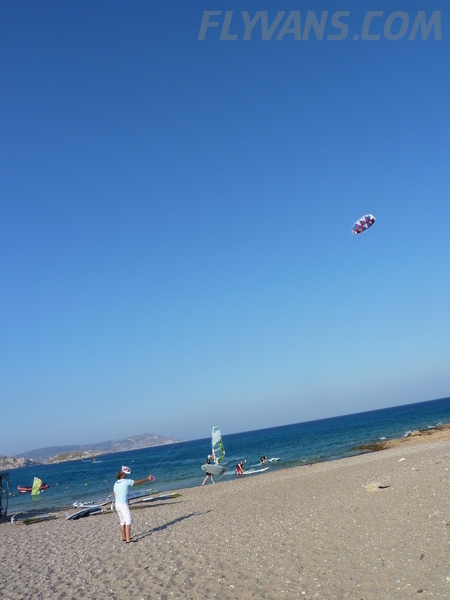 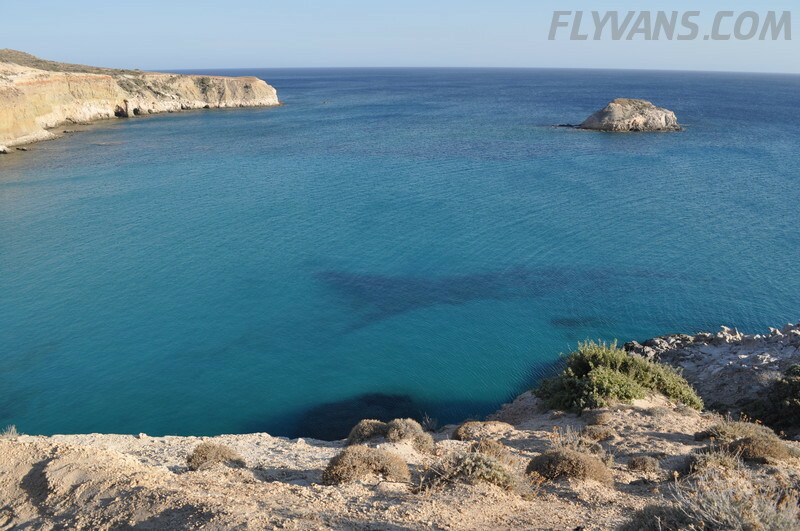 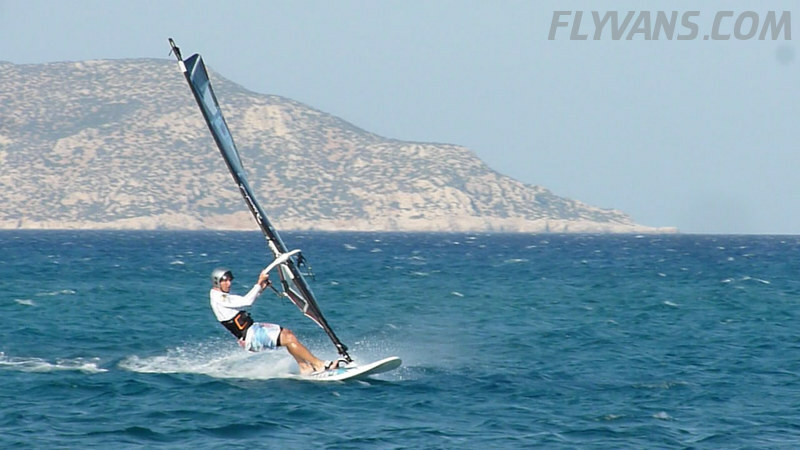 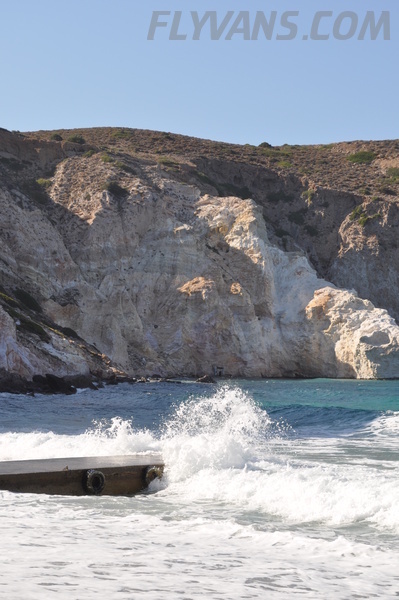 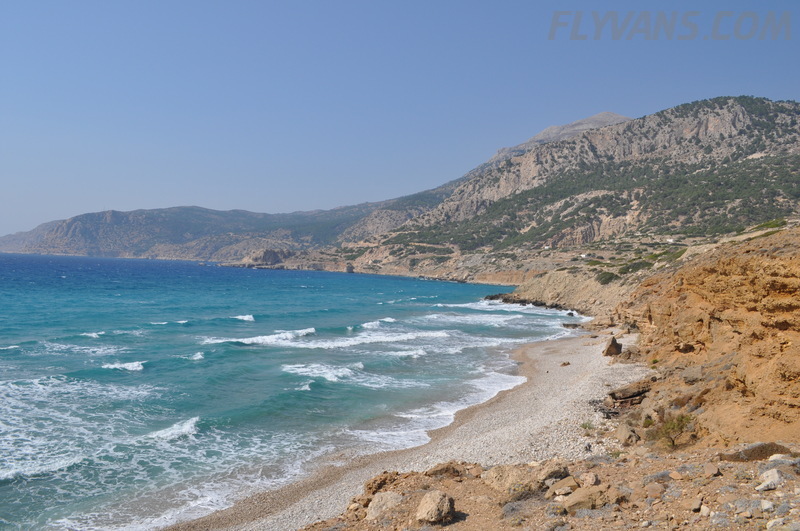 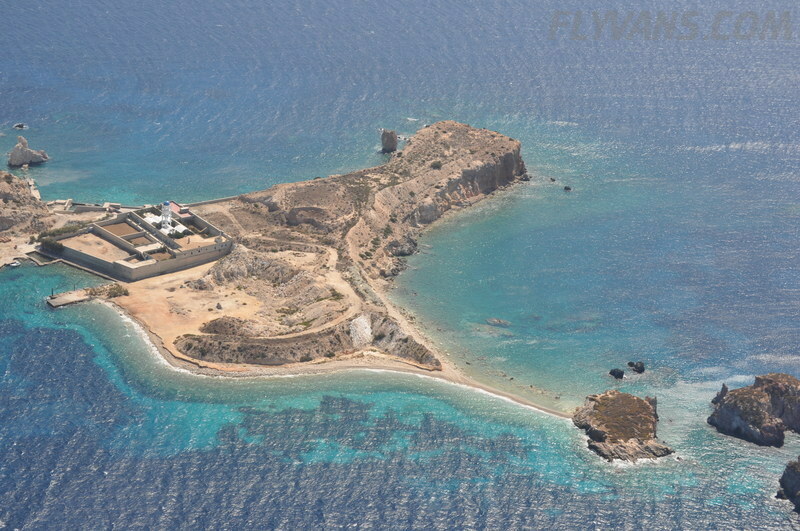 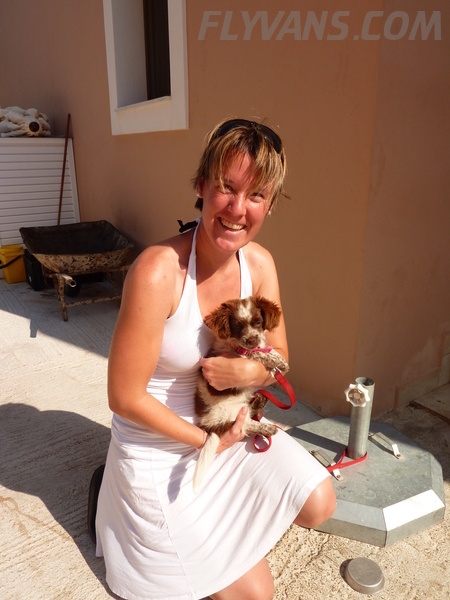 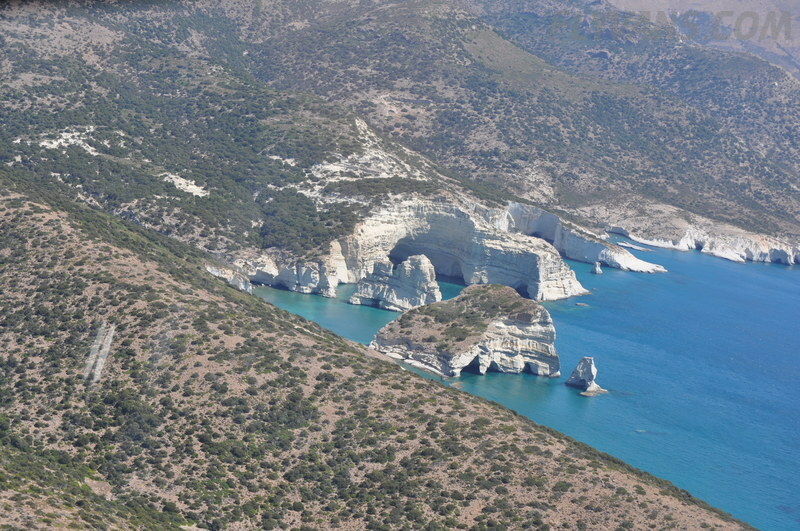 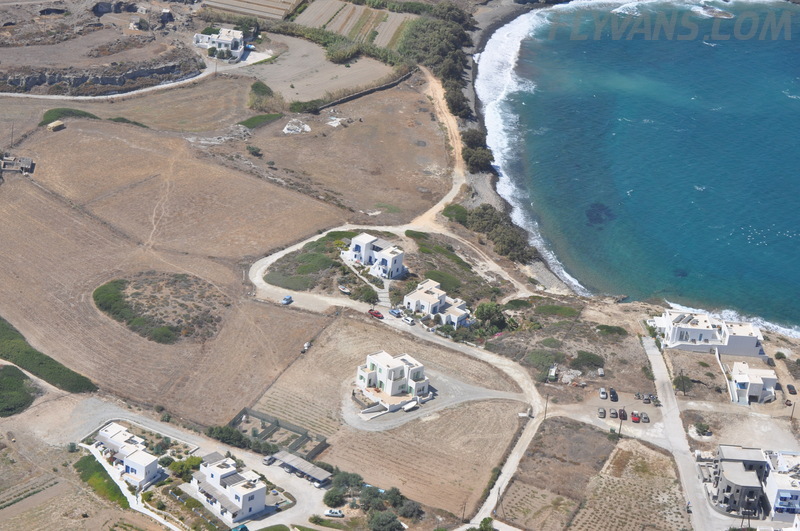 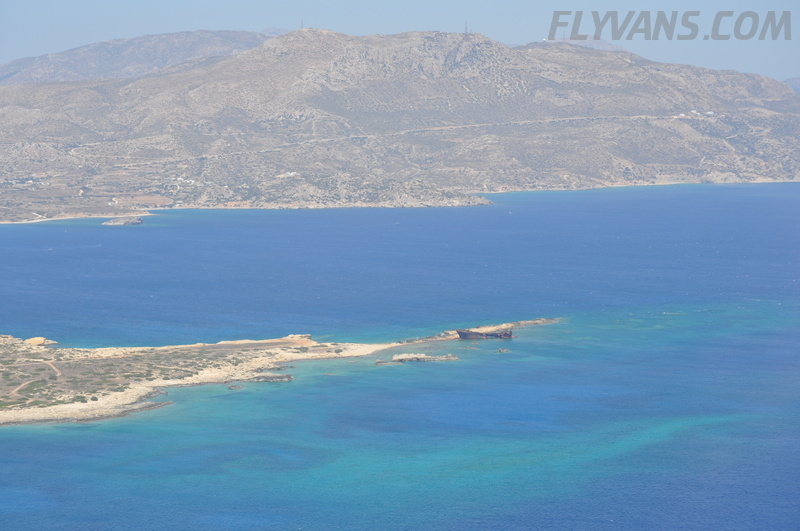 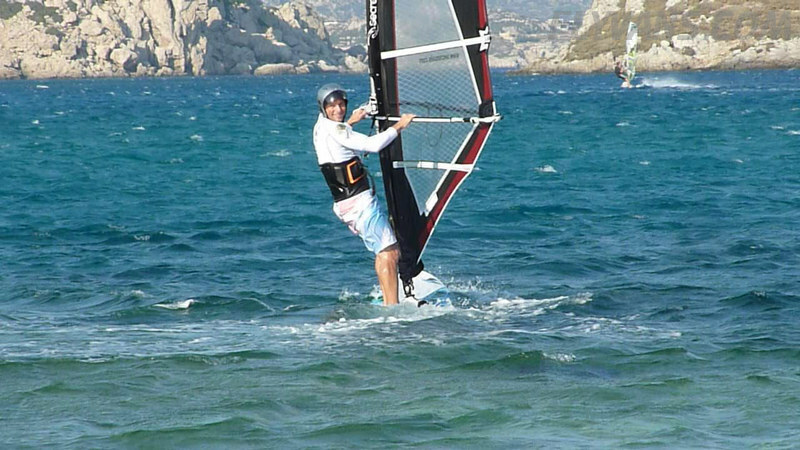 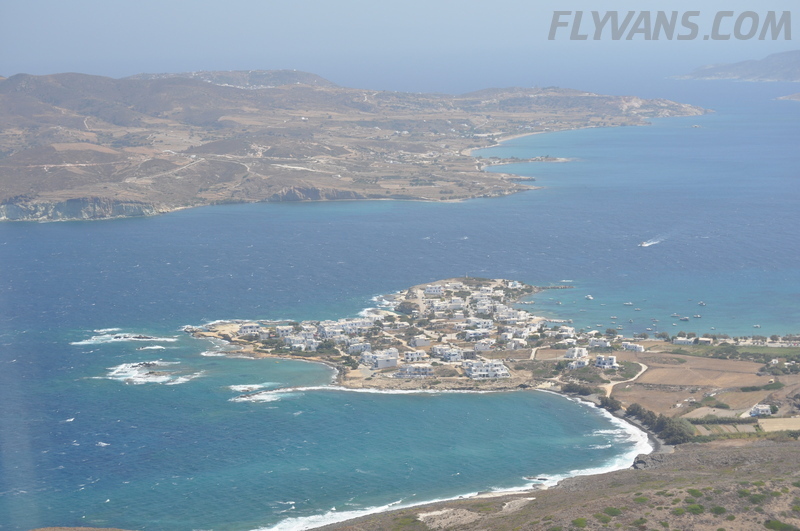 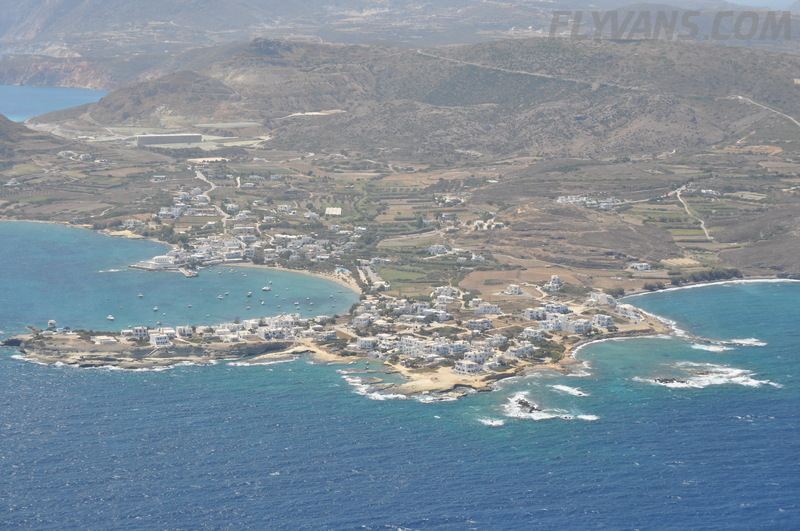 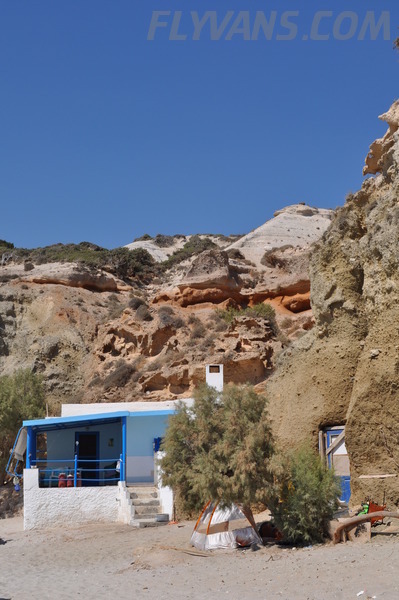 The reason we were visiting Karpathos is that a couple, who is close friends of ours, was on holidays there – windsurfing. 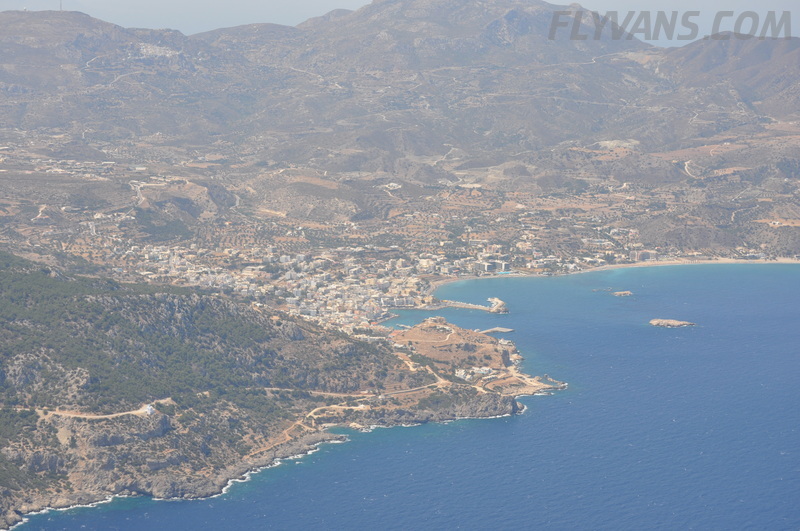 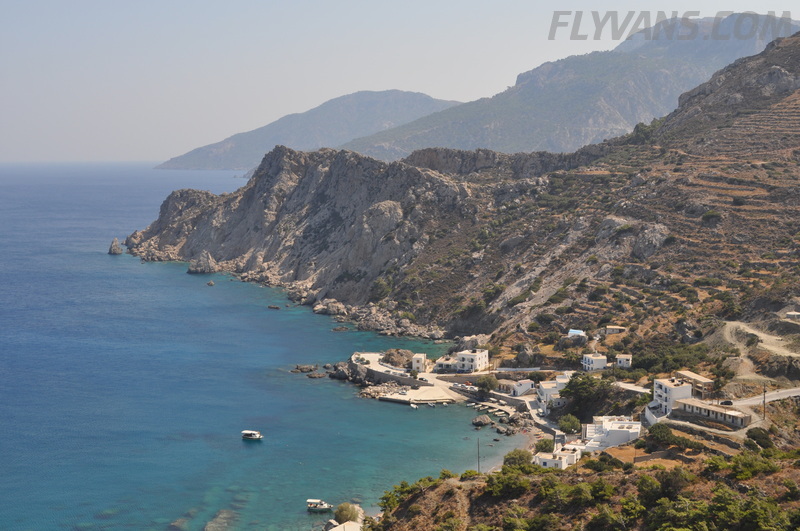 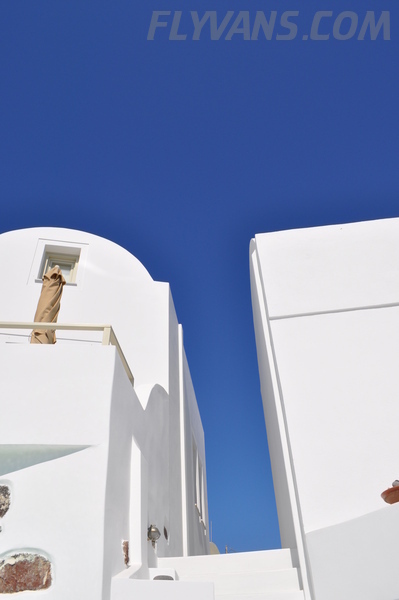 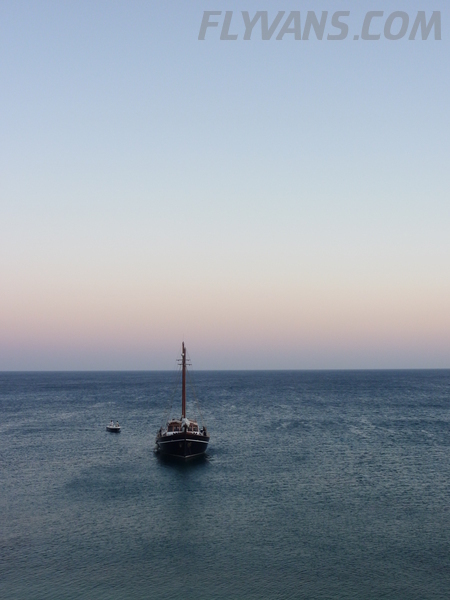 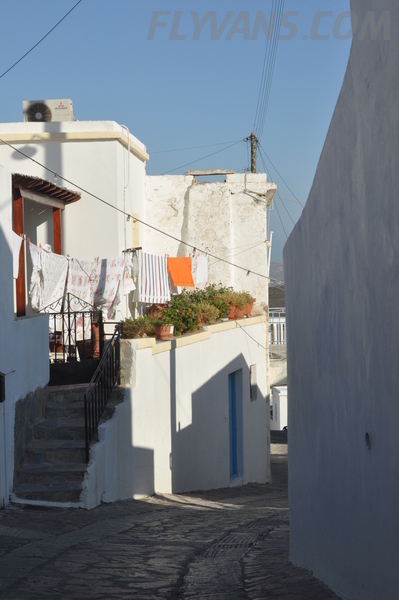 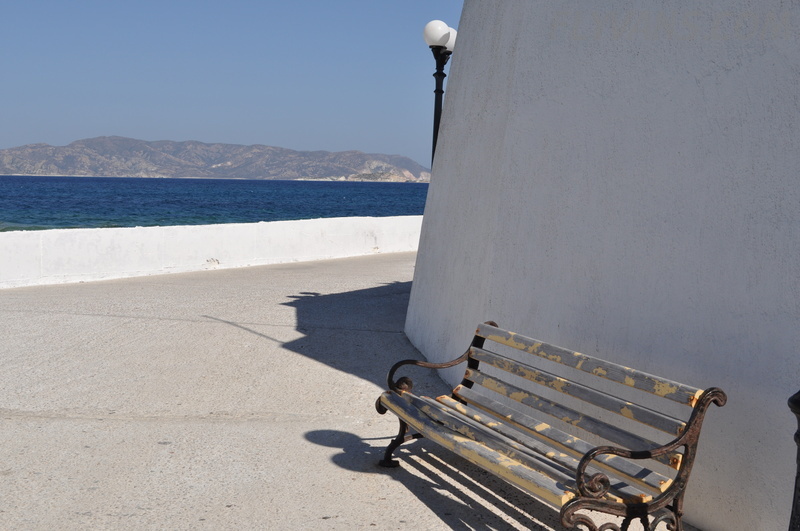 Karpathos is known to be very windy, pretty much all the time. 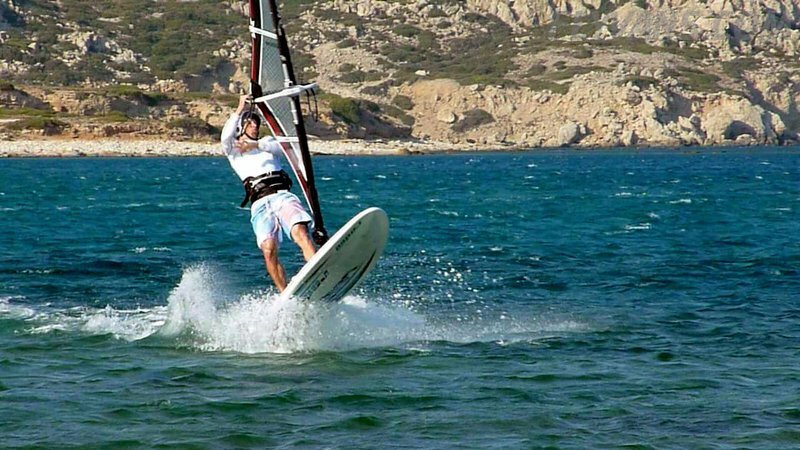 That’s why surfers love it. 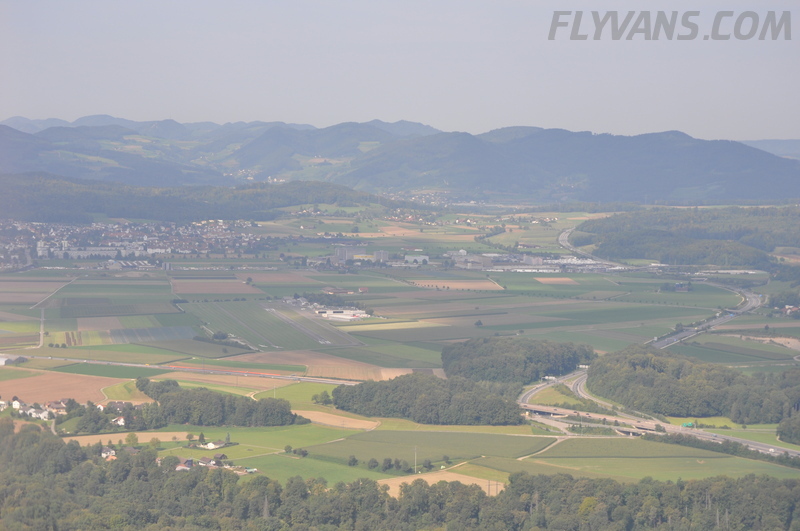 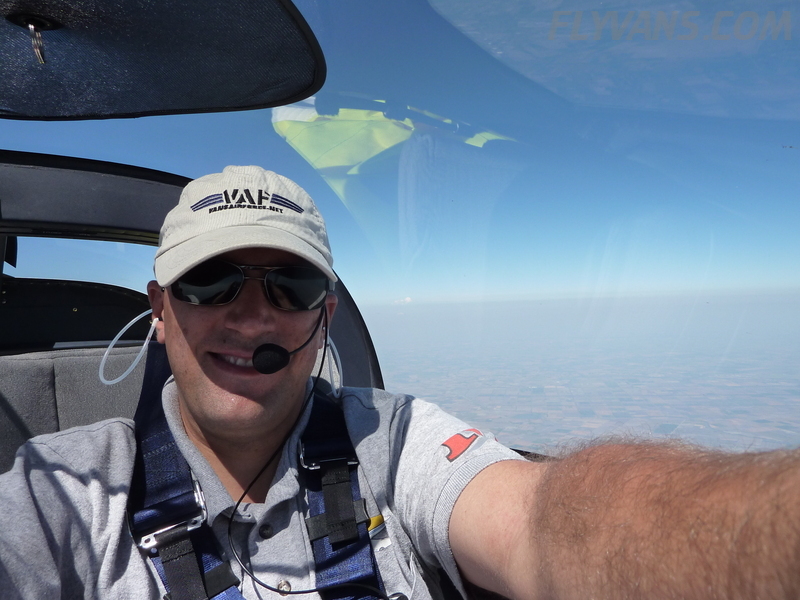 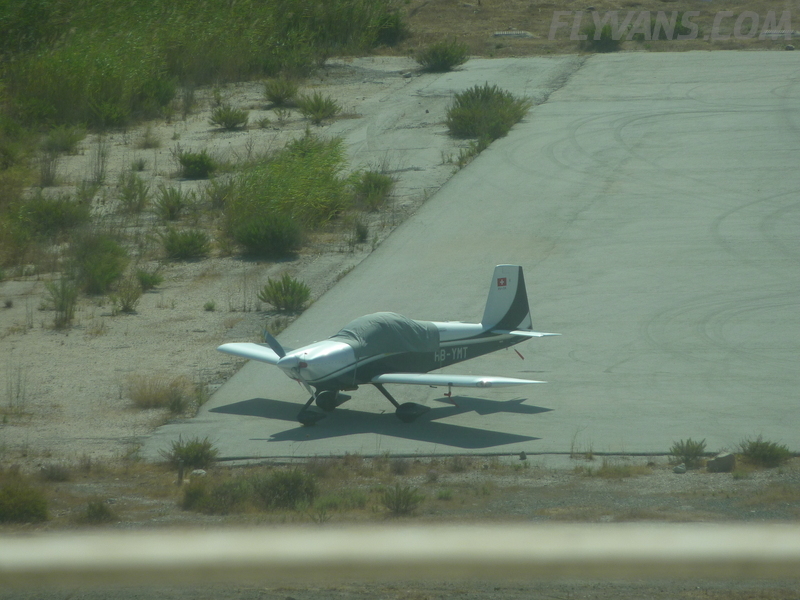 And therefore i had anticipated a challenging approach… Anyway, I was ready, waiting for the wind, but nothing special until touchdown… The usual 15kts in RWY direction, but that was it. 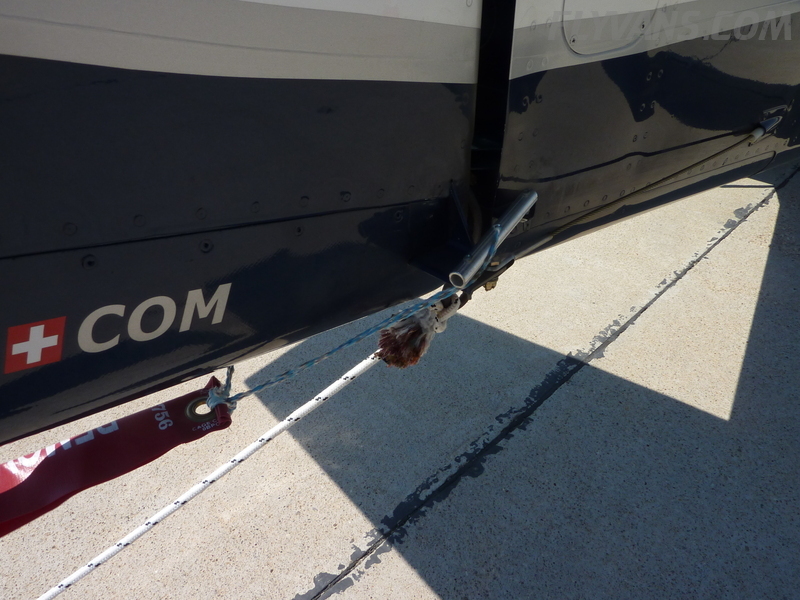 We took extra care tying down, though. 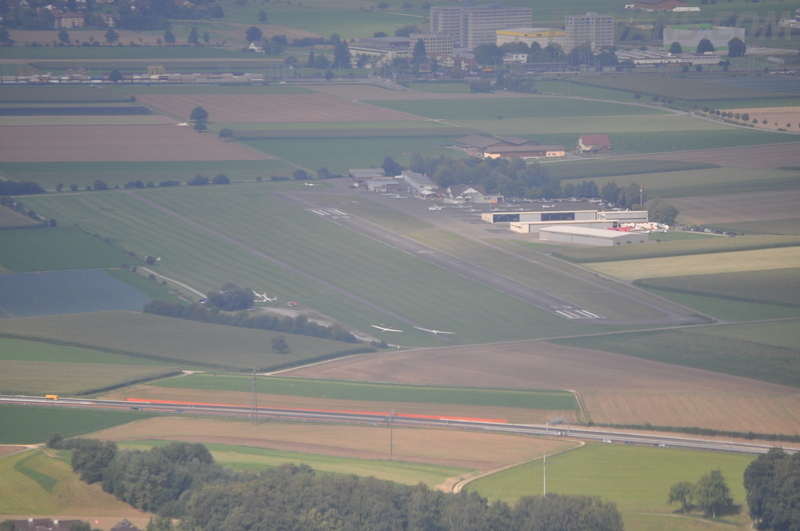 Again, awesome handling by very friendly Swissport staff. 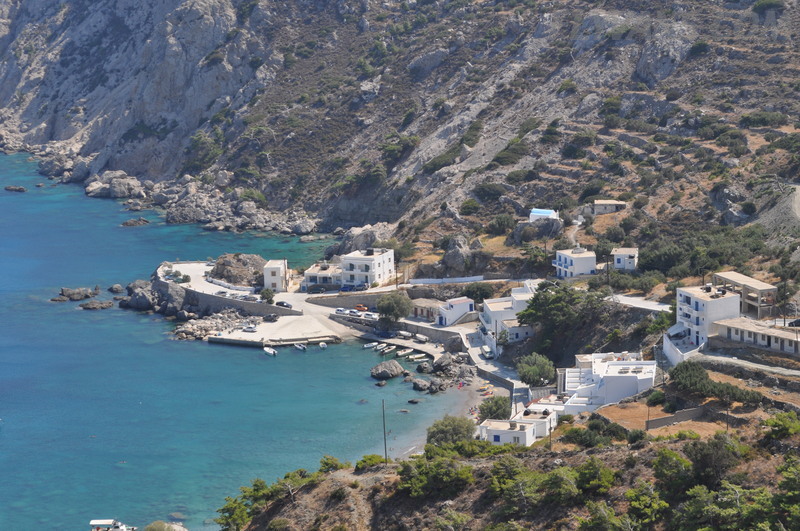 The days on Karpathos were spent hanging out with great friends, chilling at the pool, eating good food and simply enjoying vacation. 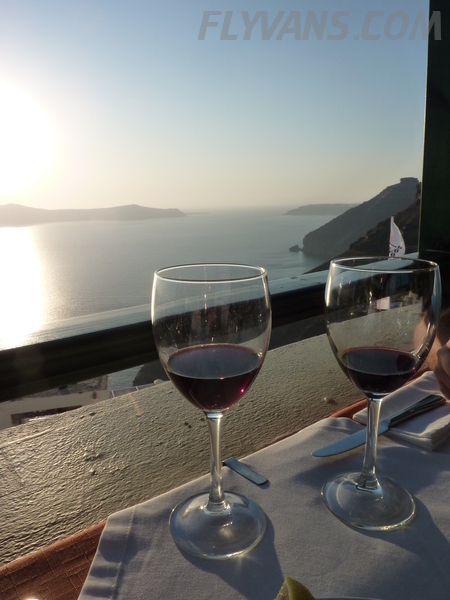 And of course we were able to celebrate my fiancée’s birthday in style. 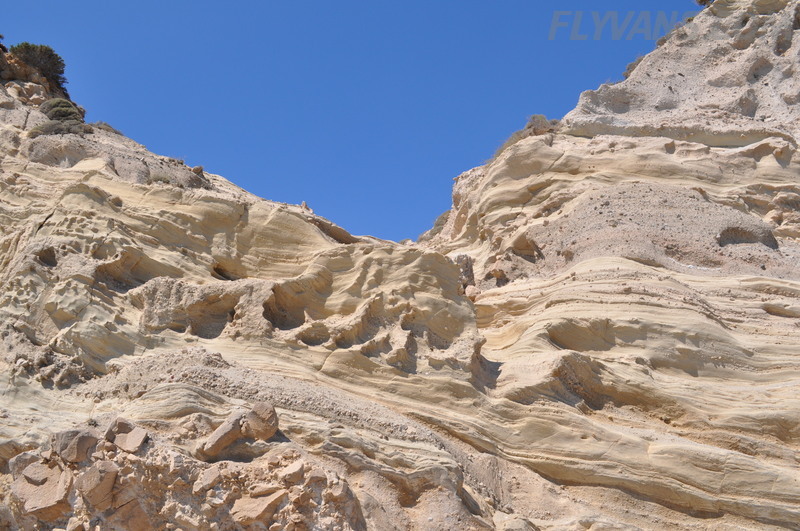 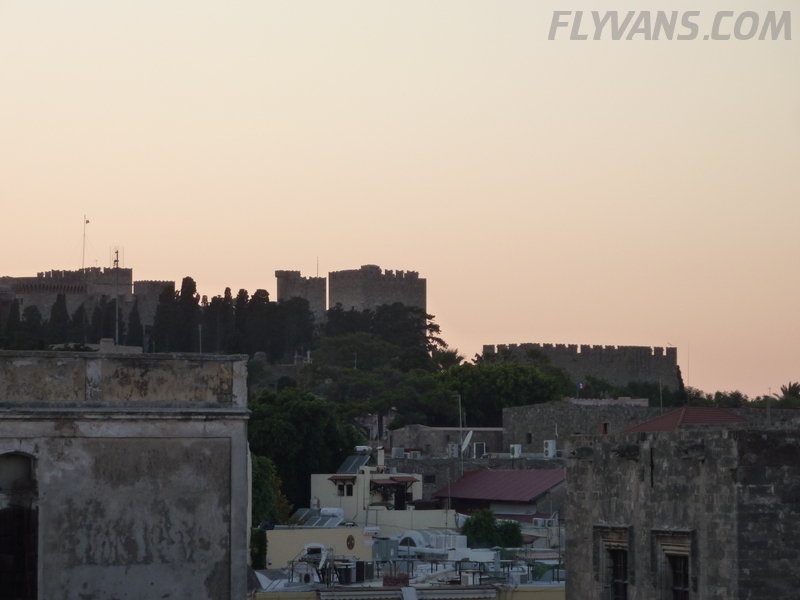 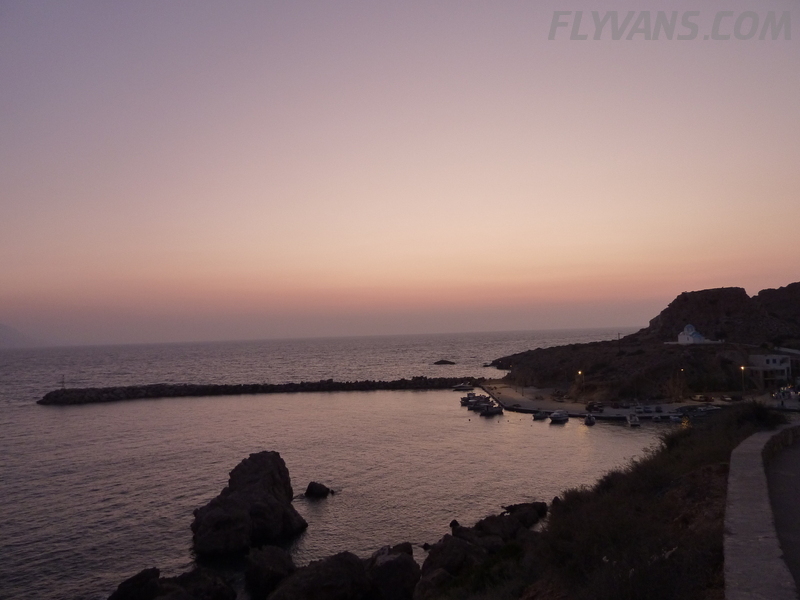 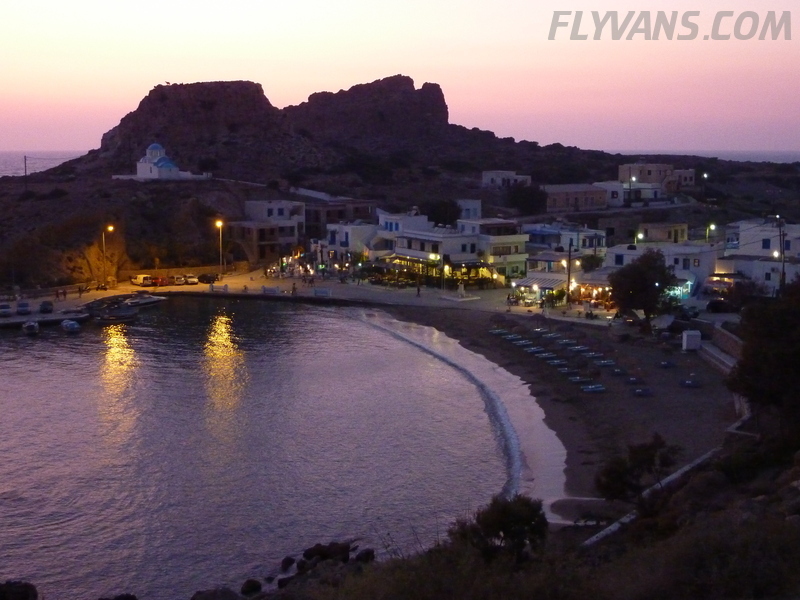 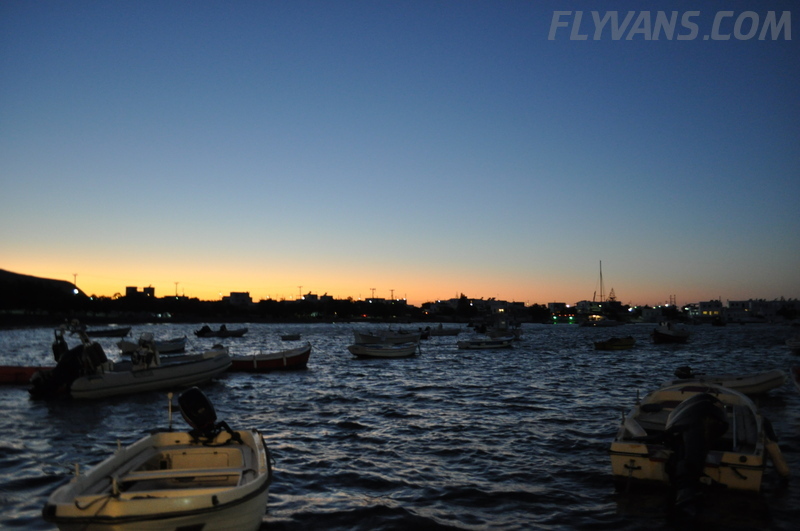 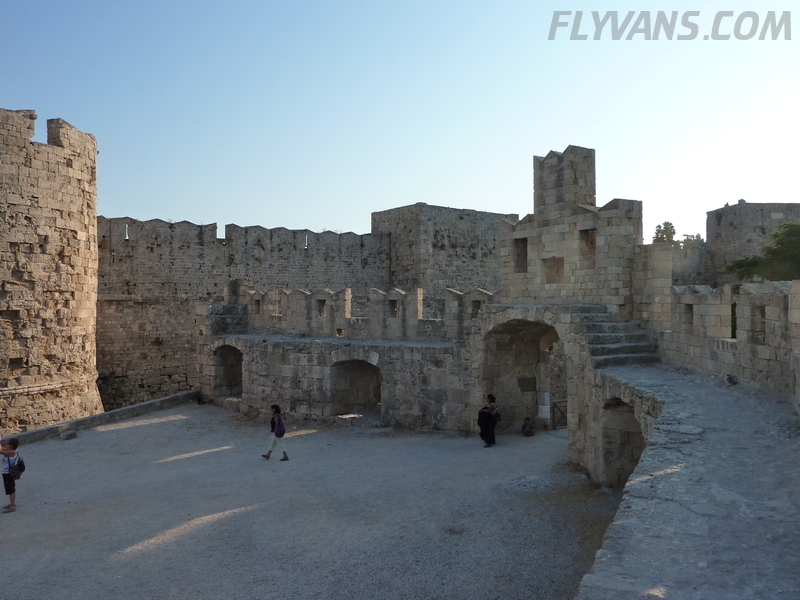 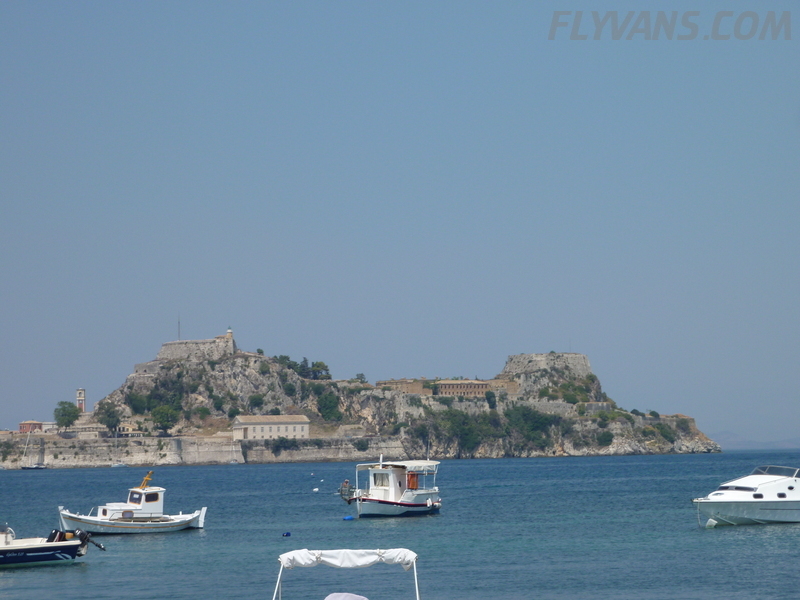 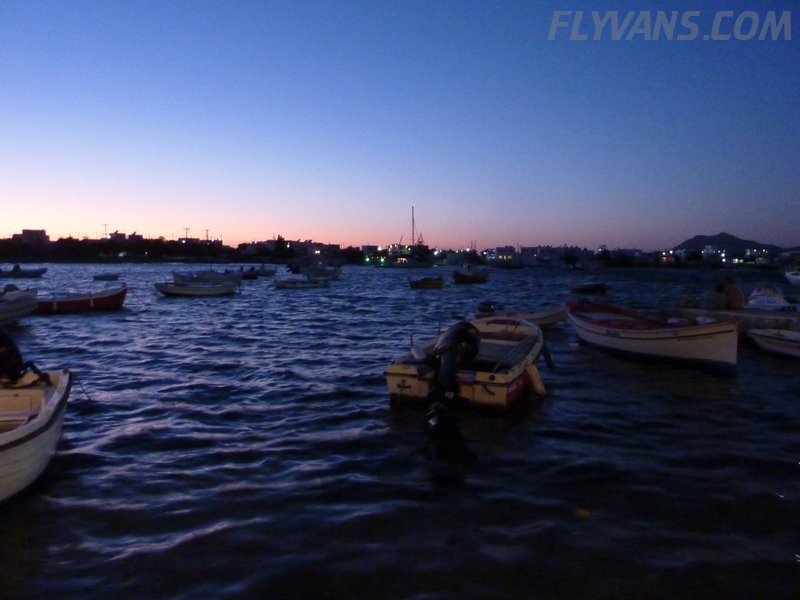 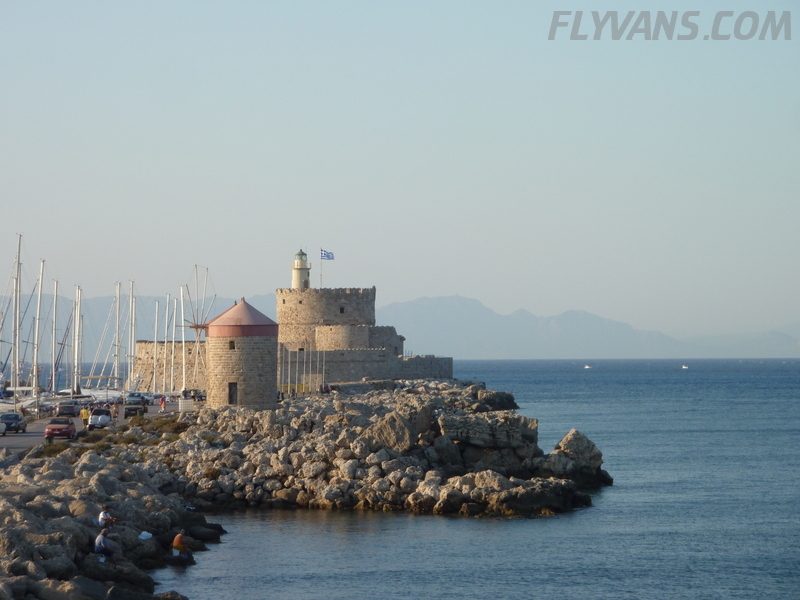 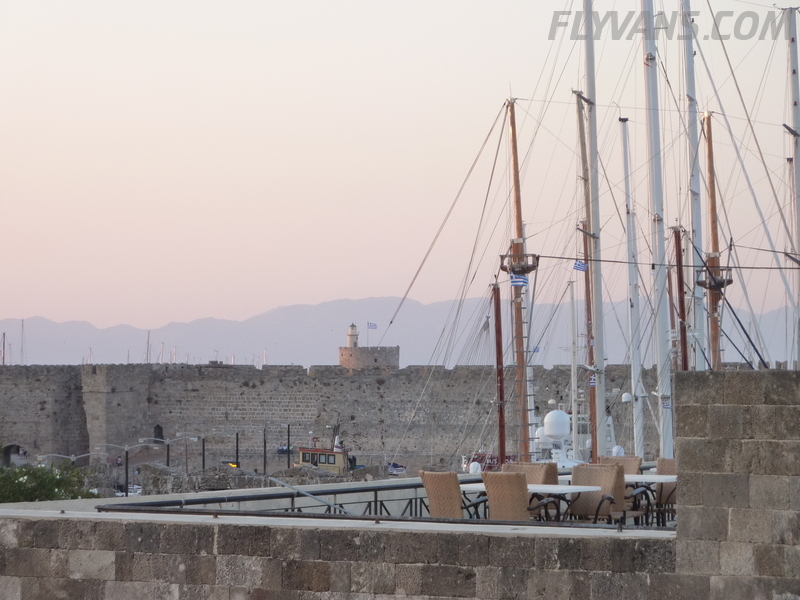 After a few awesome days in Santorini, we continued our trip to Rhodes. 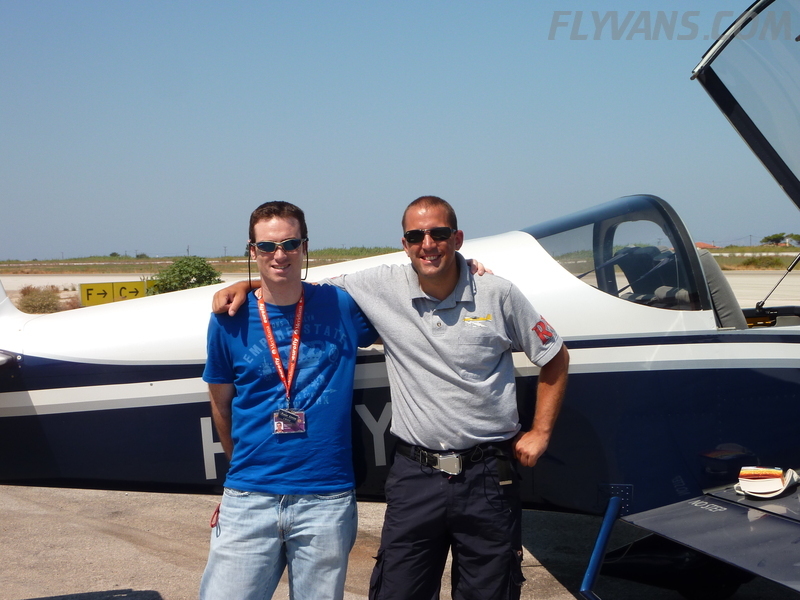 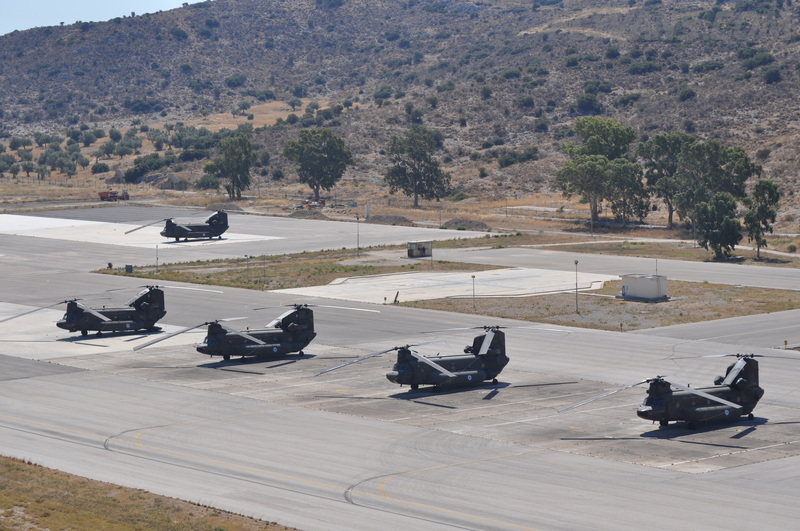 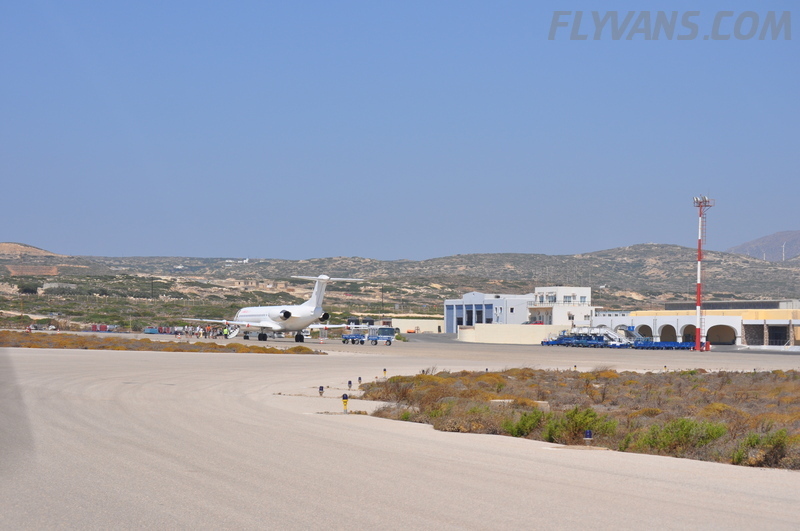 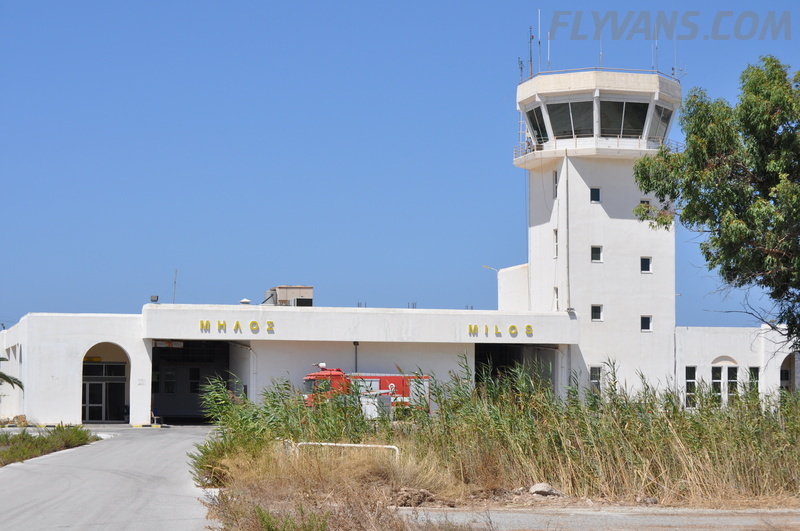 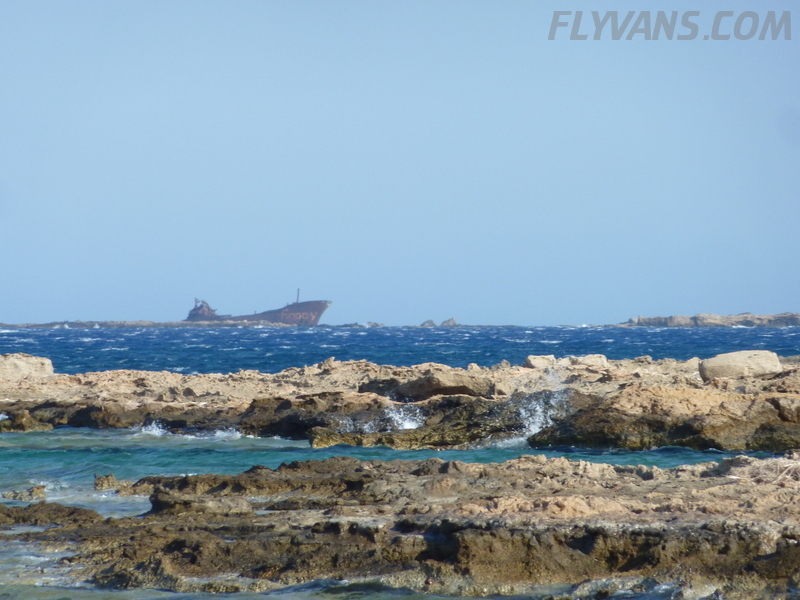 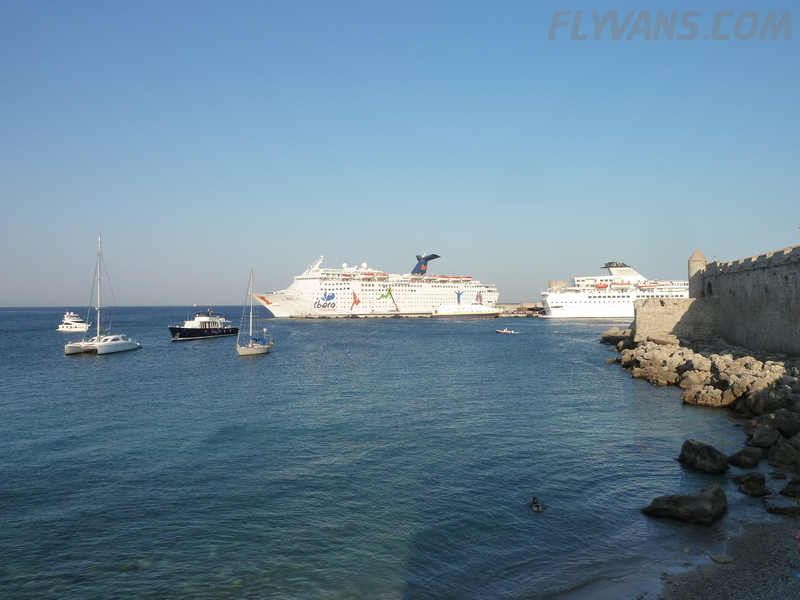 First of all because Rhodes has Avgas available but I also had spent a great vacation there previously, some years ago. 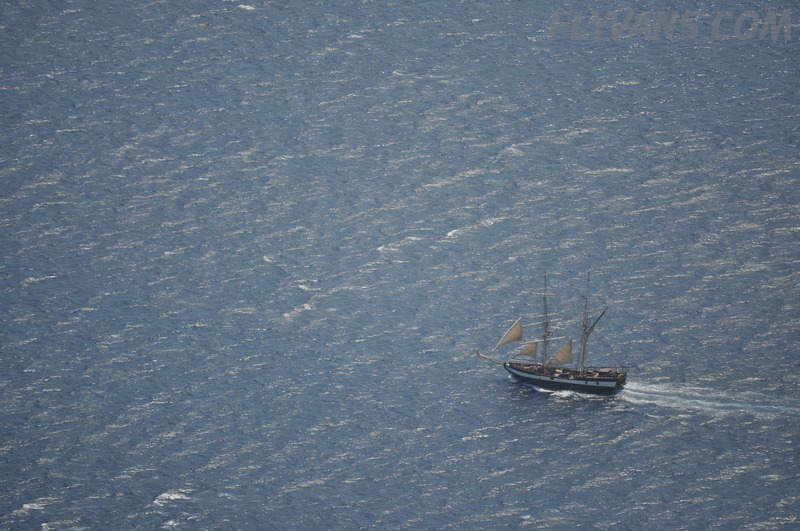 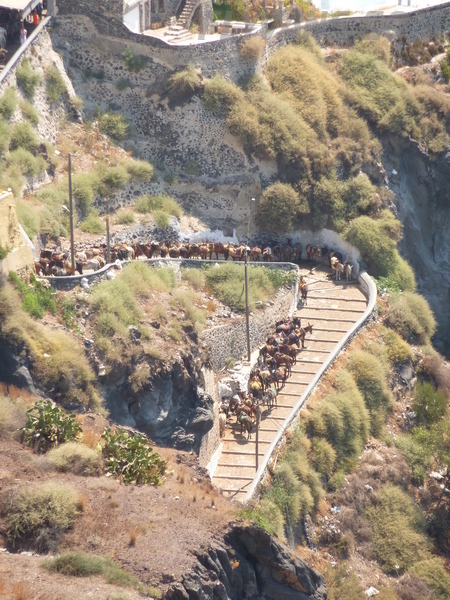 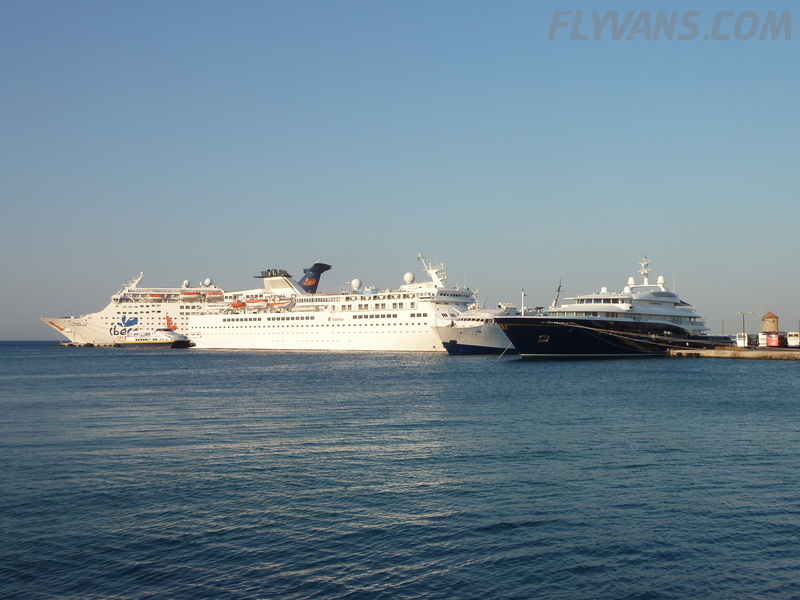 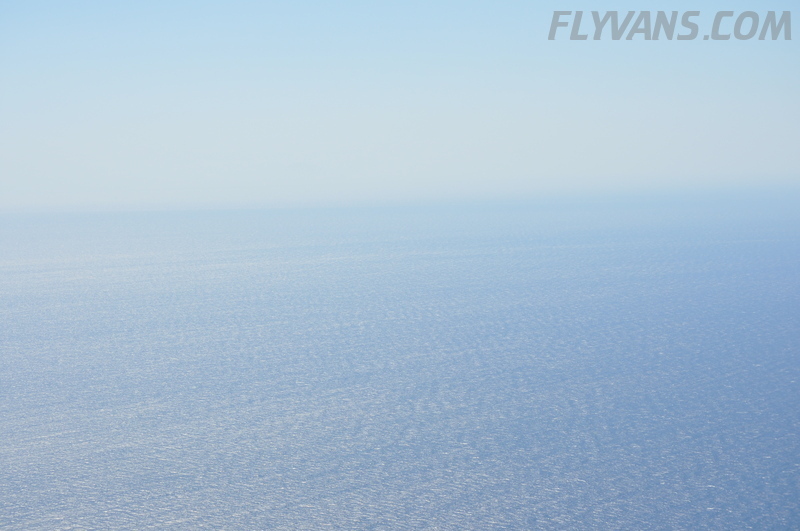 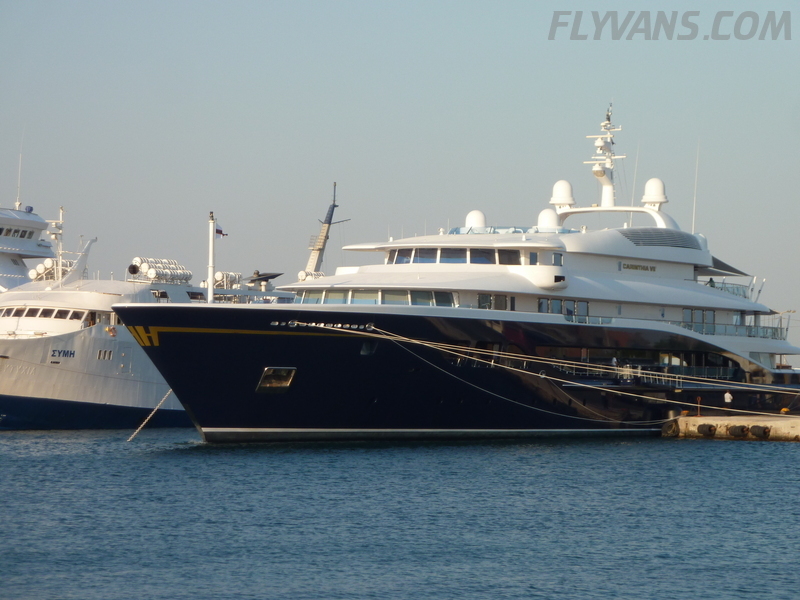 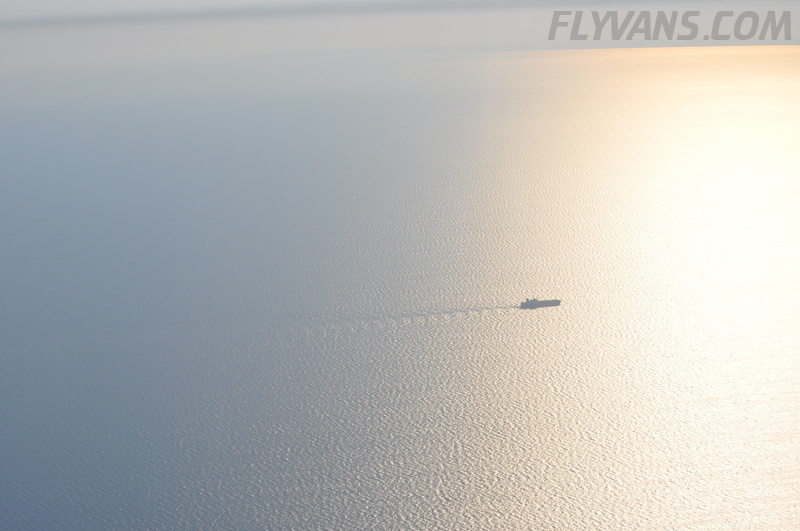 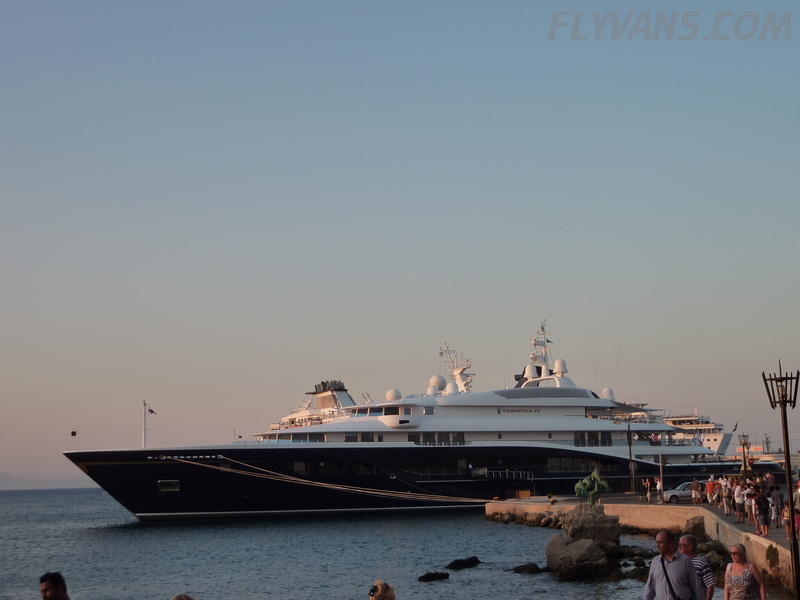 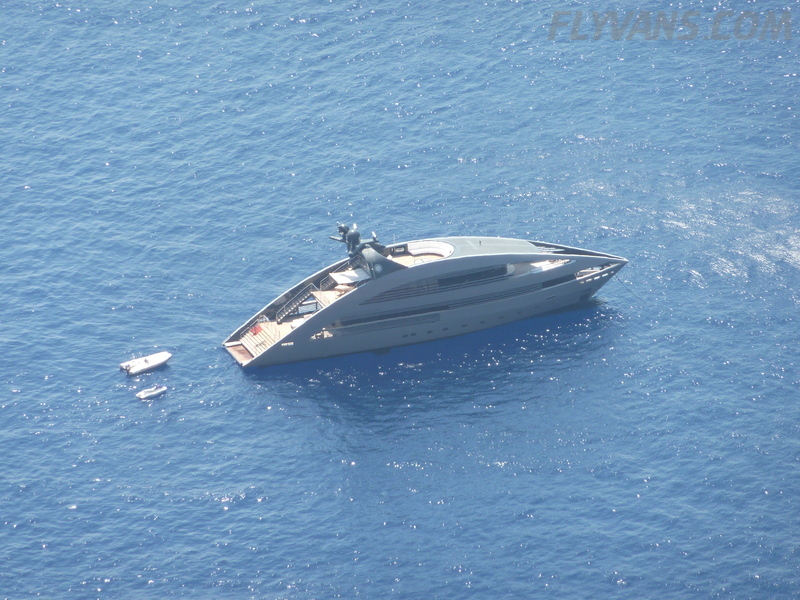 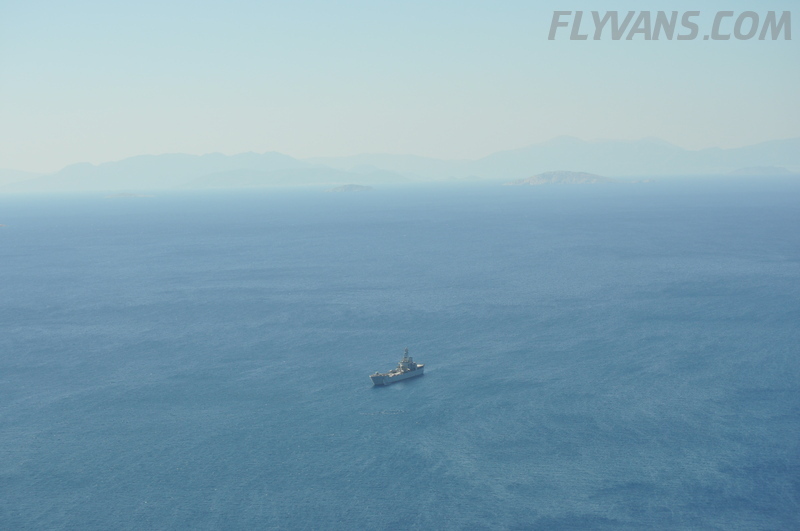 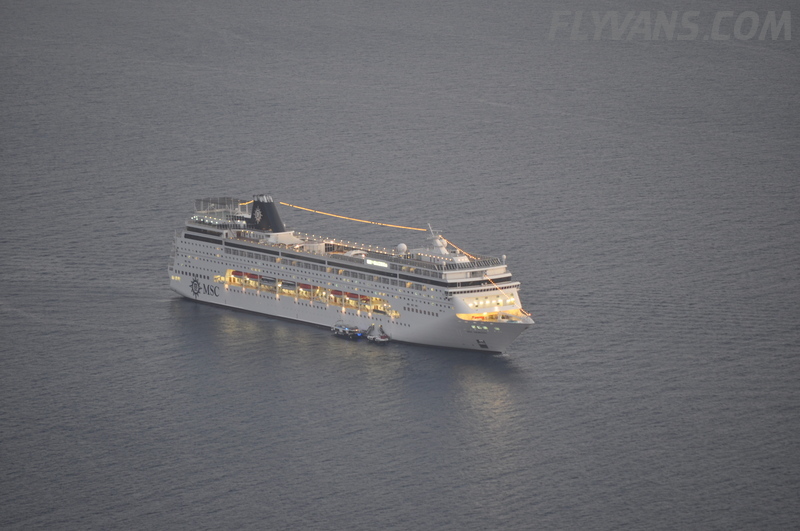 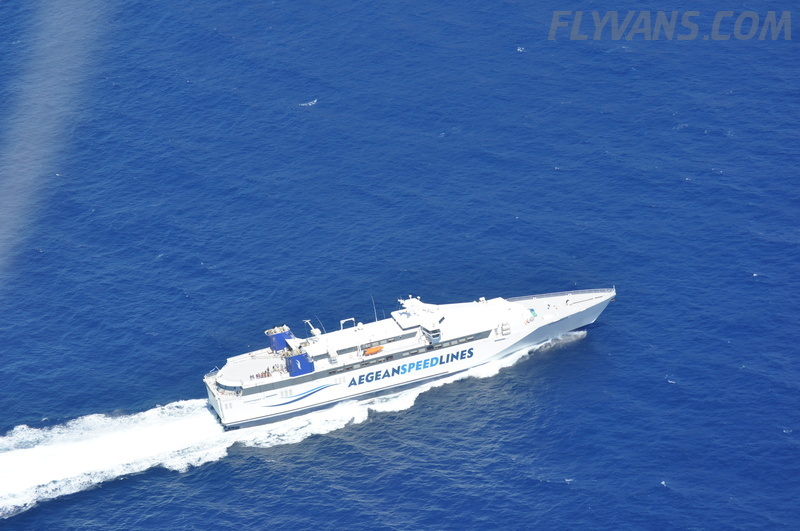 When we departed Santorini, it was in the middle of one of their “busy days”. 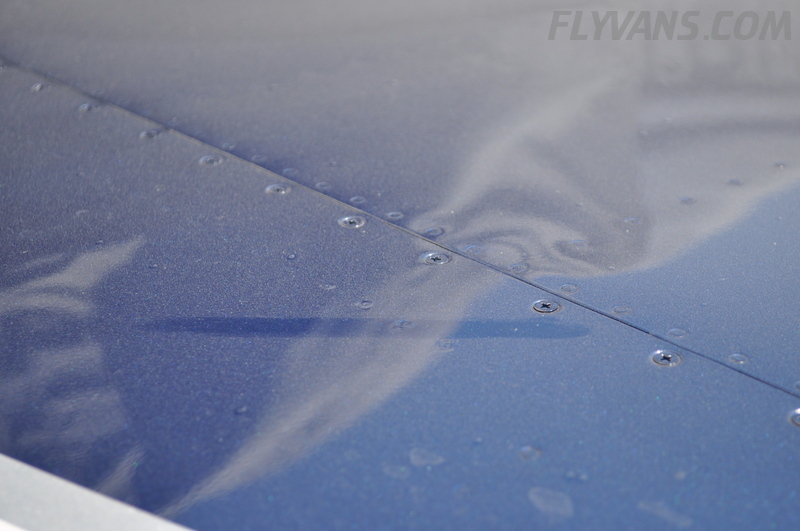 Unfortunately these are nowhere published, so you can not actively plan around them. 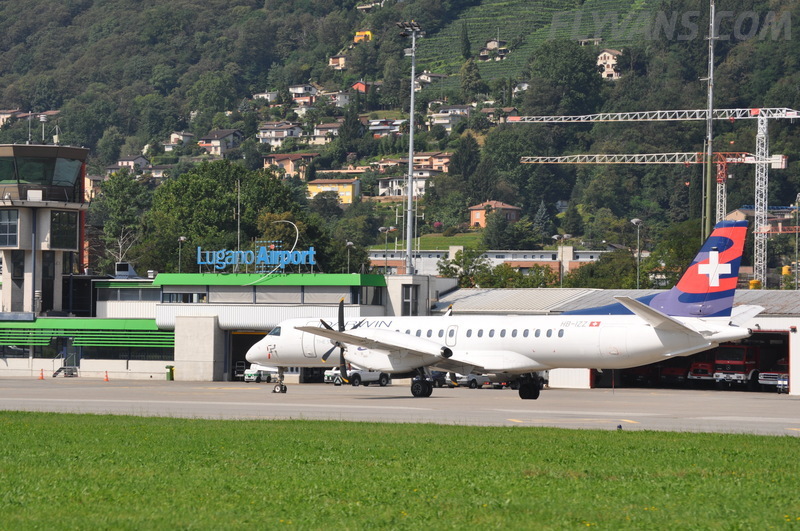 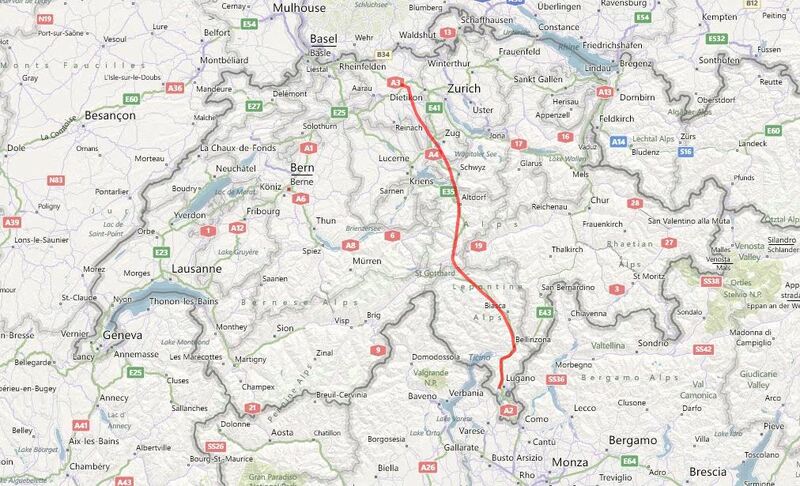 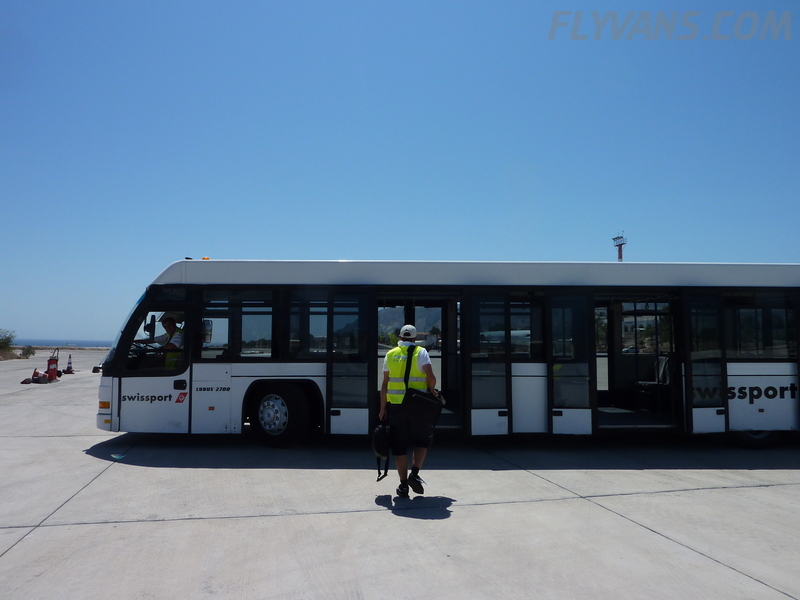 Despite all of that, we got again great and relatively quick handling by Swissport. 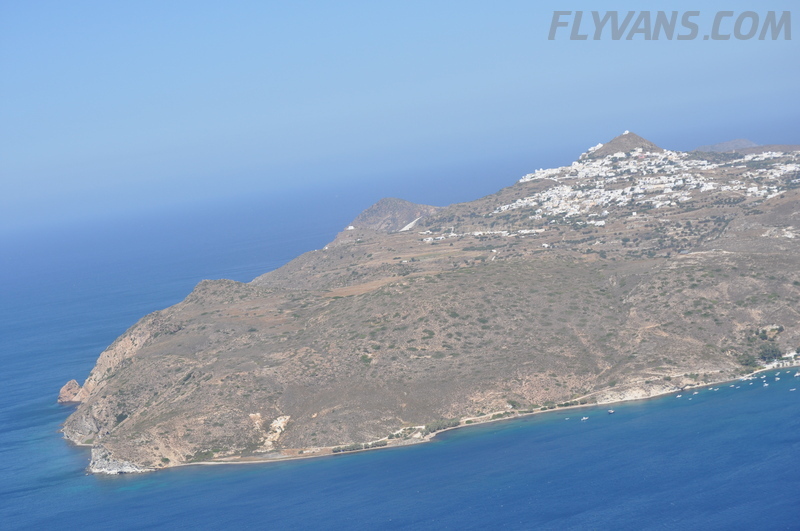 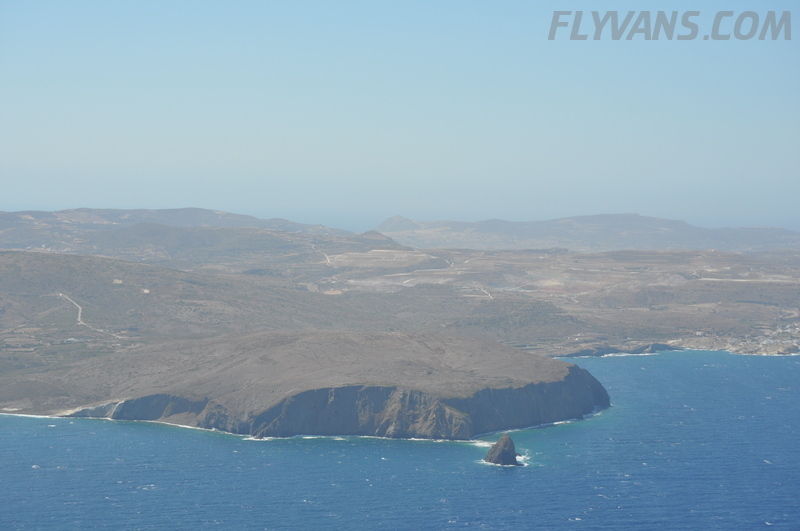 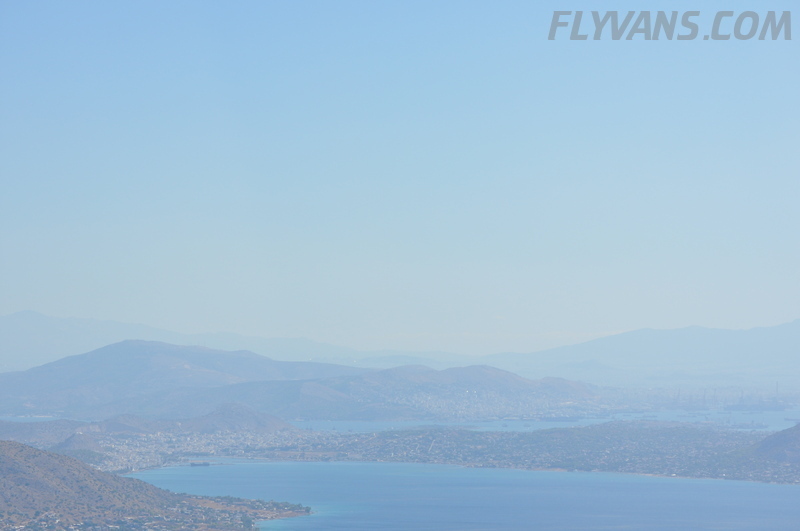 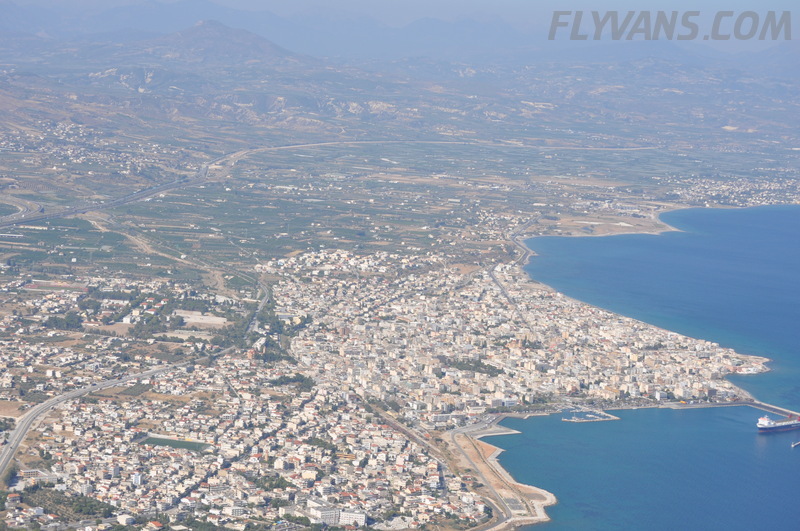 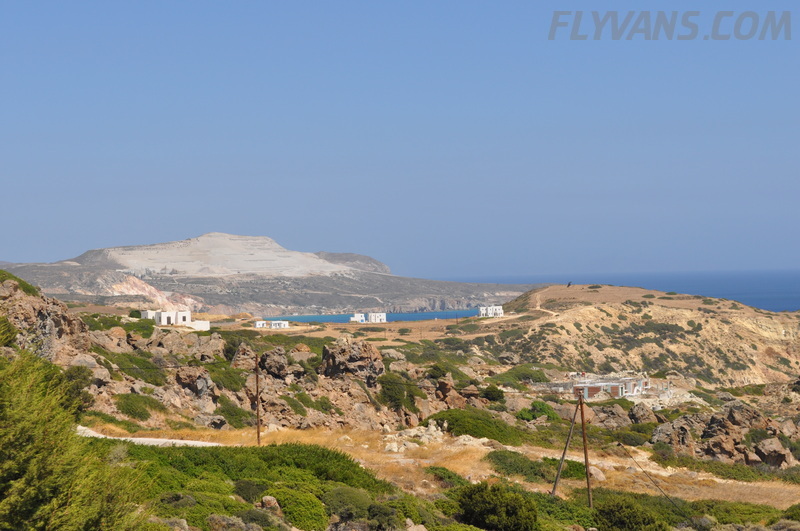 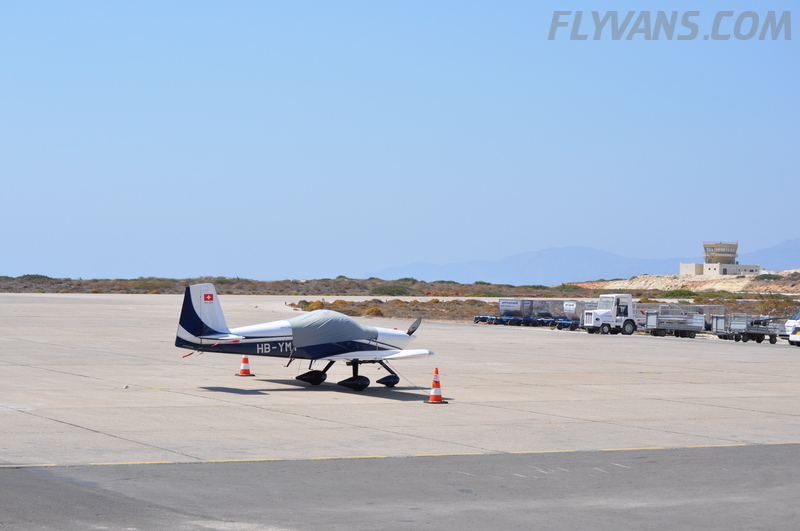 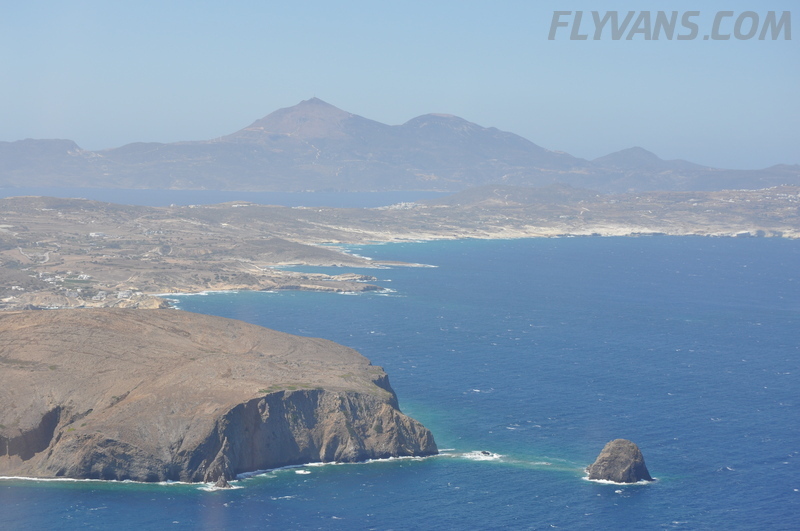 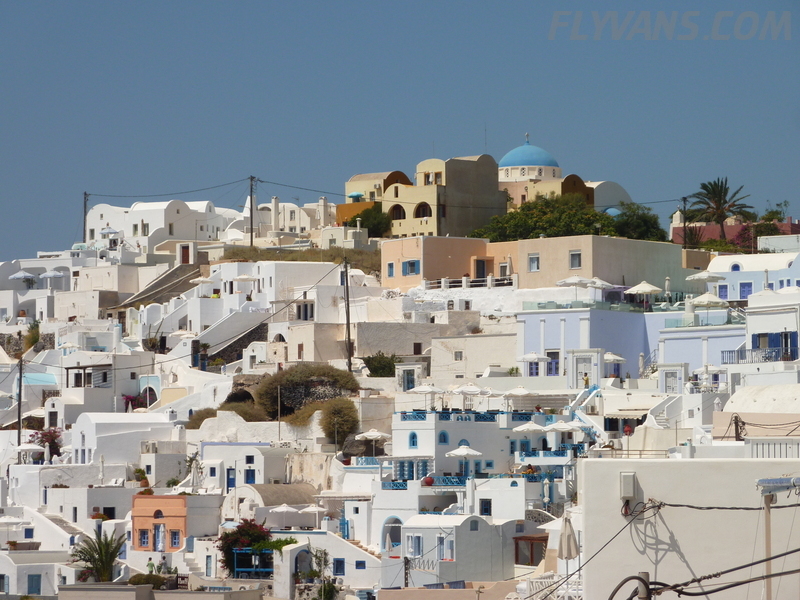 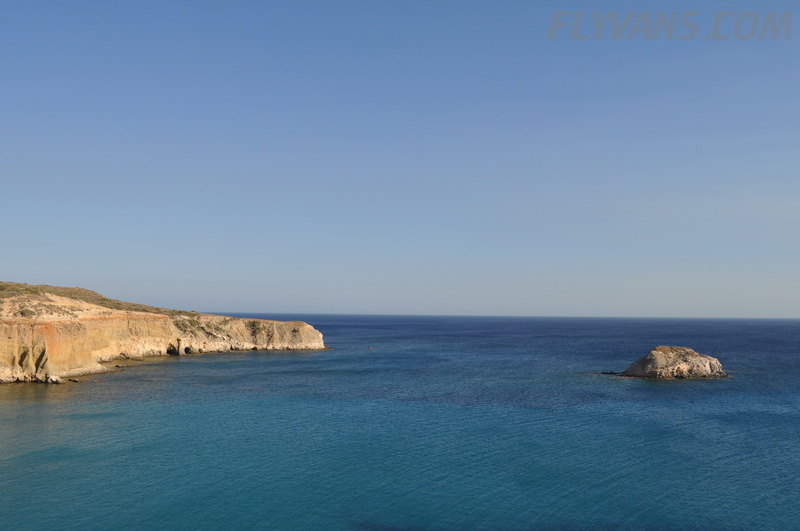 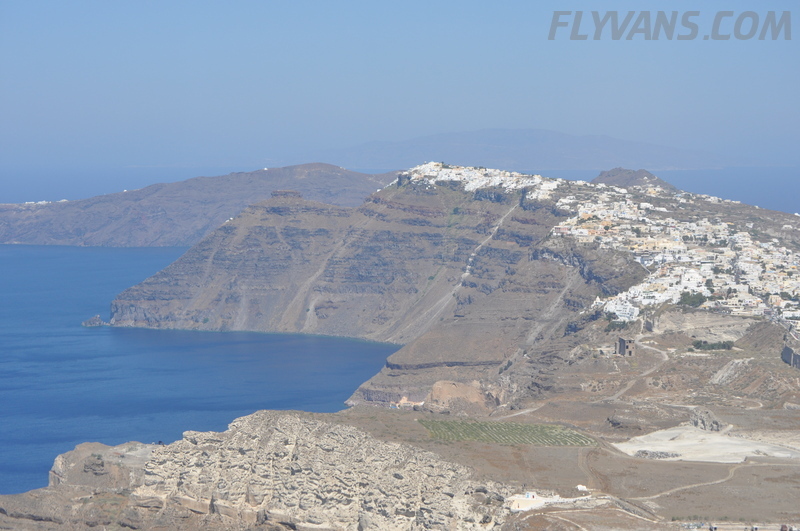 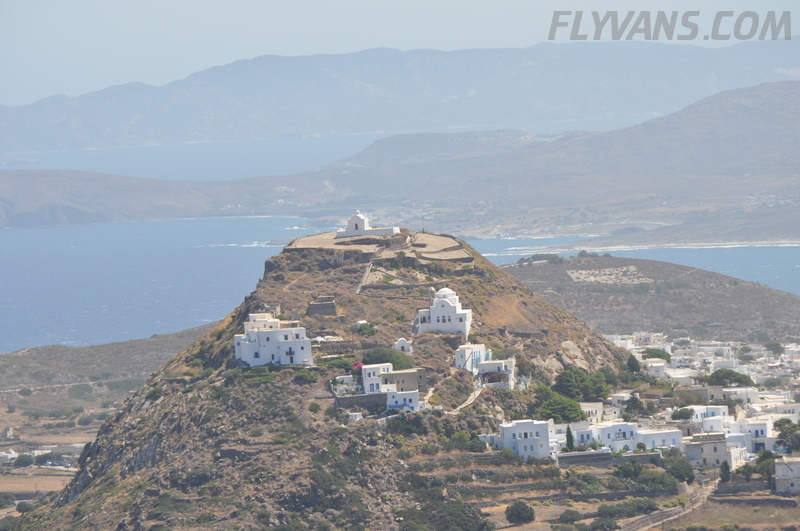 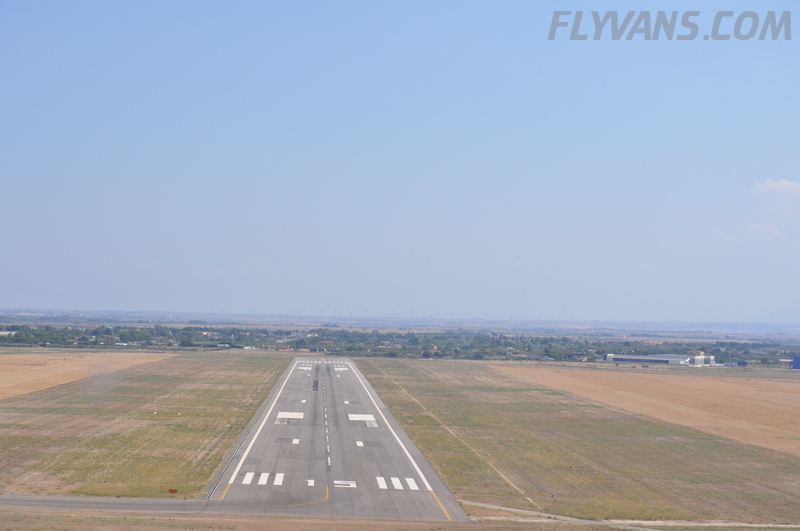 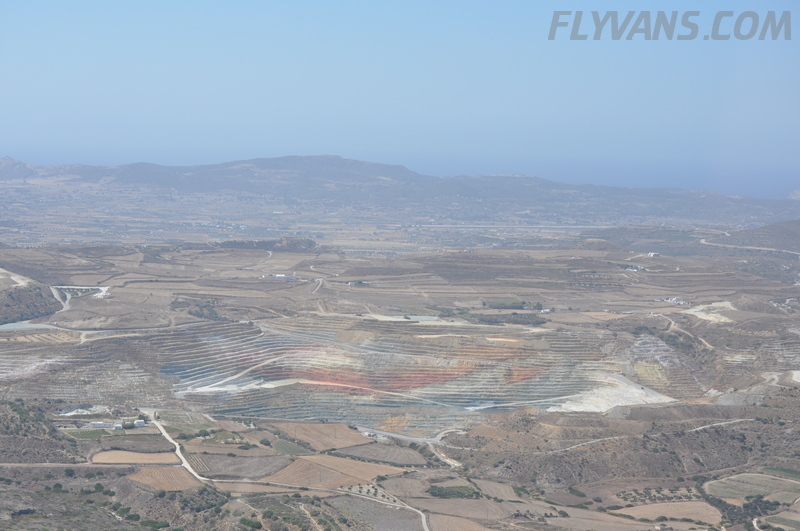 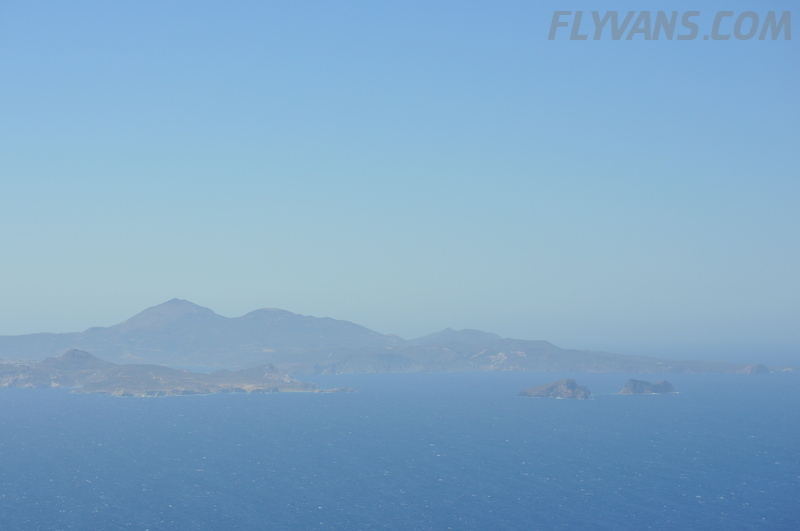 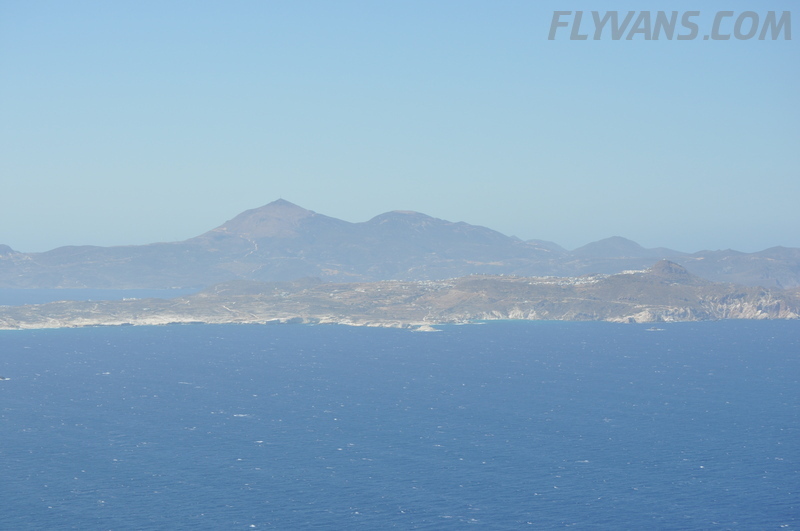 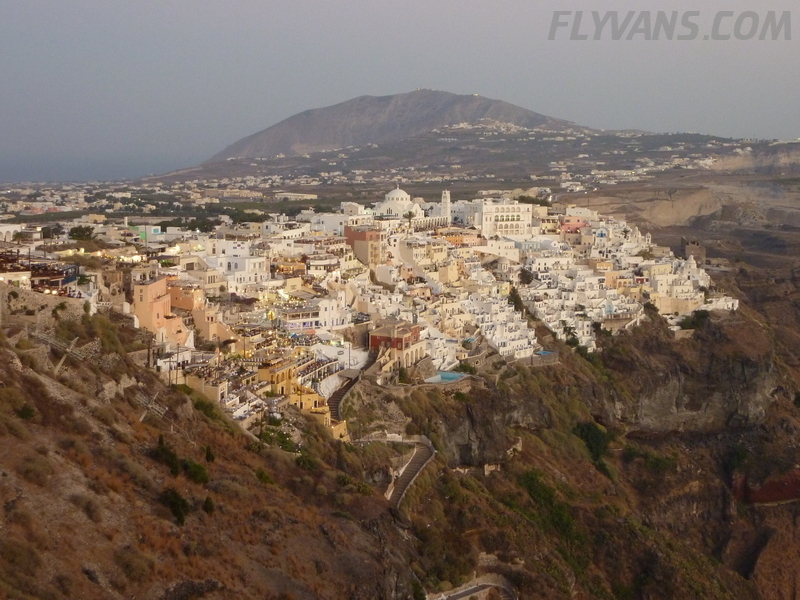 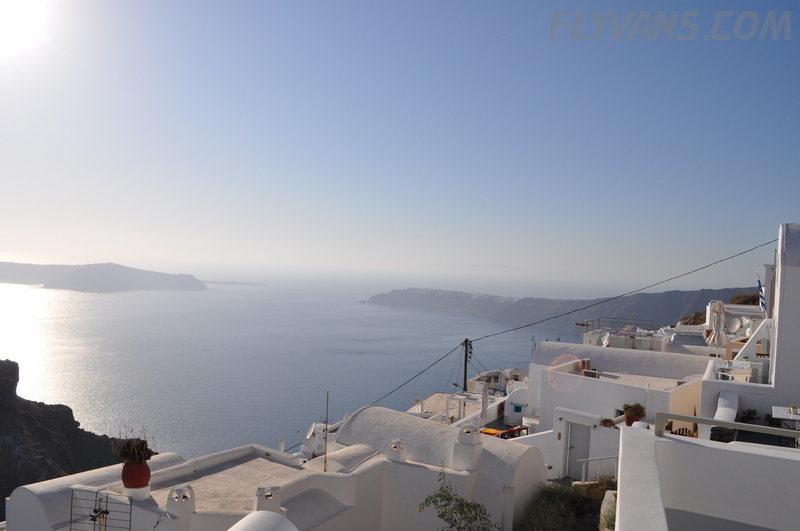 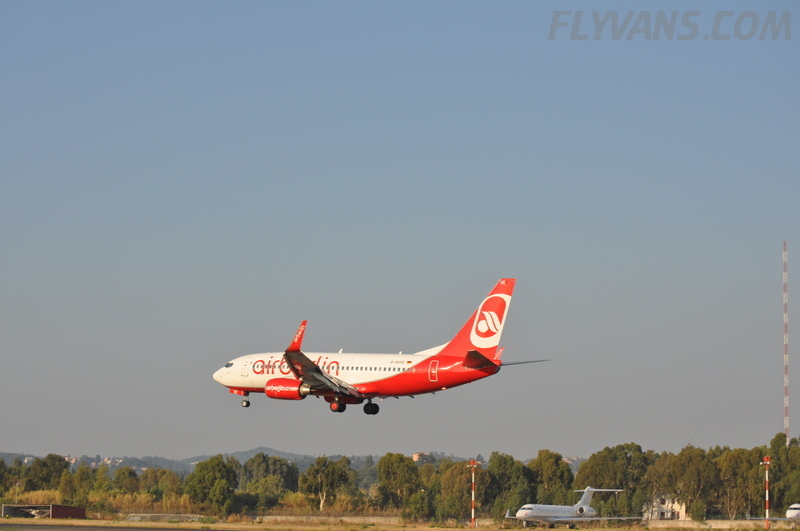 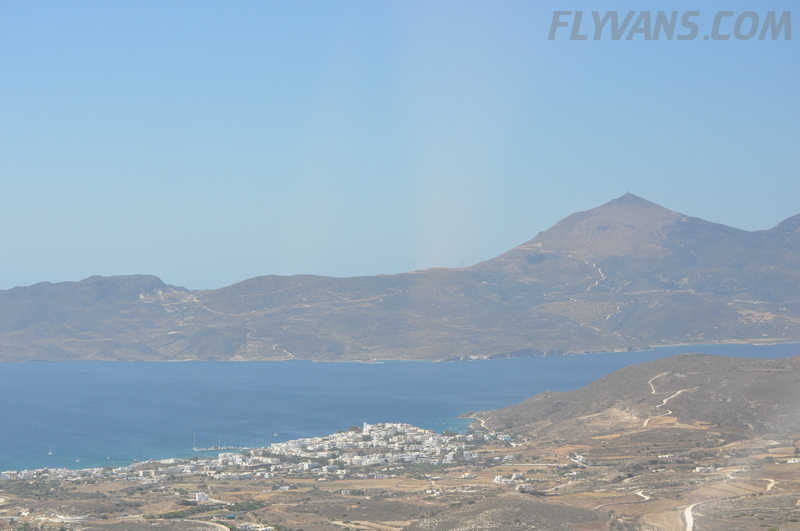 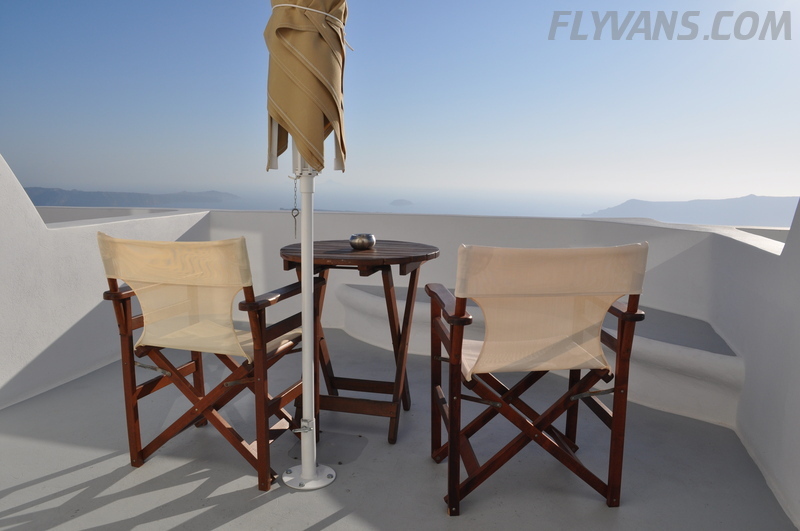 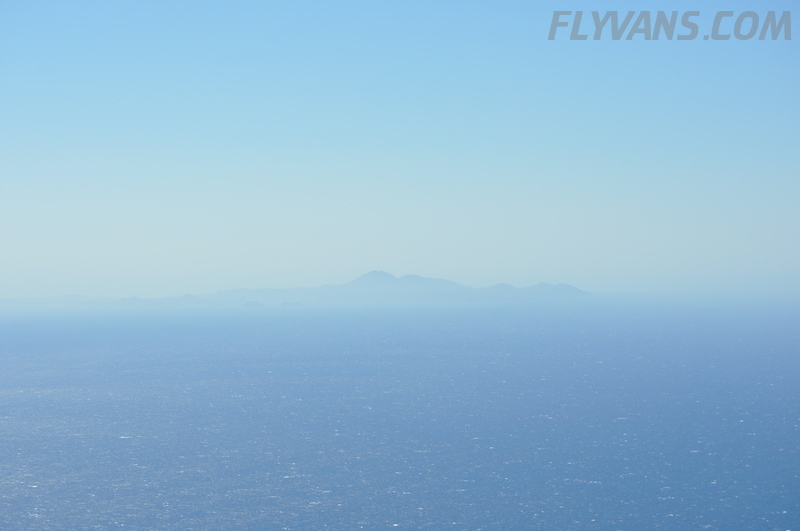 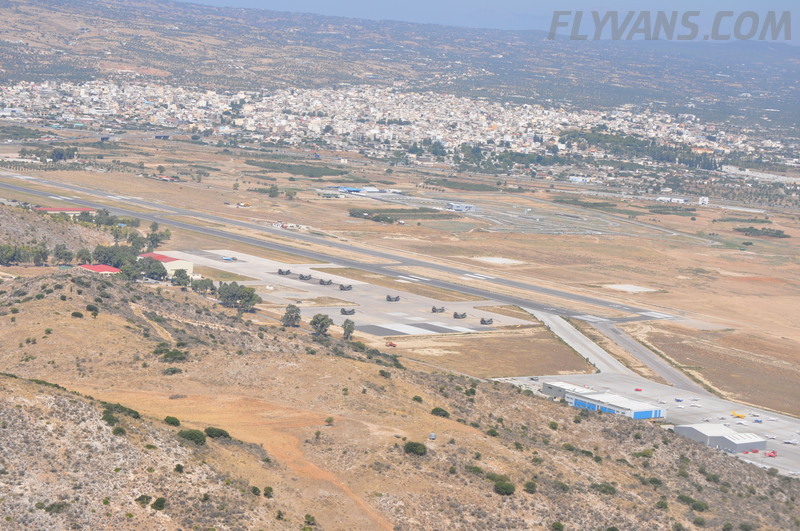 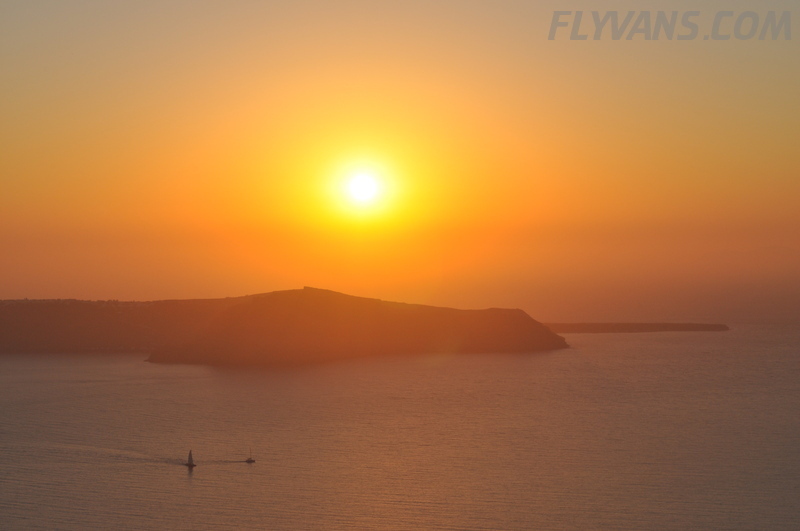 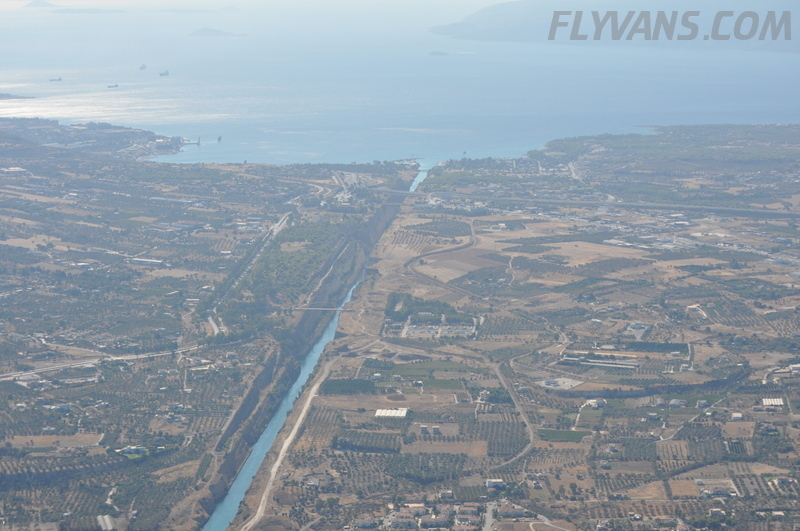 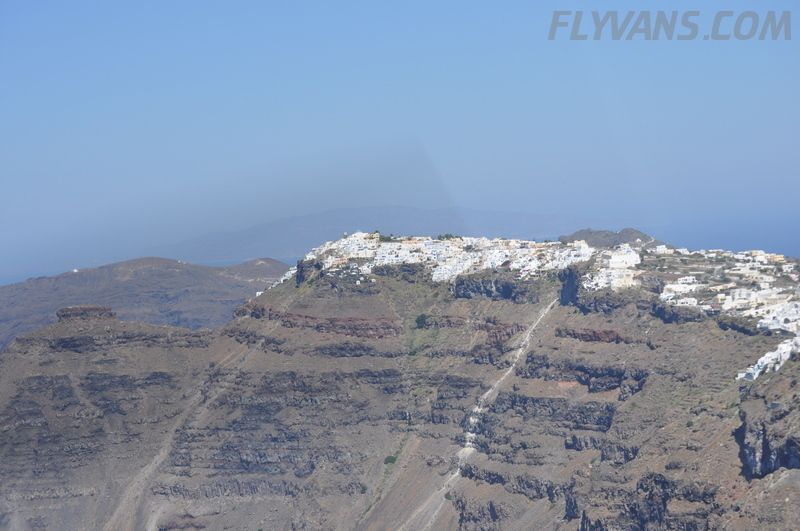 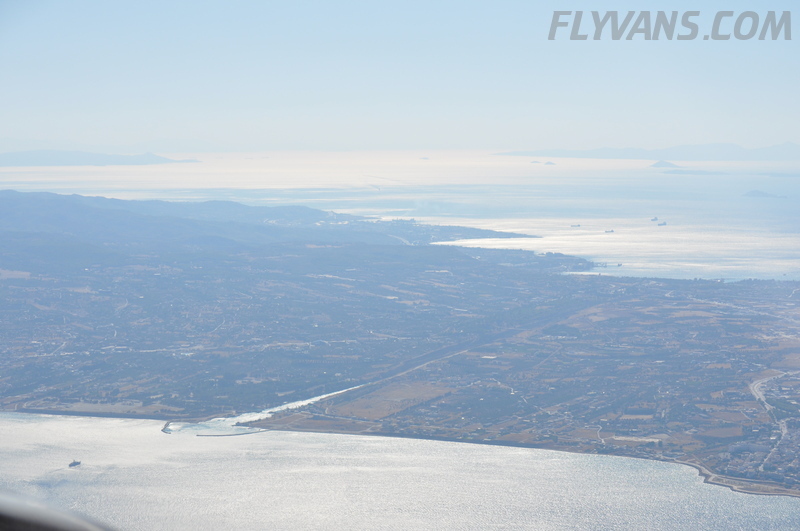 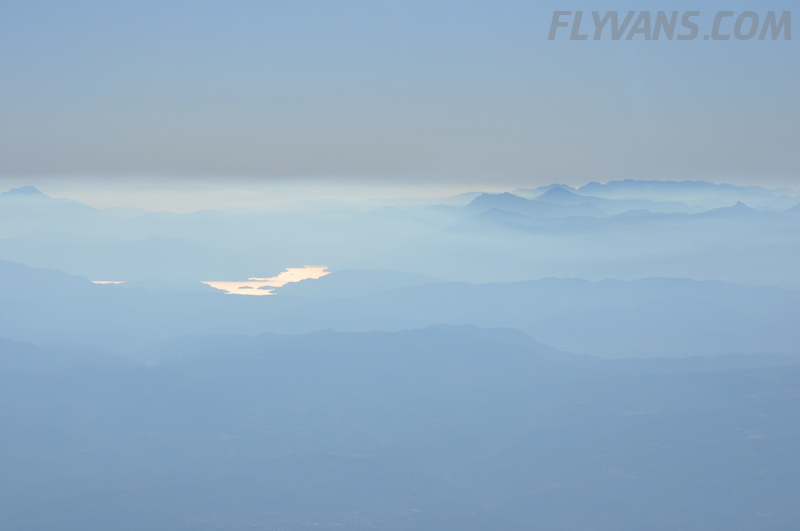 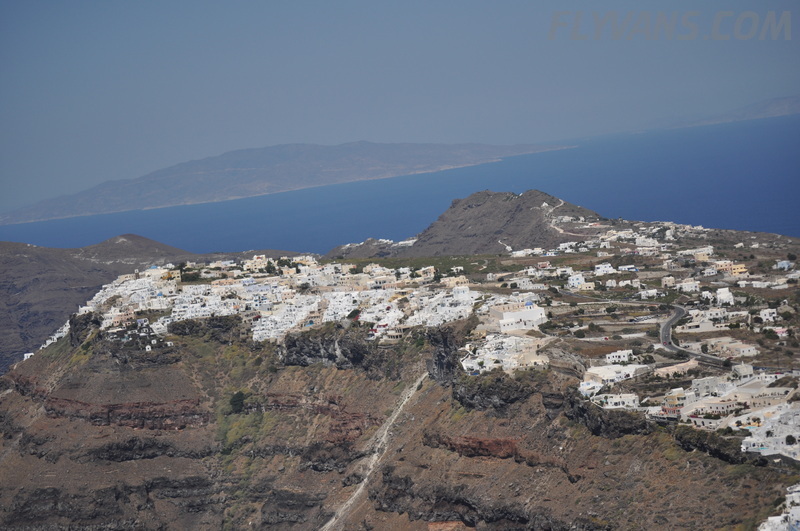 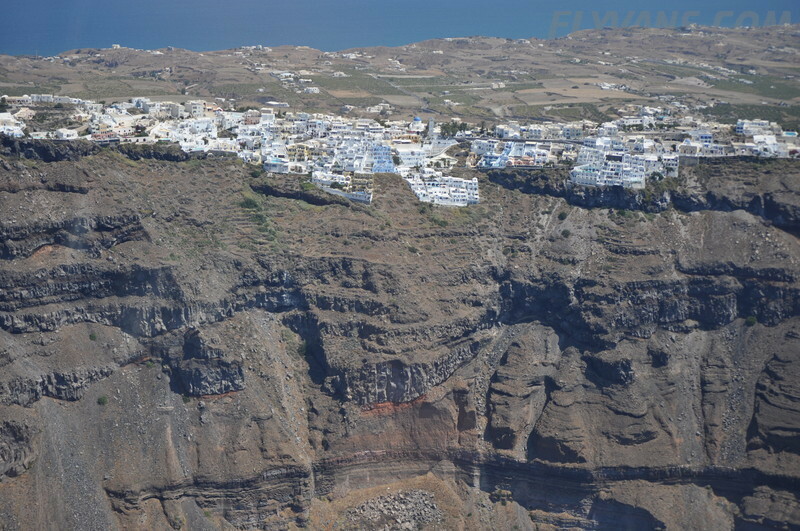 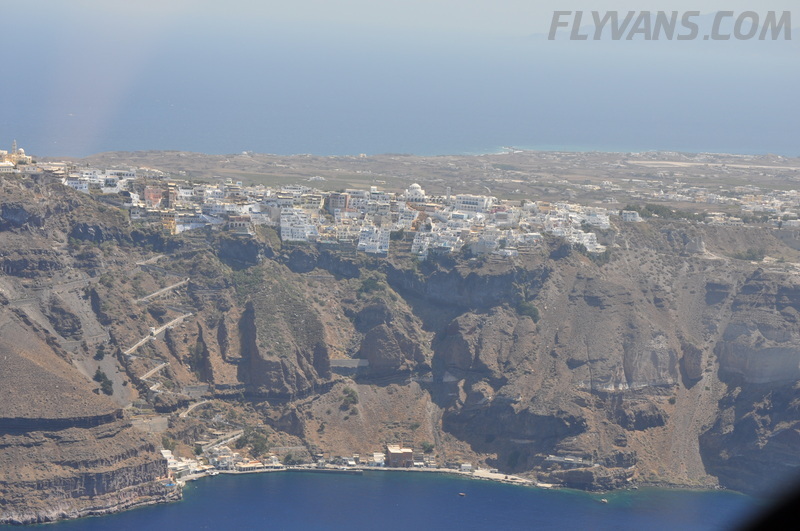 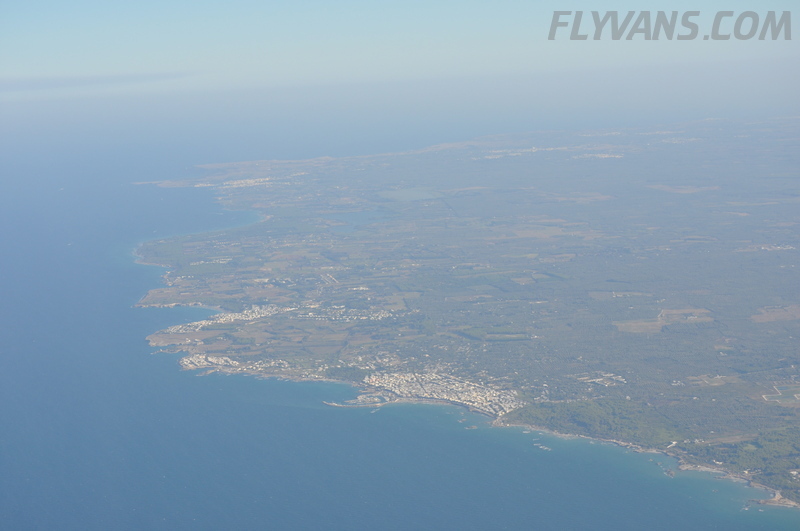 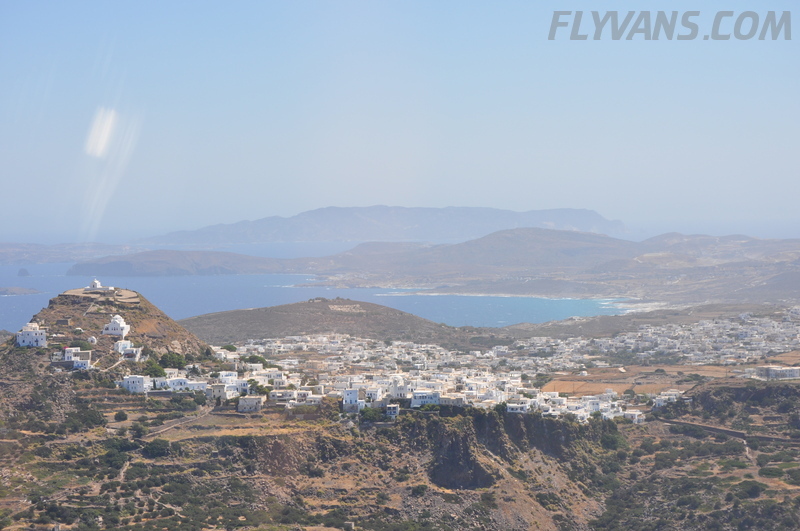 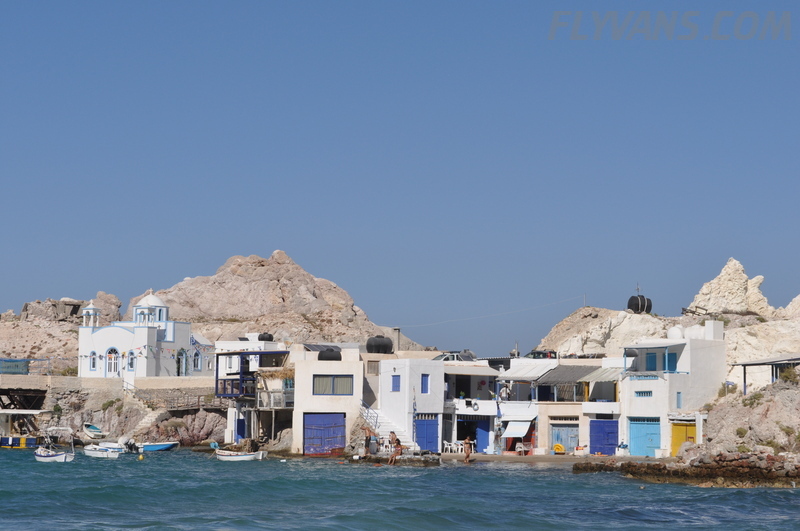 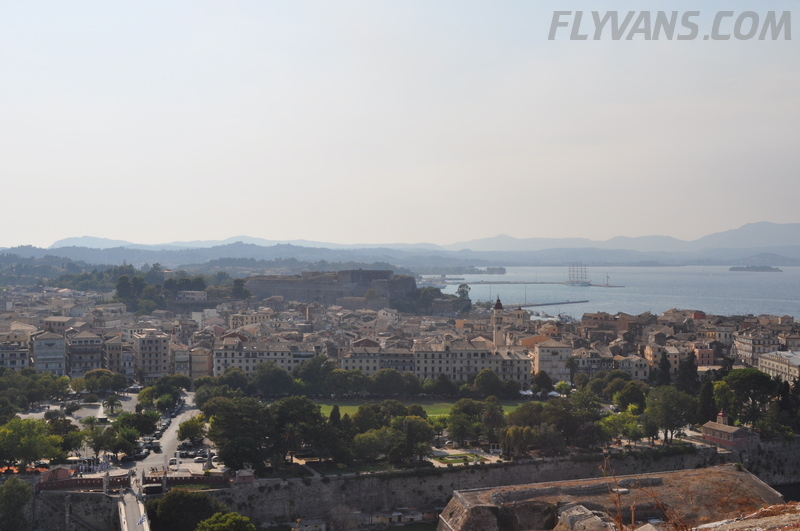 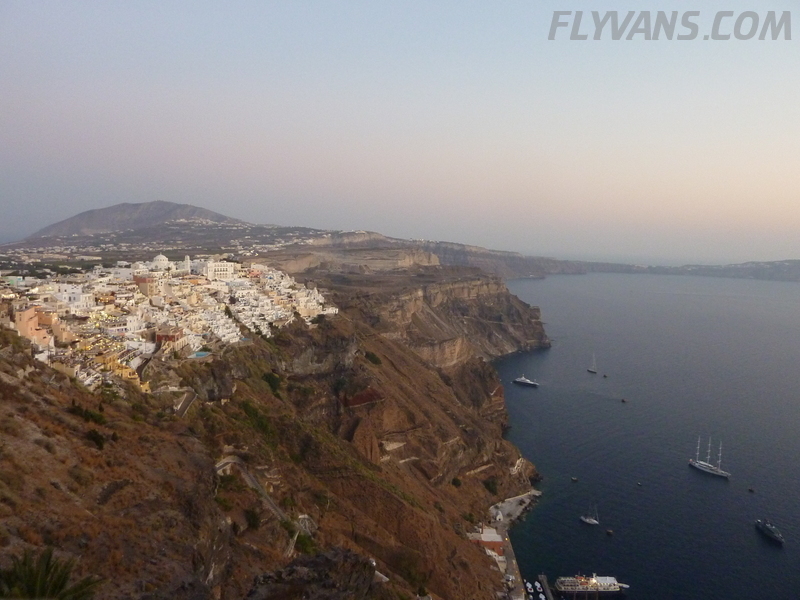 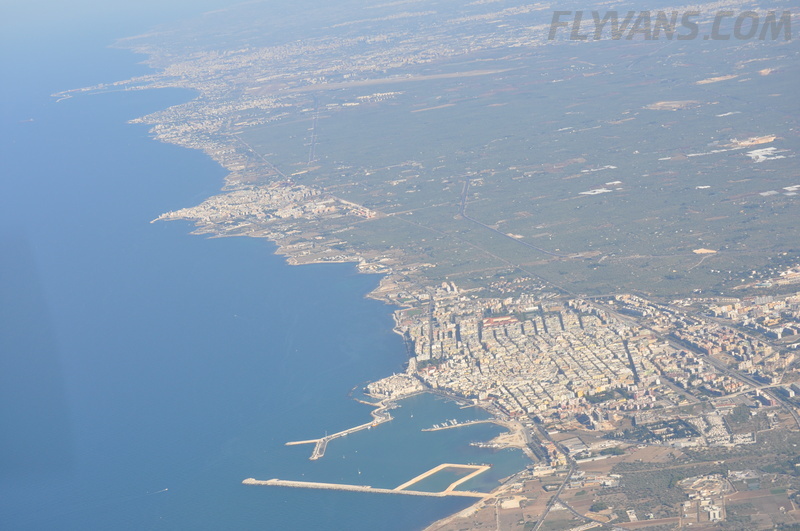 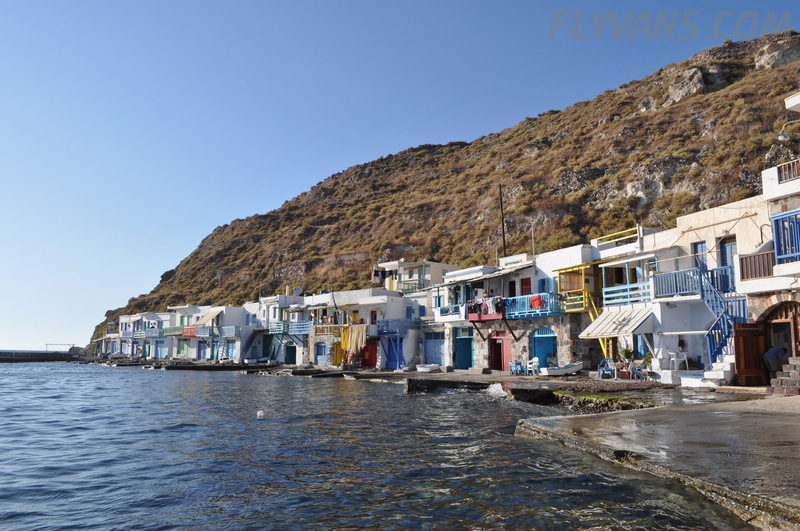 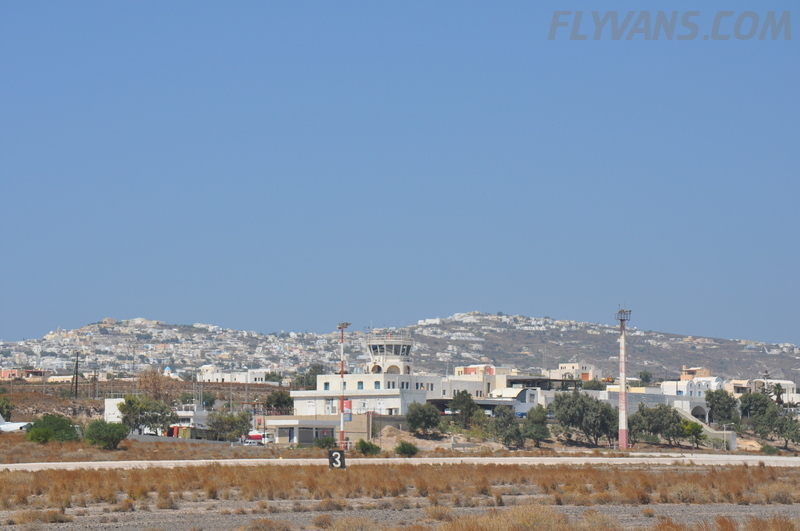 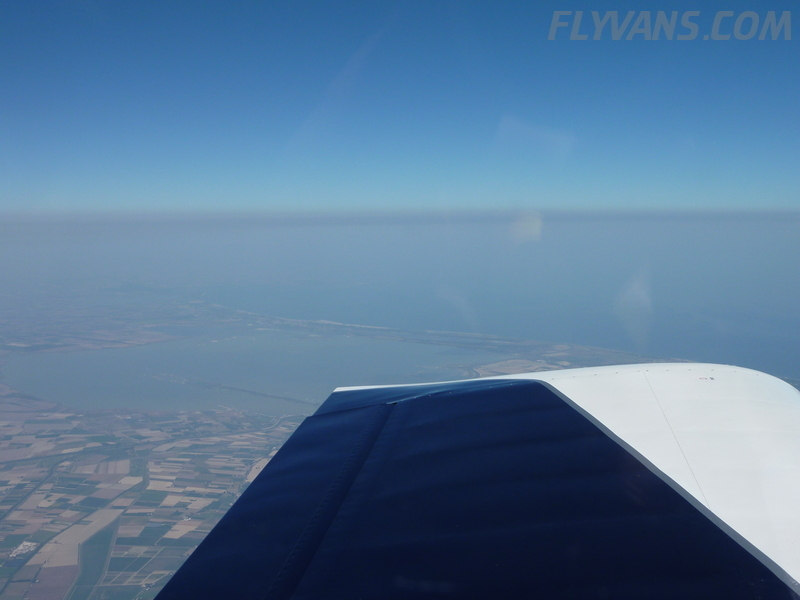 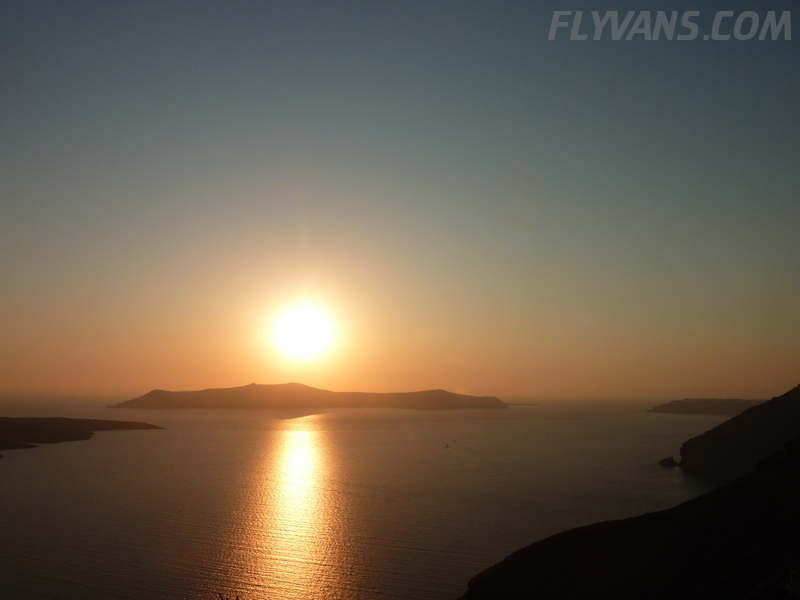 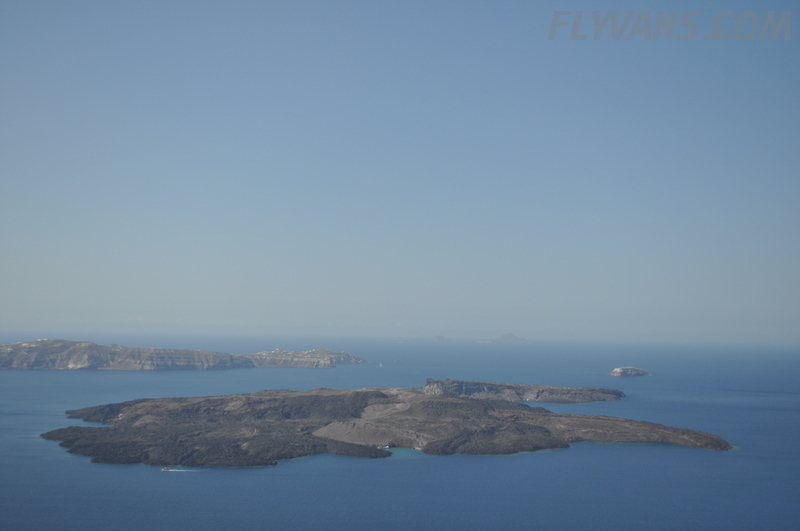 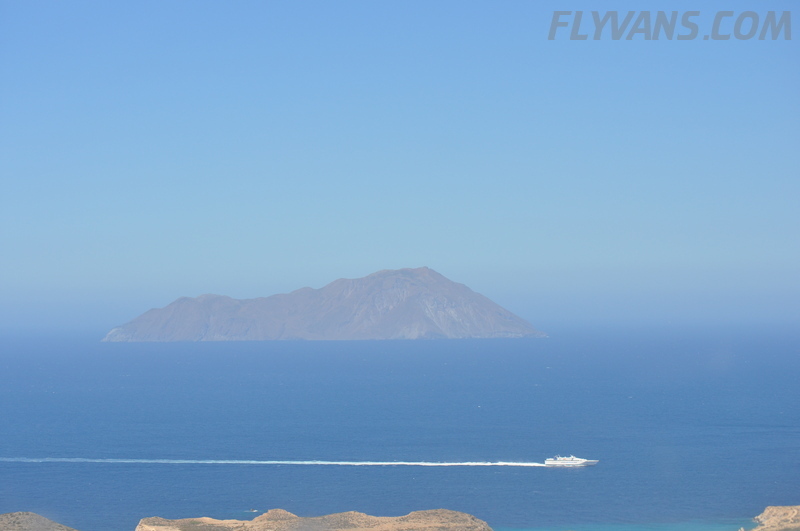 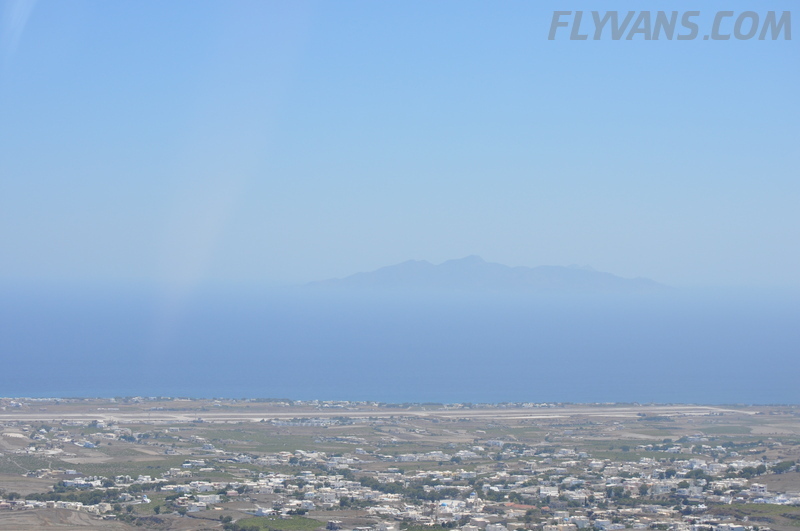 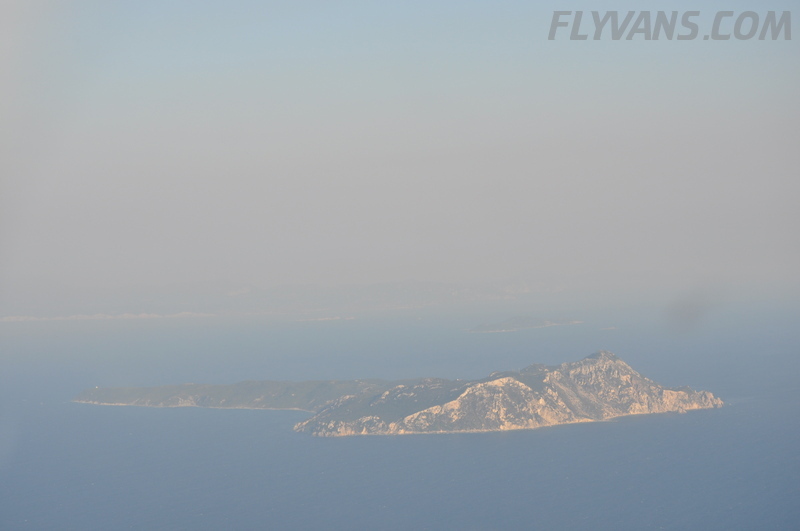 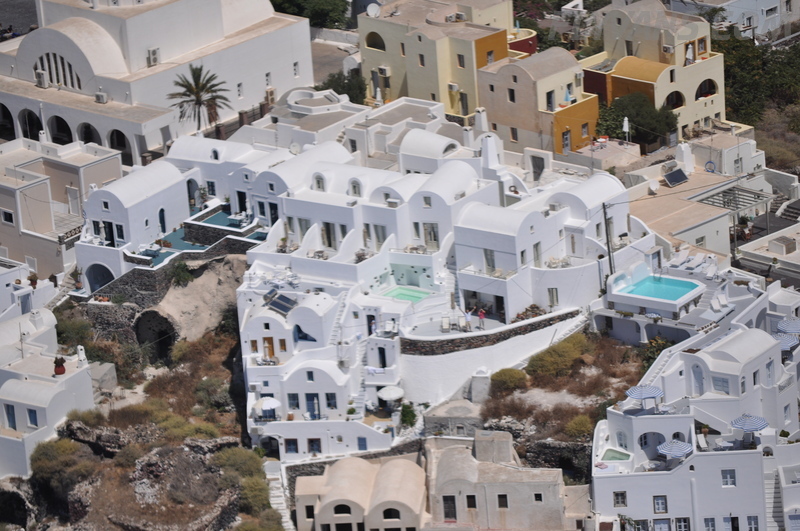 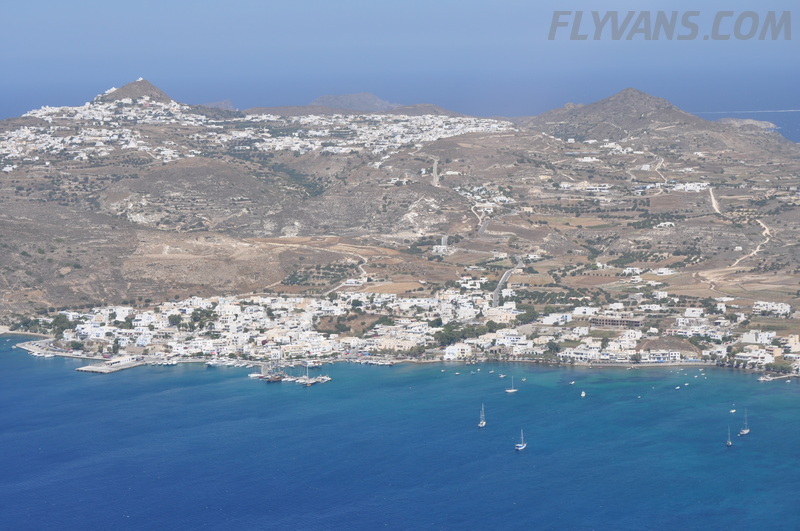 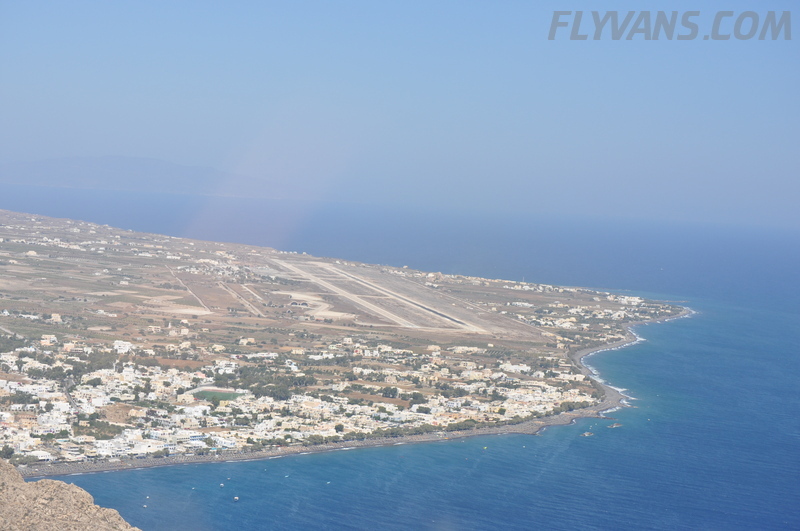 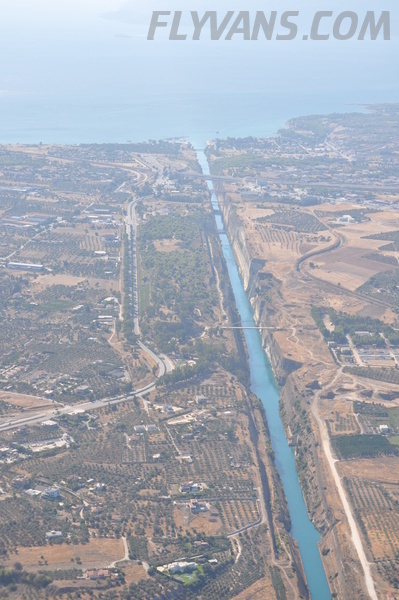 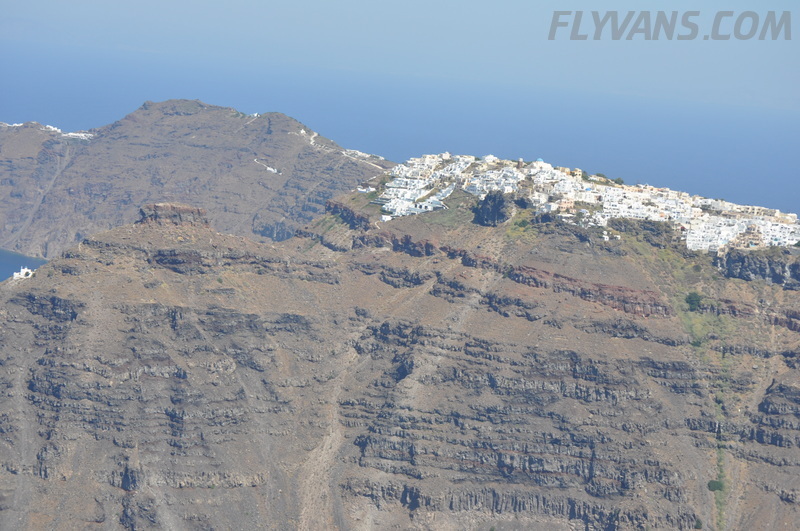 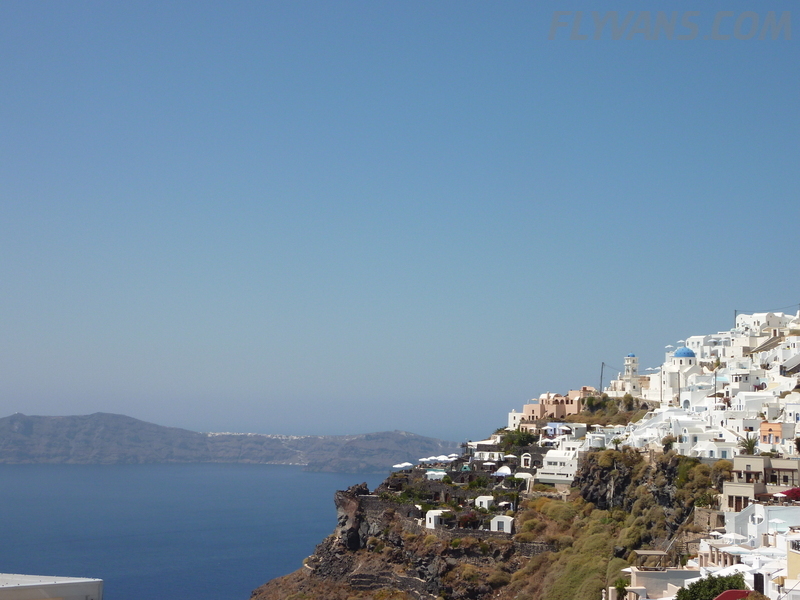 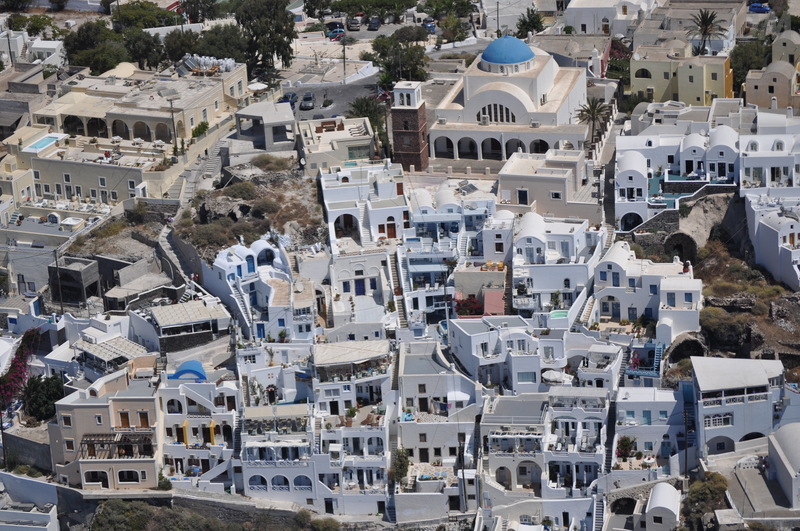 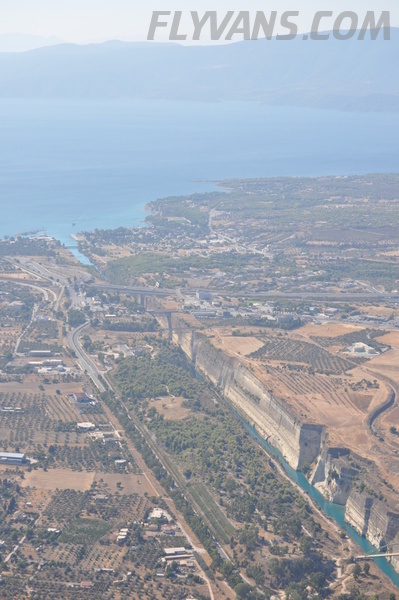 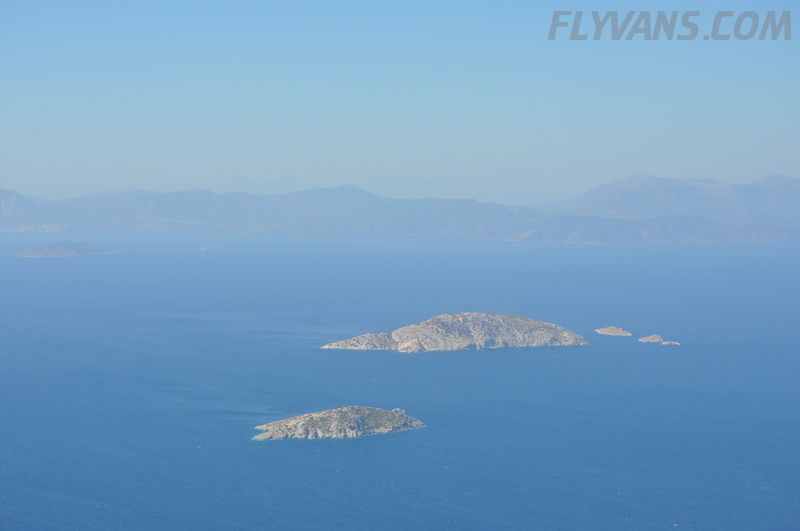 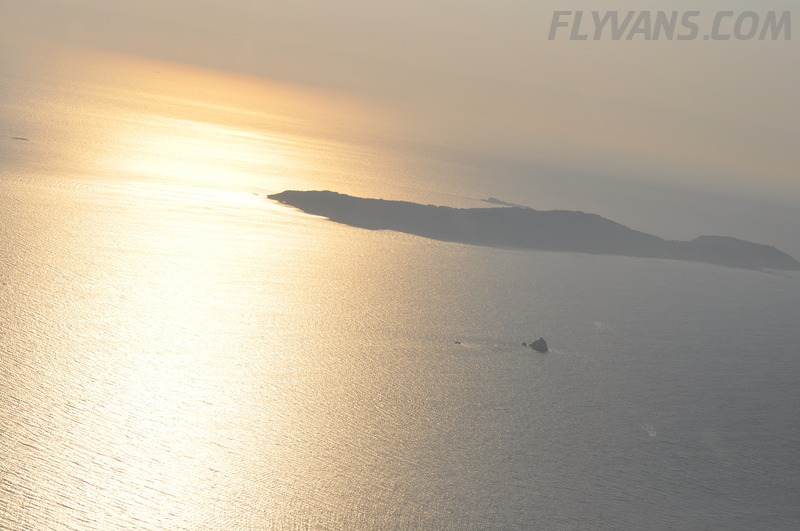 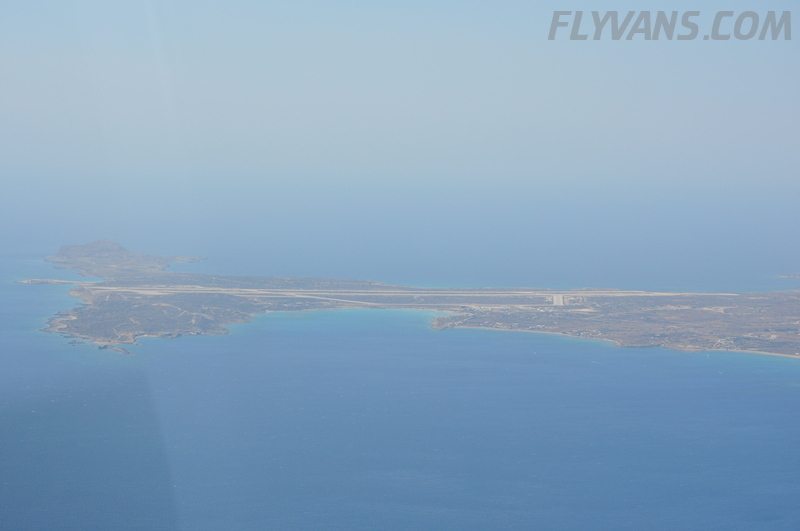 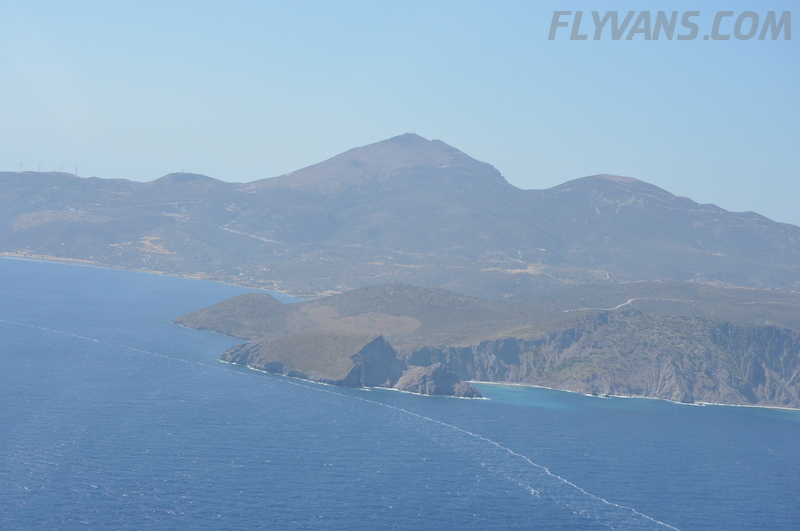 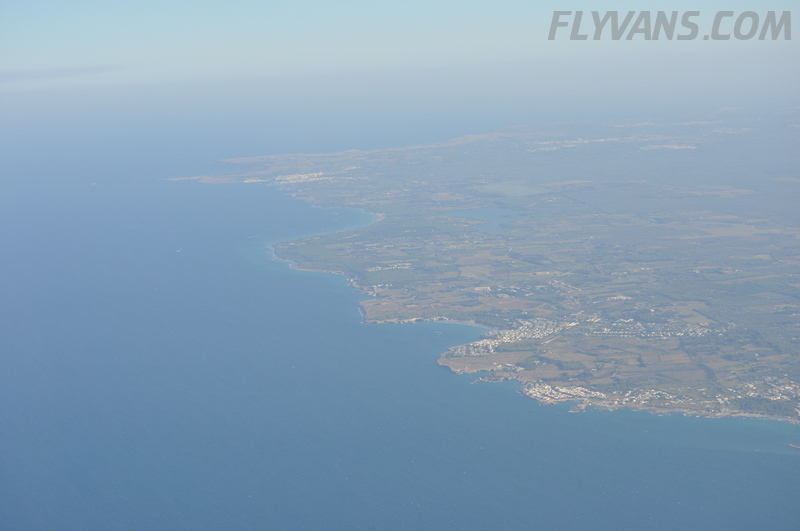 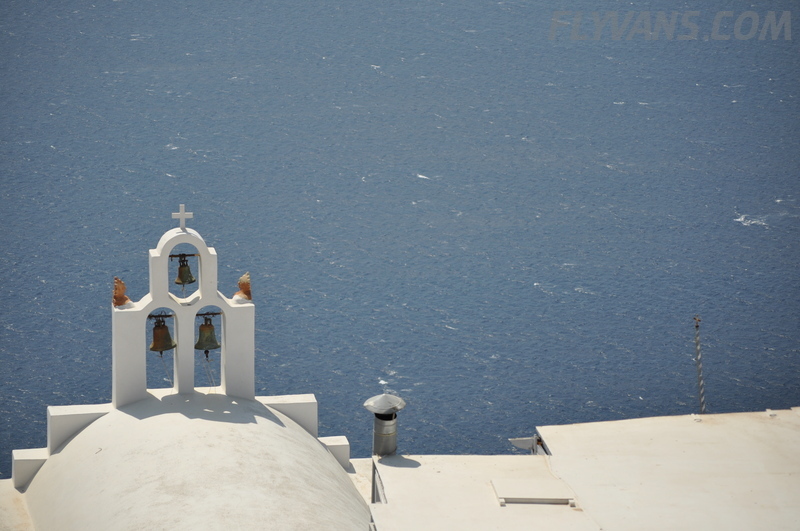 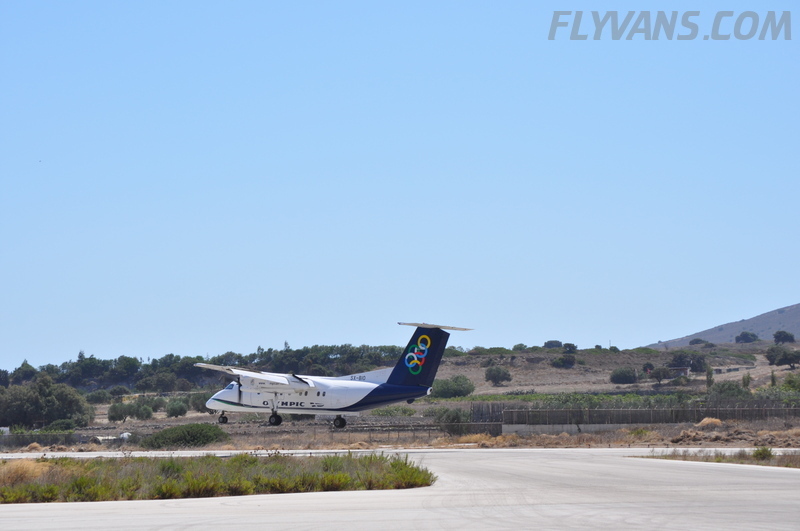 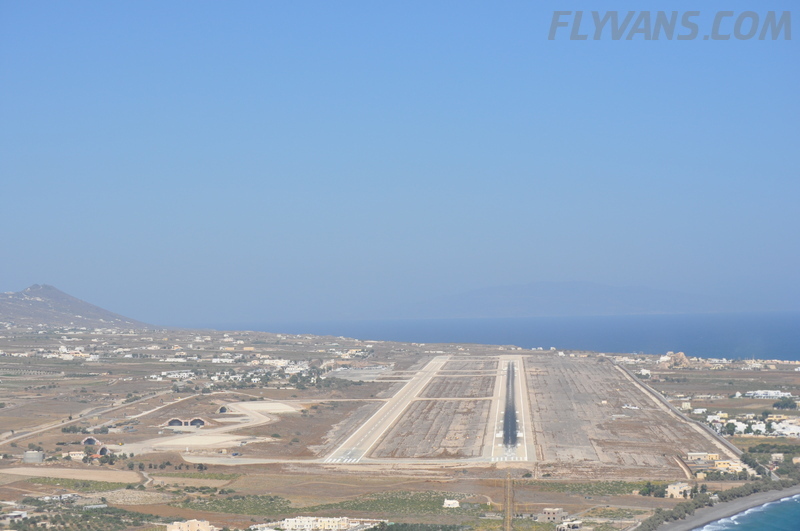 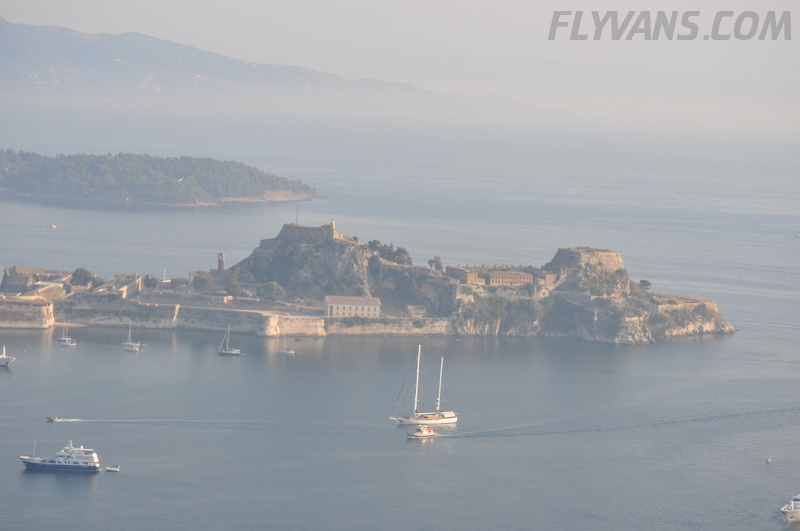 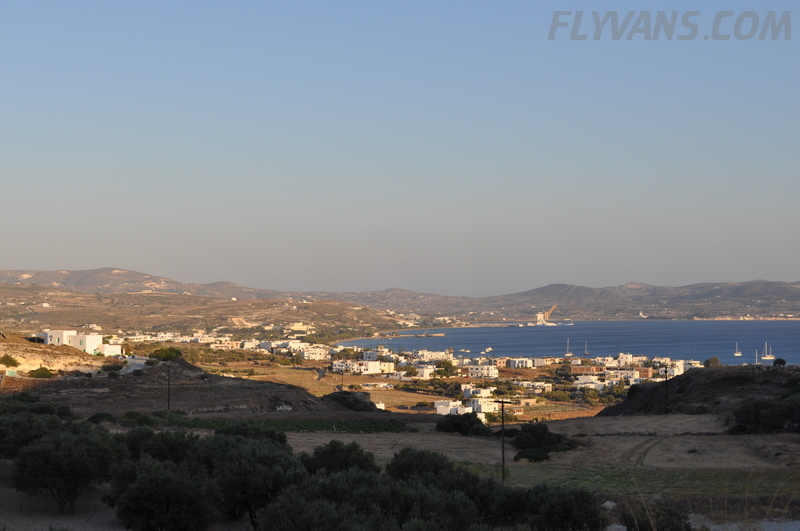 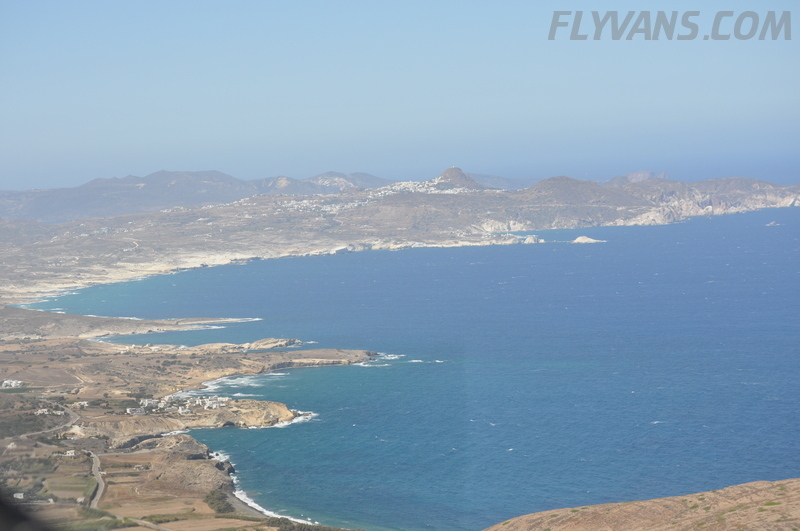 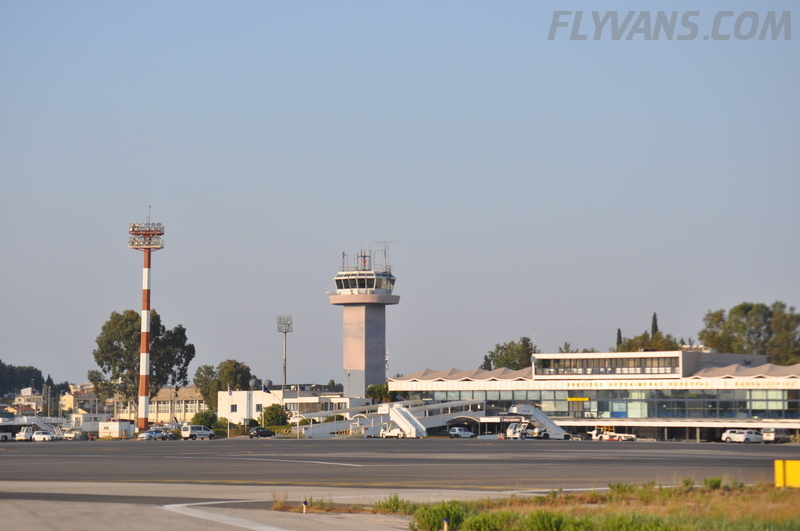 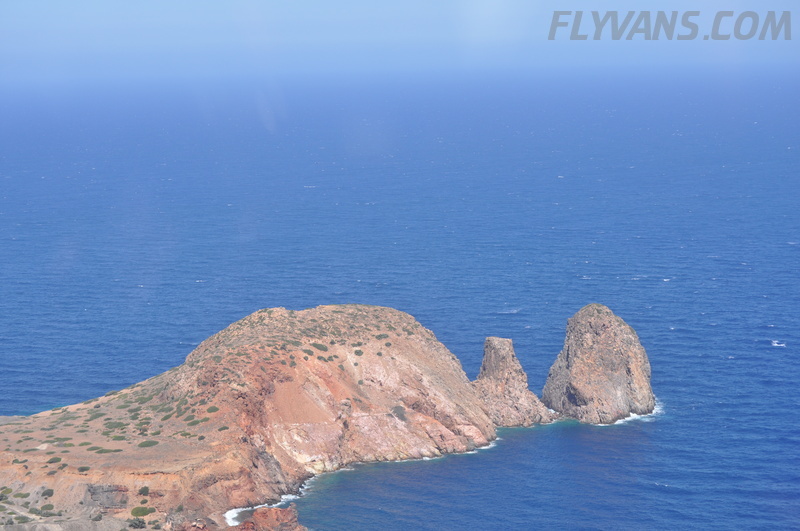 The flight itself was uneventful, with great service by Greek ATC, first Santorini TWR letting us do sightseeing over Imerovigli, opposite to where we were going, and then Rhodes TWR for taking us in without delay, even with traffic. 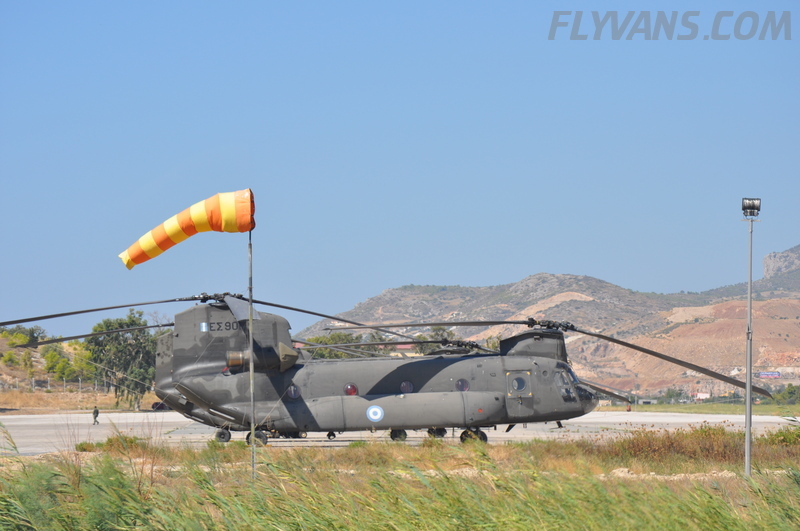 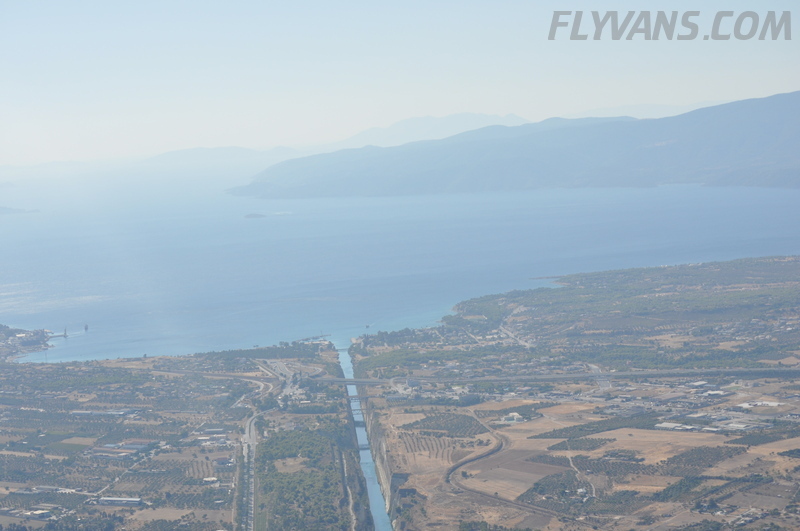 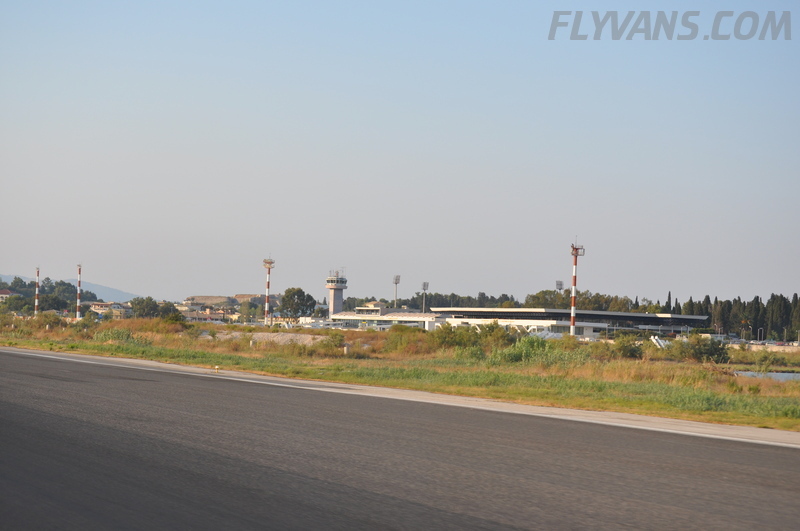 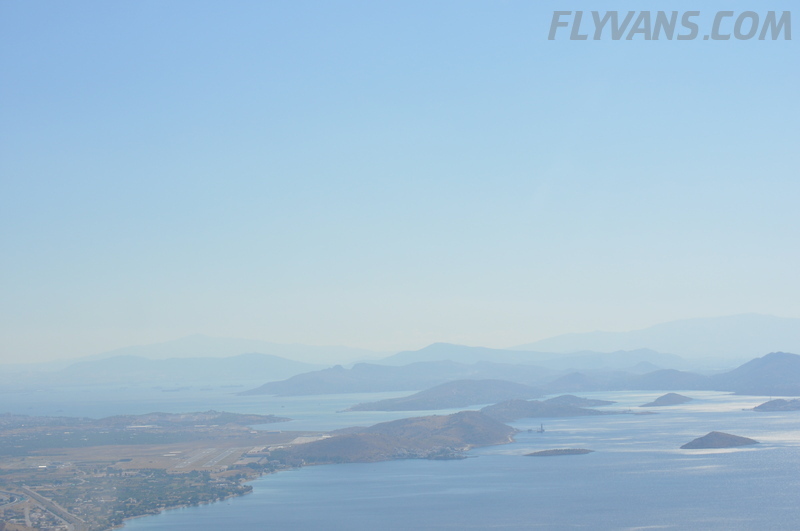 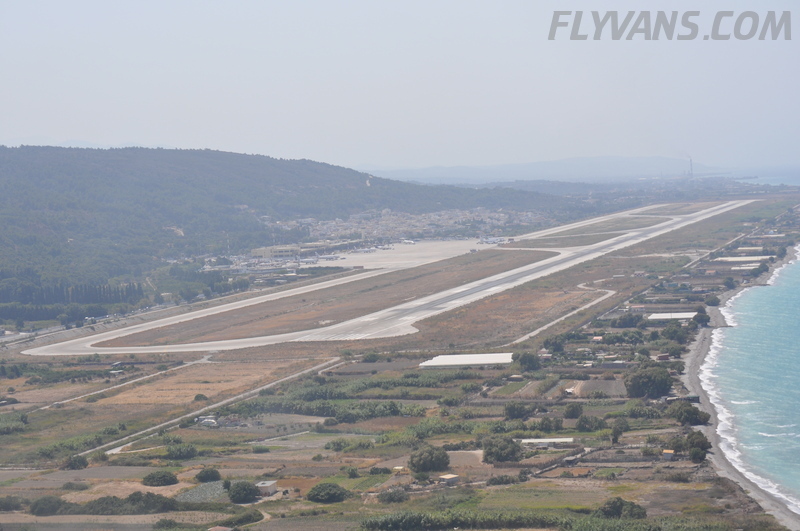 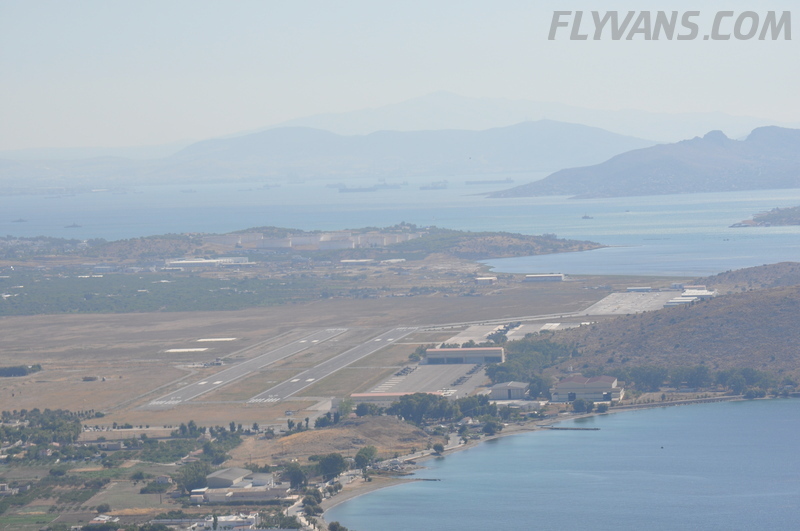 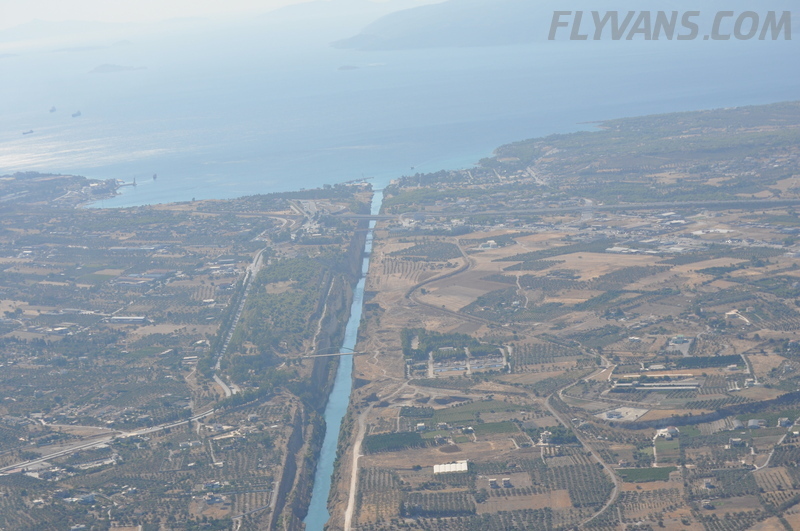 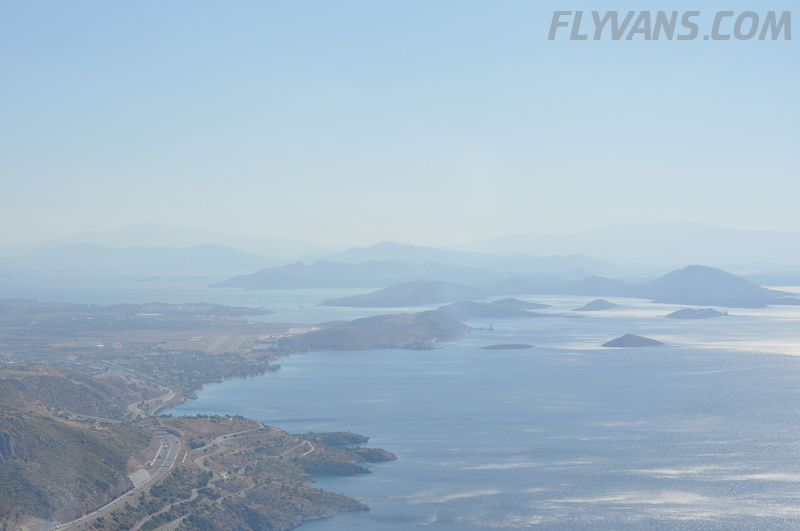 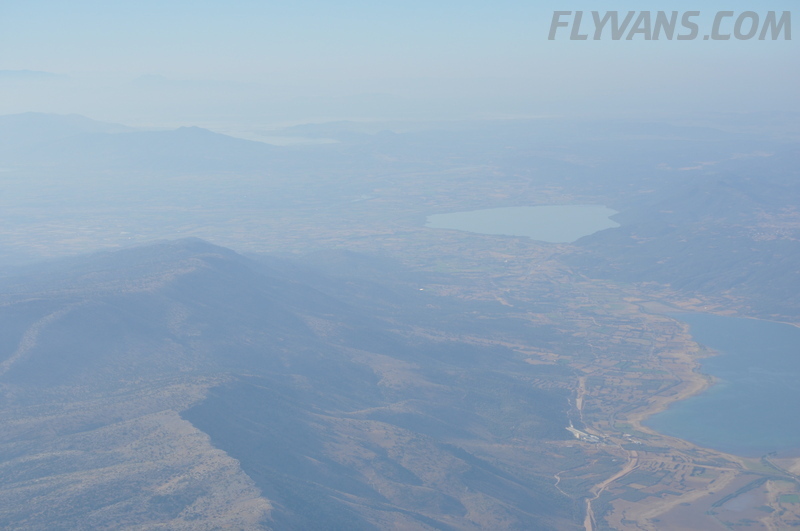 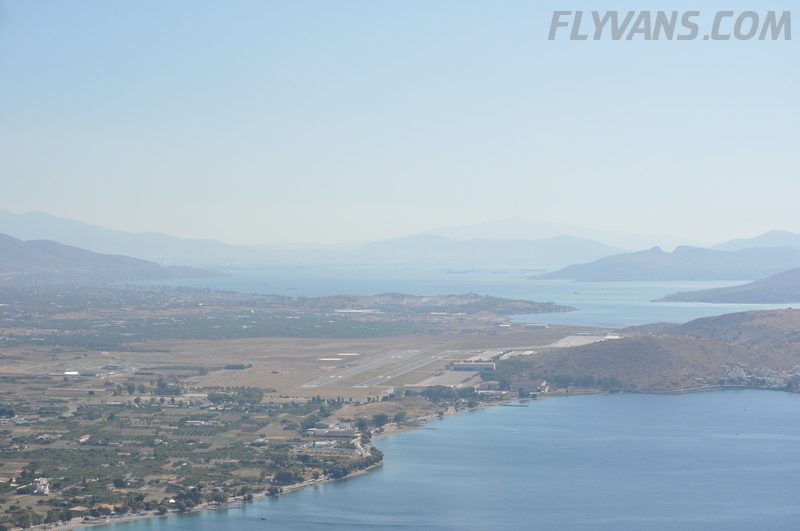 In a lot of other cases i could “feel” the Greek ATC being rather cautious and unexperienced with our RV, greatly underestimating mainly the departure performance and little time required. 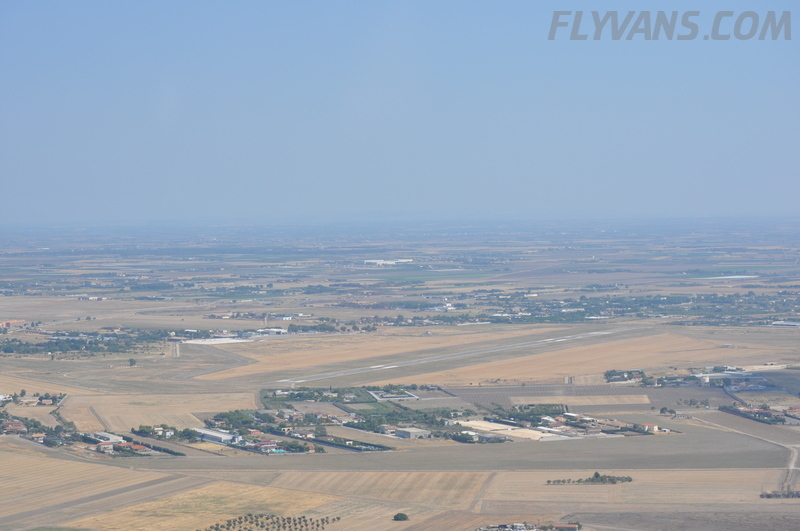 So they let us hold on the ground a few times even though there would have been plenty of time for a quick early turn VFR departure. 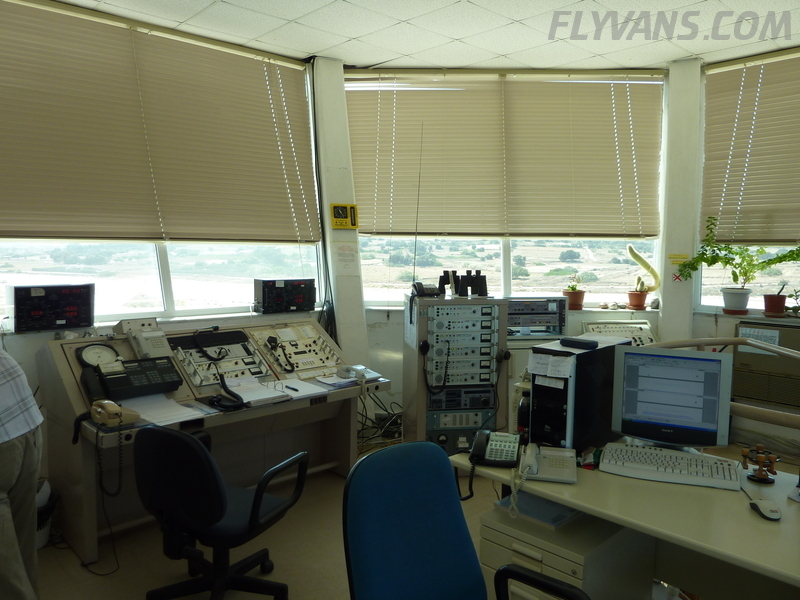 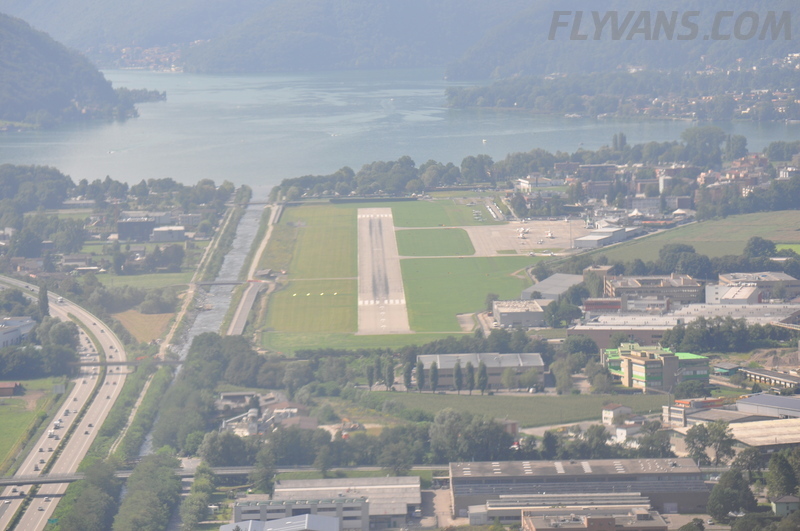 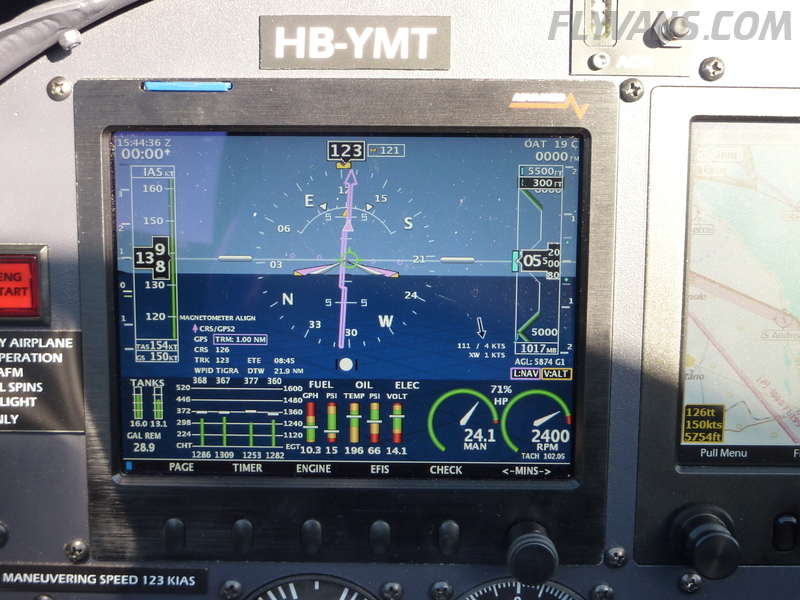 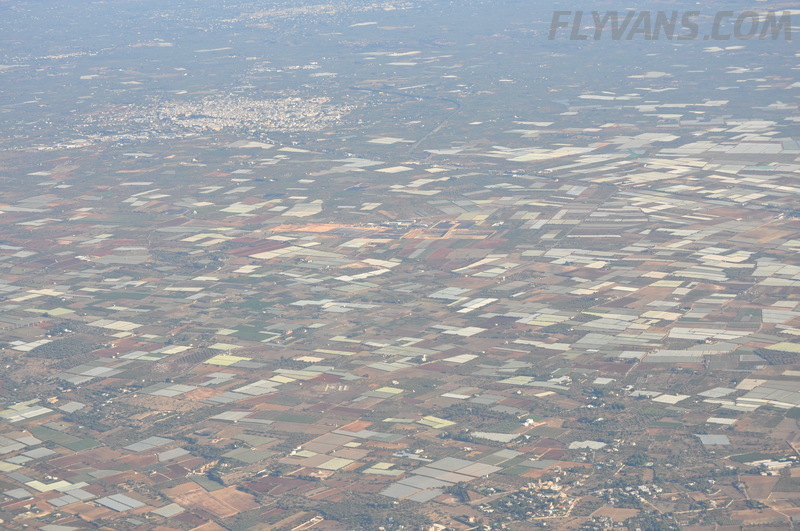 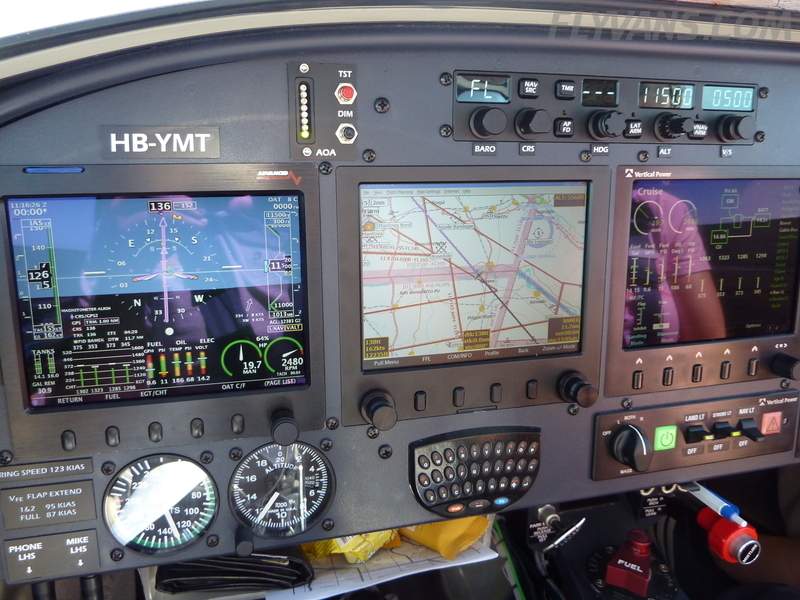 But generally, ATC has been great, with good and understandable English (LGKR, LGMG, LGSR, LGRP and some enroute TMA’s.). 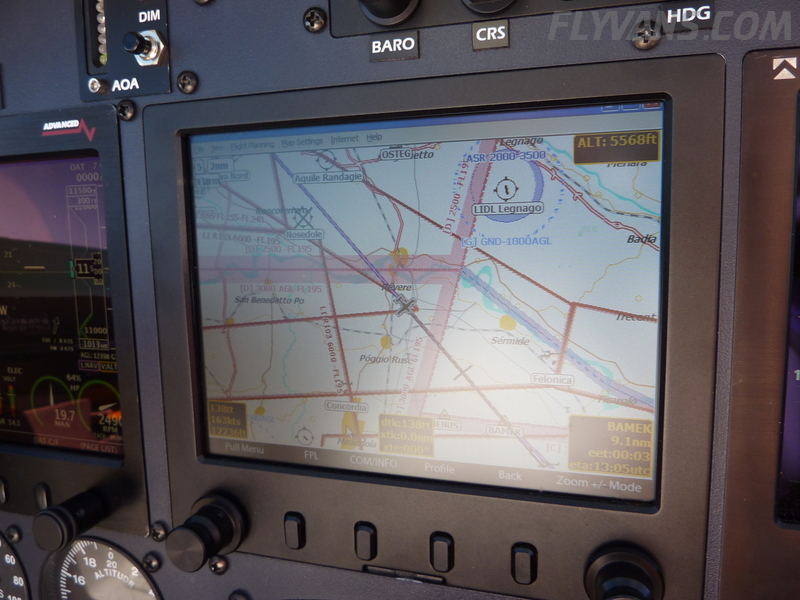 This doesn’t apply so much to the AFIS operators, however (LGML, LGKP, LGST and FIC, which possibly are controllers though). 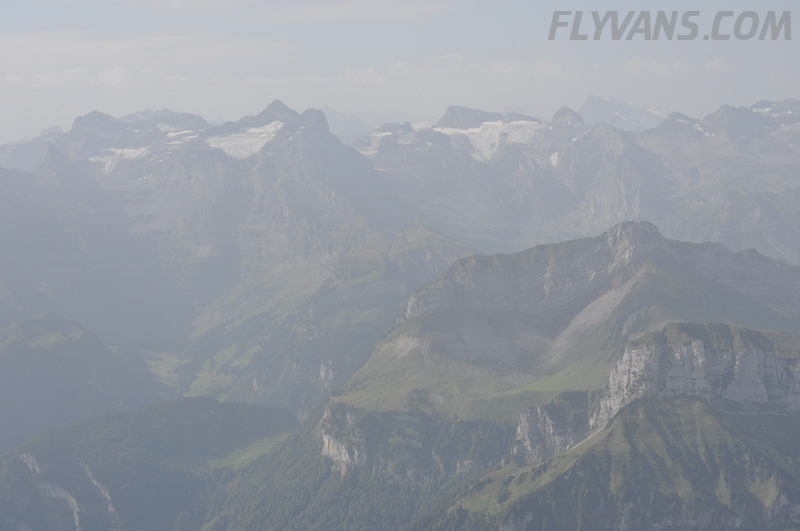 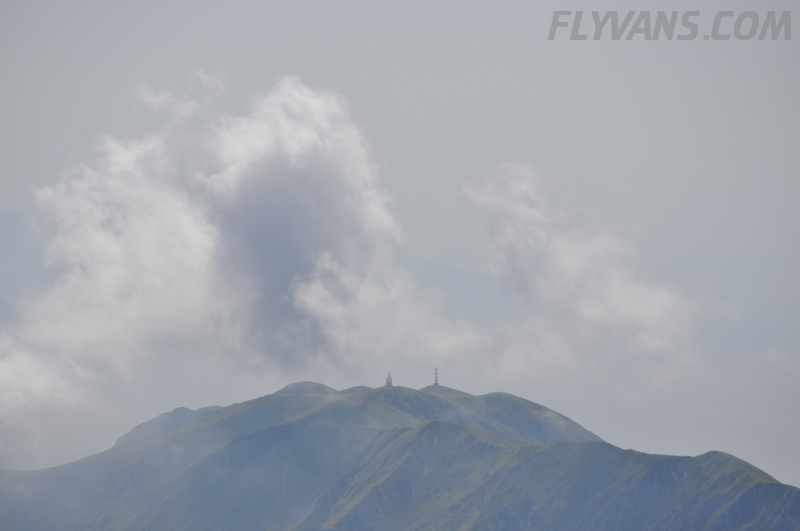 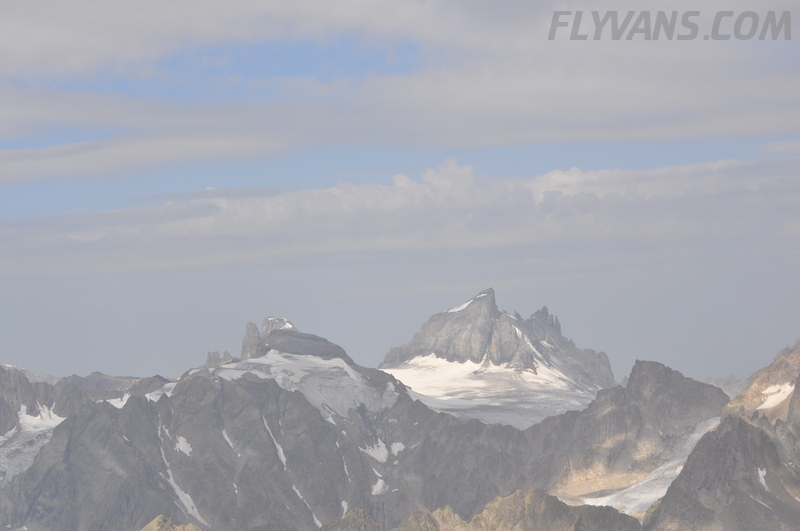 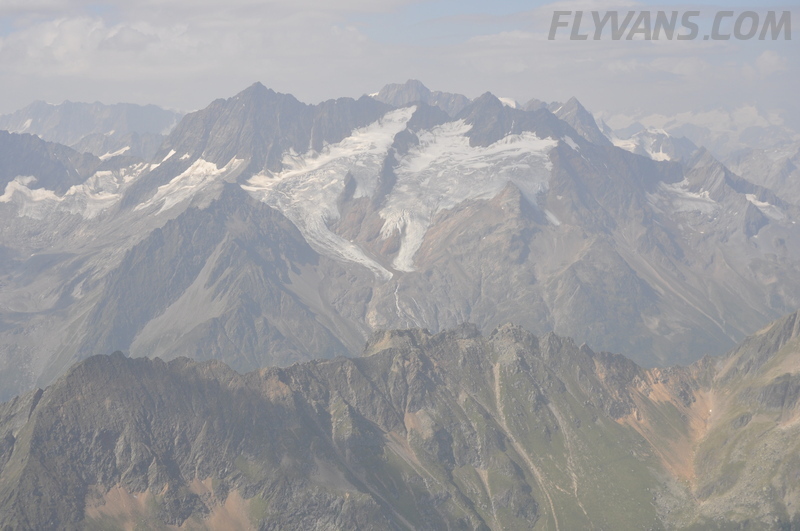 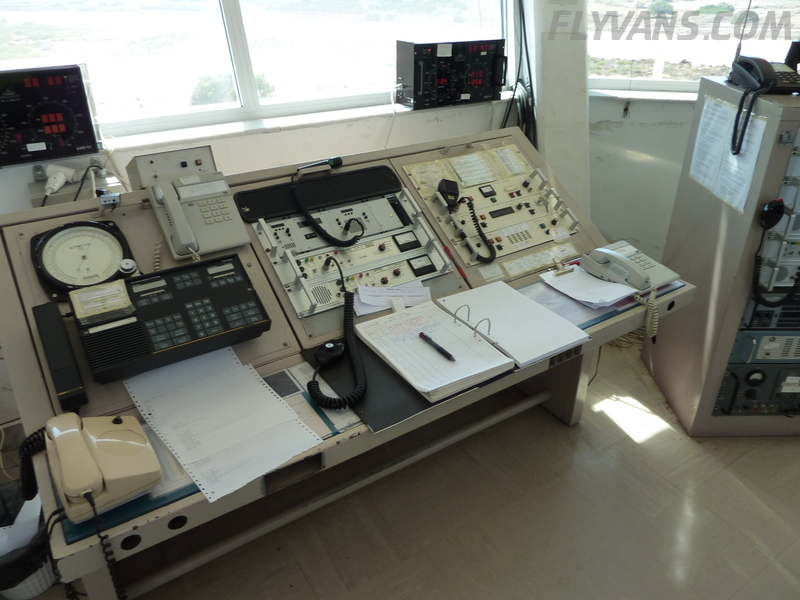 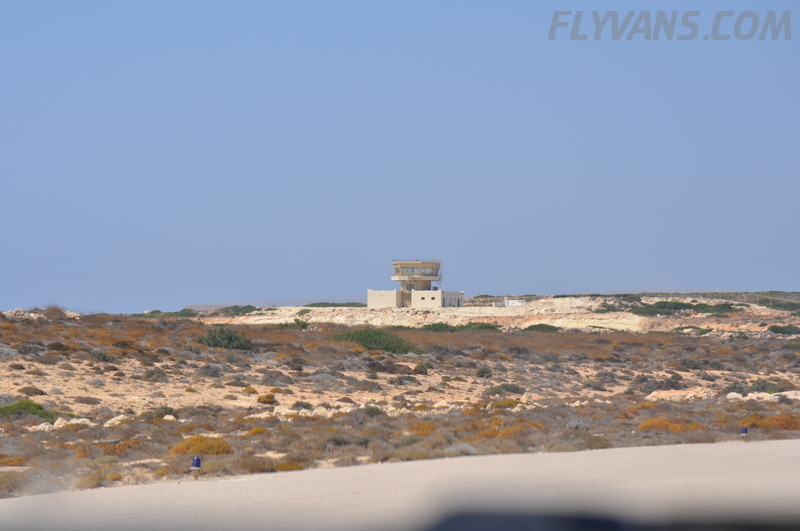 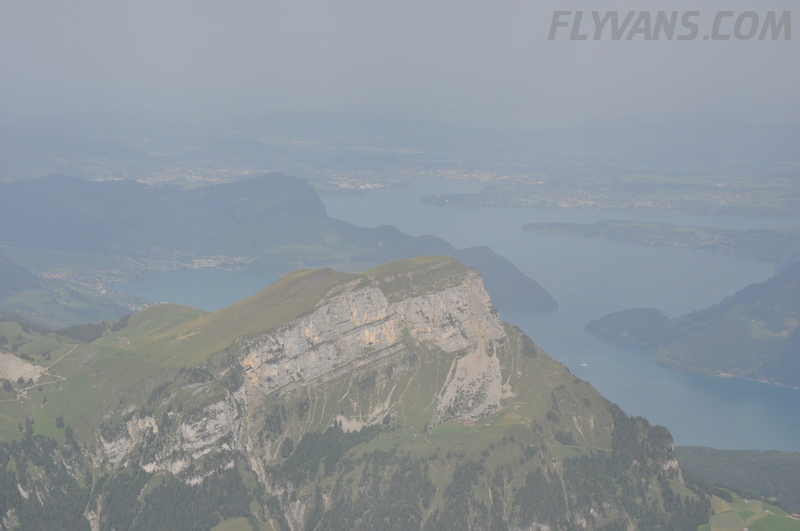 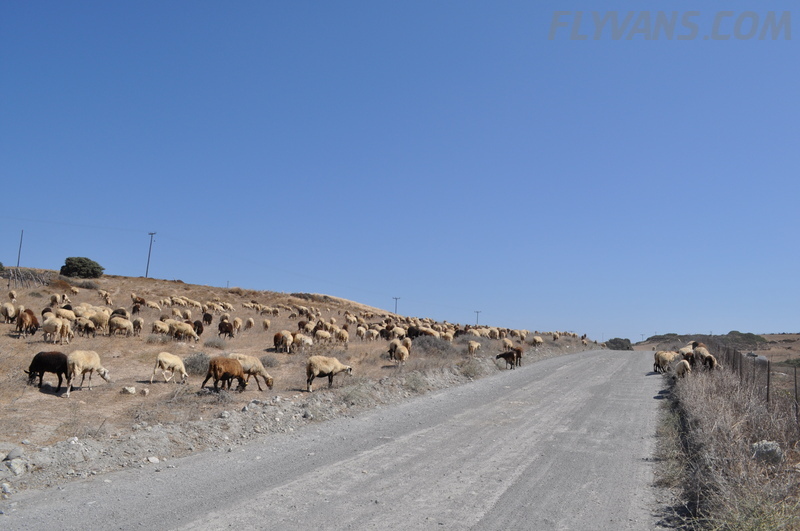 They are not allowed and trained to do ATC service (but somewhat tried and acted as if nonetheless), their English and radio proficiency we found quite poor and as soon as there was more than one aircraft at the same time, they got extremely nervous and heated up on the radio. 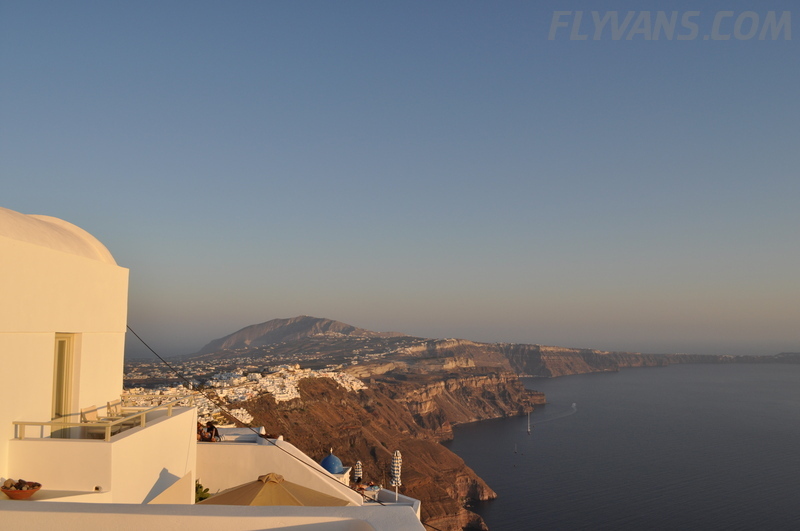 Another interesting nuance was the FIC giving you instructions like “report when in contact with Santorini APP”. 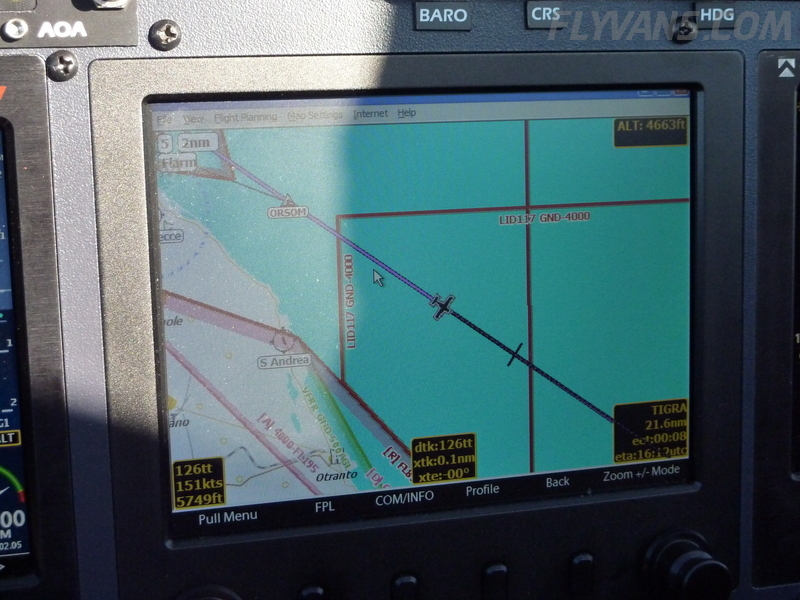 Now, for a single radio airplane, this is simply not doable without leaving the frequency unannounced to get in touch with the other station. 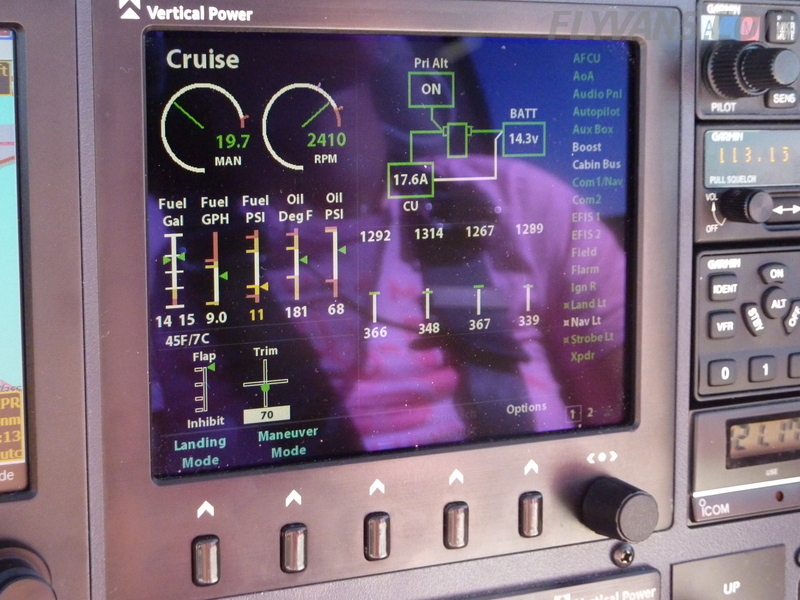 And even for a dual com like us, the range of the second antenna in our case is not up to par with the first. 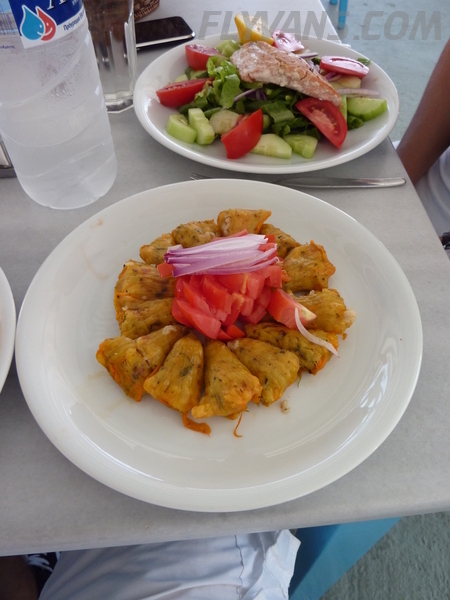 Anyway, we did it the “Greek way” and did fine ;-) but it was one of a few interesting catch 22’s we’ve seen. 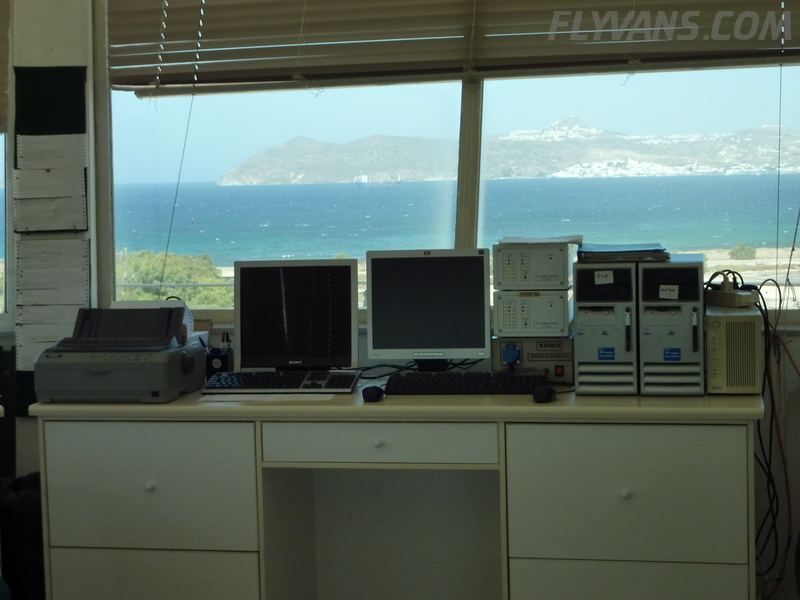 Of all the Swissport stations we used for handling, Rhodes was the most chaotic and unprepared. 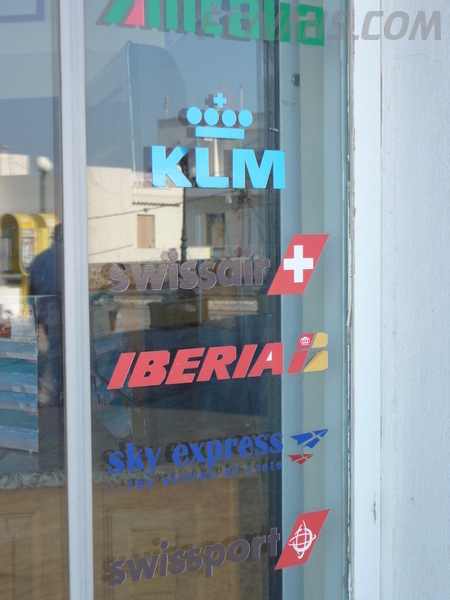 Overall it was still ok service though. 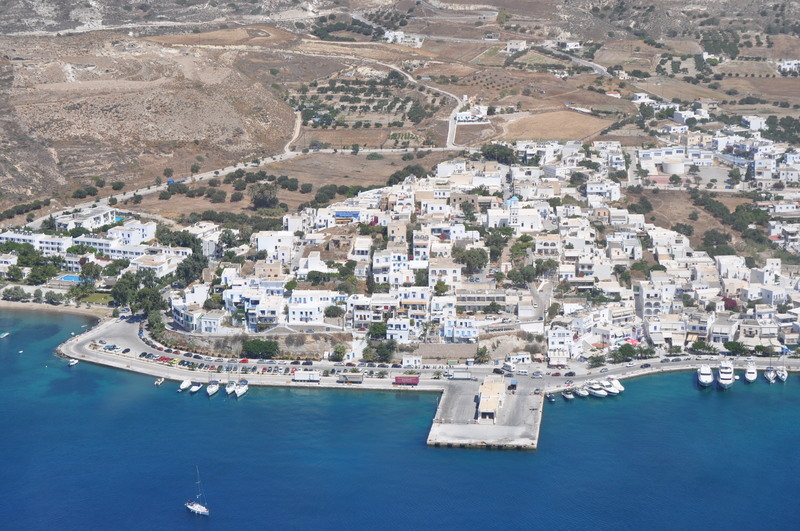 The island itself is very busy, traffic on the roads in the major centers was quite a pain compared to elsewhere and I thought the island got even more touristy in the negative sense since the last visit (loud groups of el cheapo package tourists being bussed in etc…) We still found some nice spots, though. 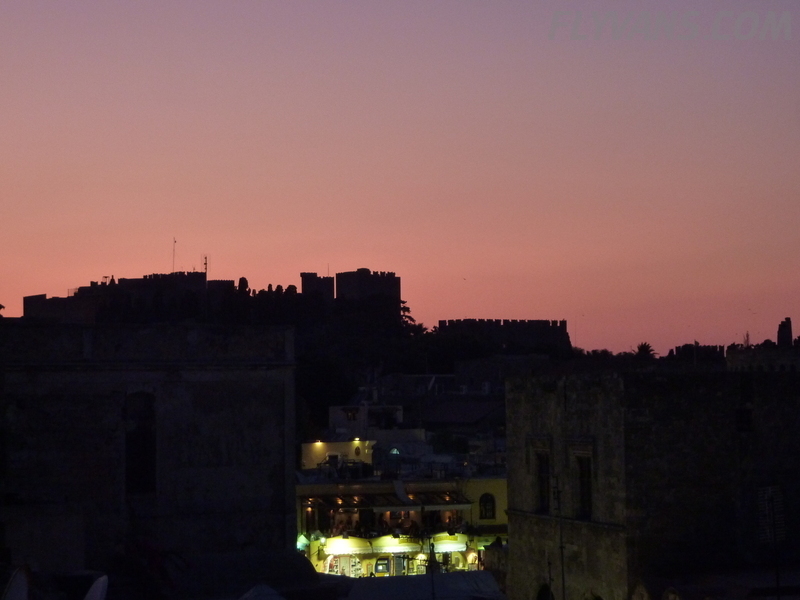 But we definitely didn’t dig Rhodes town as much as expected because of this and our choice of hotel near the city center was a disappointment compared to all the other hotels we enjoyed. 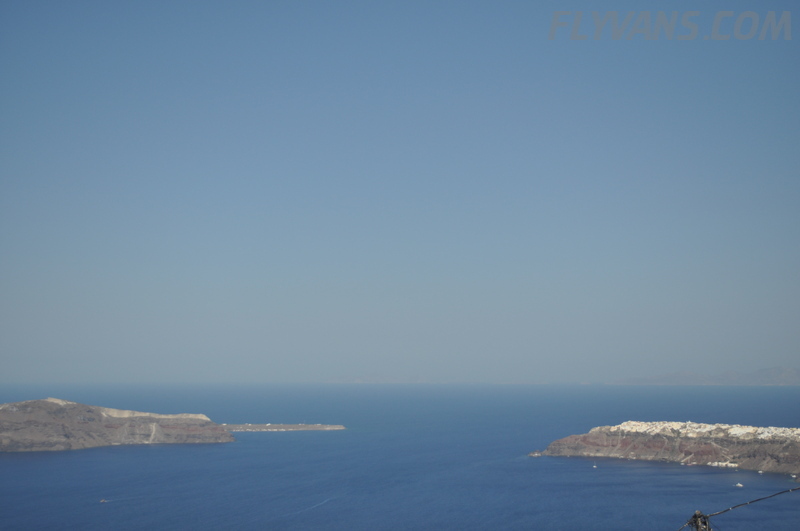 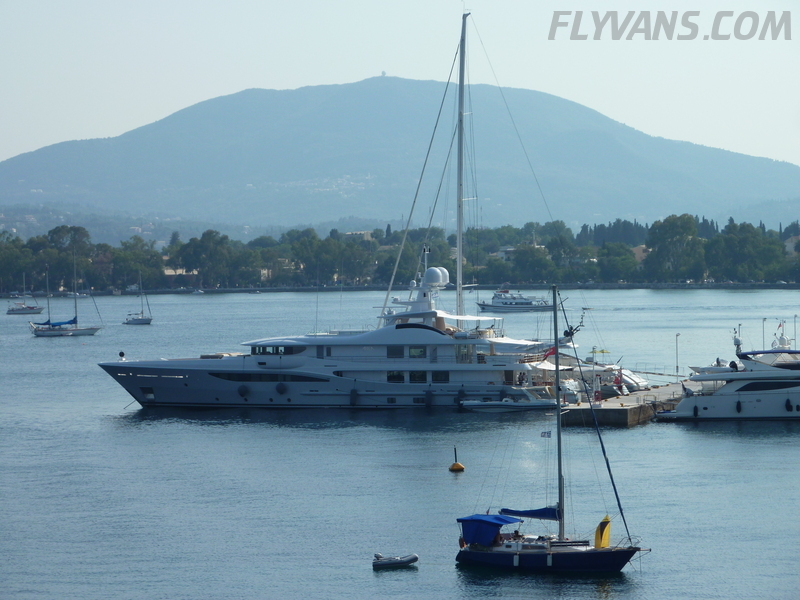 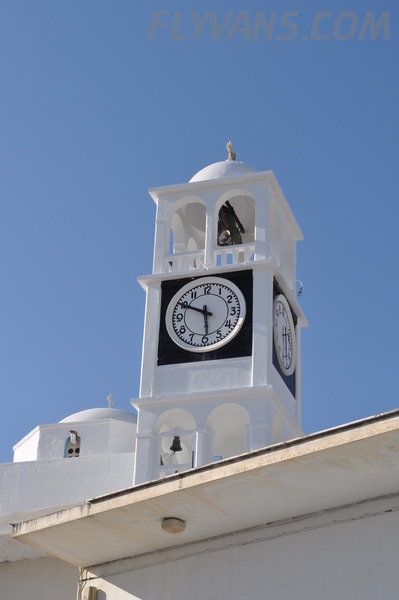 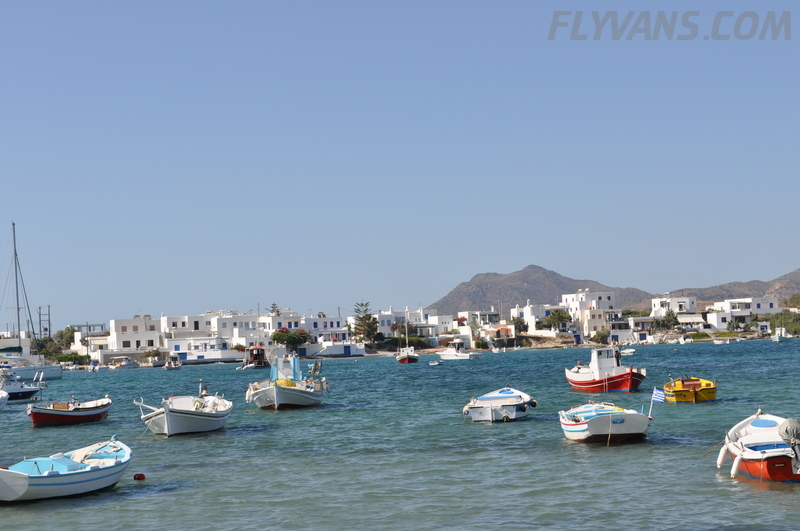 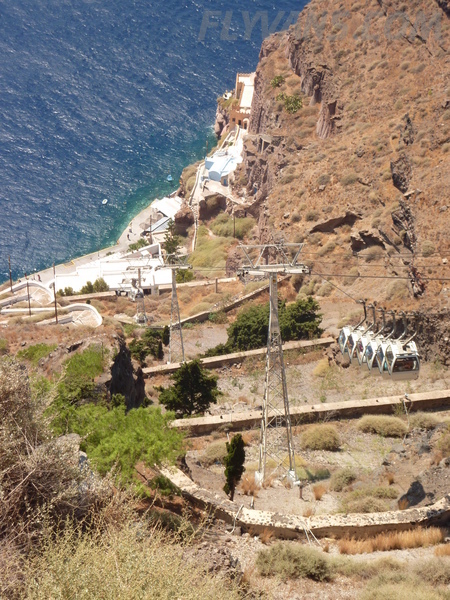 Since we only spent three days, there was no point in changing our plans, but in retrospect, we’d better spent the days in Santorini and used Rhodes or Kos just for fuel. 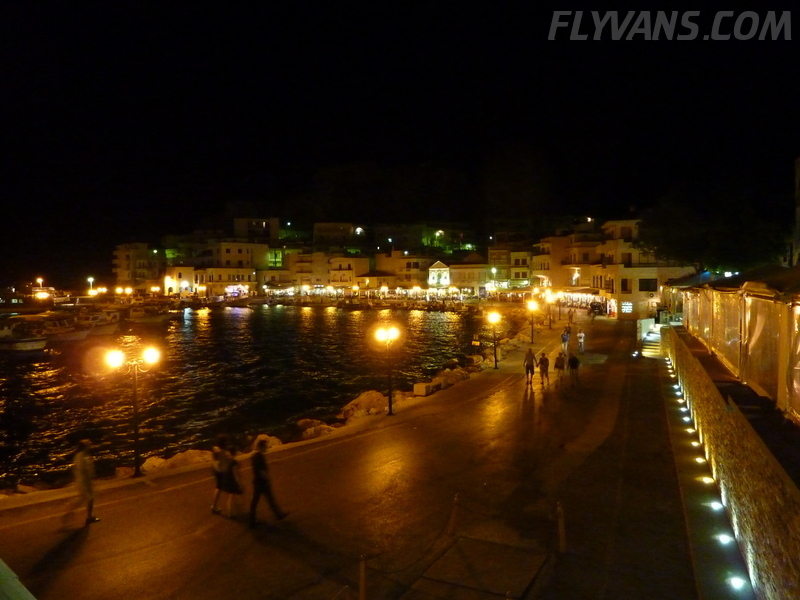 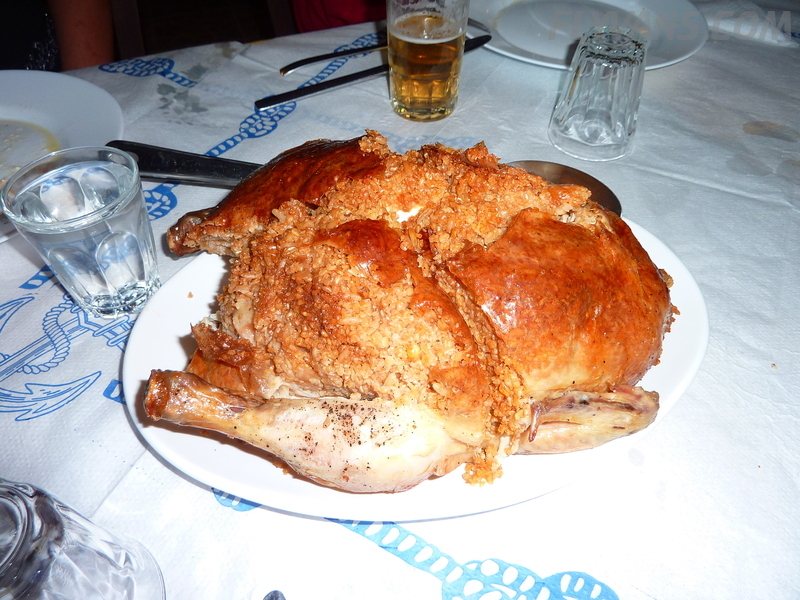 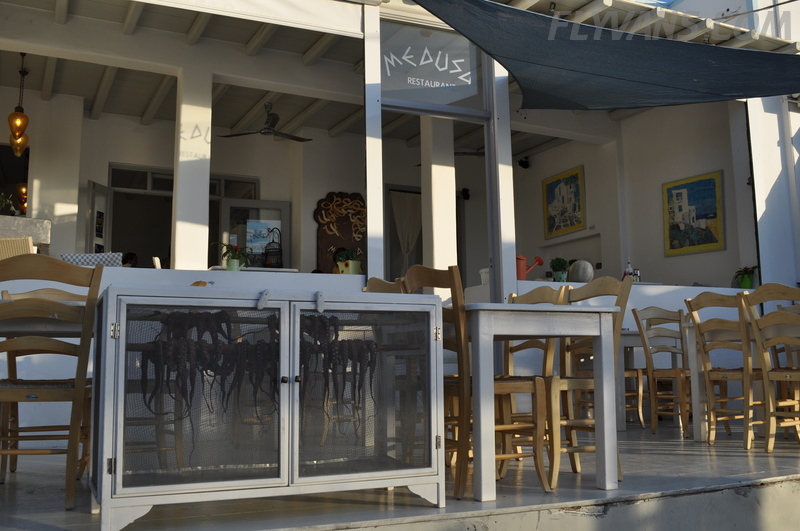 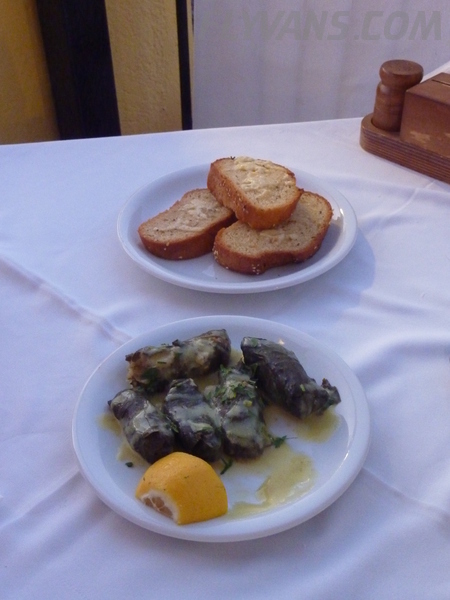 Highlights was a dinner with local Greek friends (from the previous visit) in a good restaurant off the beaten track. 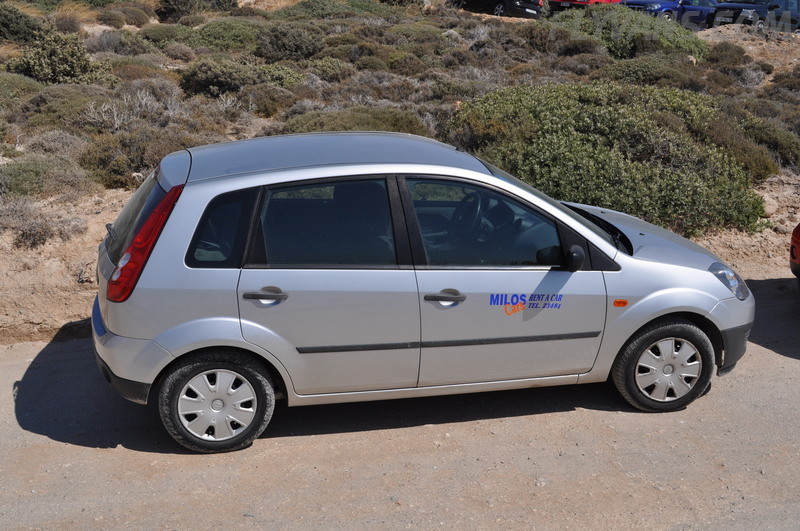 And a great tour of the island with a nice VW Polo rental car, which was a cut above the standard rentals that you normally get when booking economy. 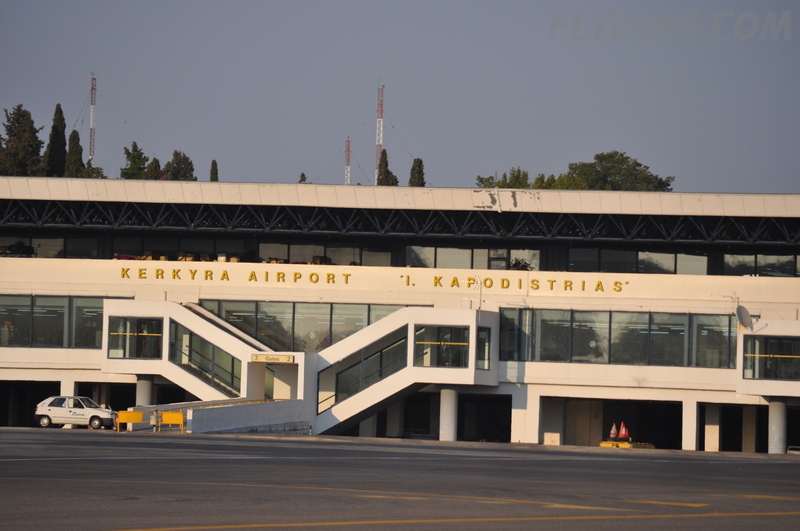 Again, the departure time was pretty much given due to the short daily opening time of the airport. 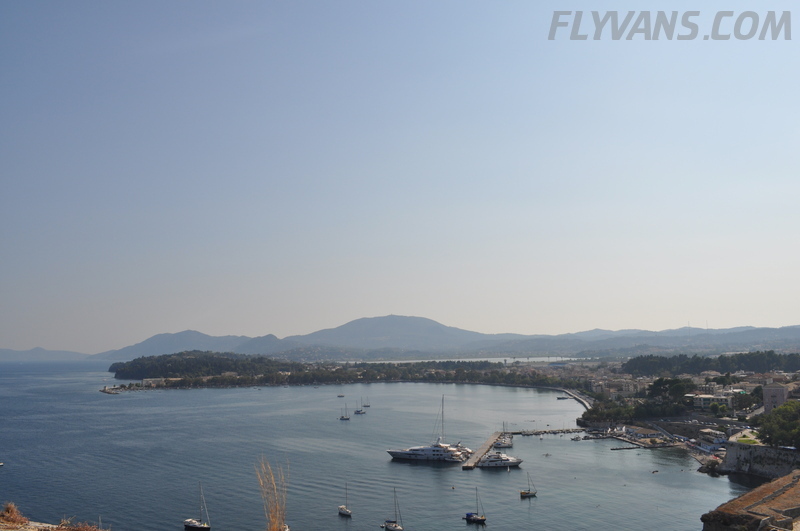 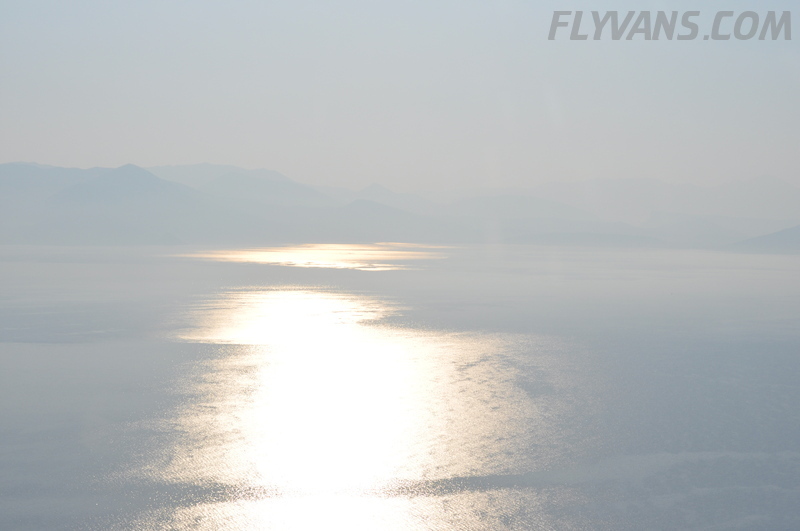 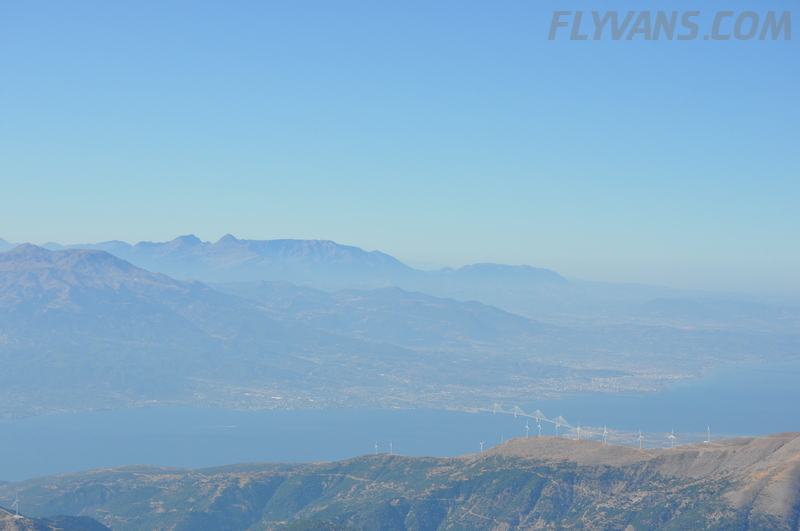 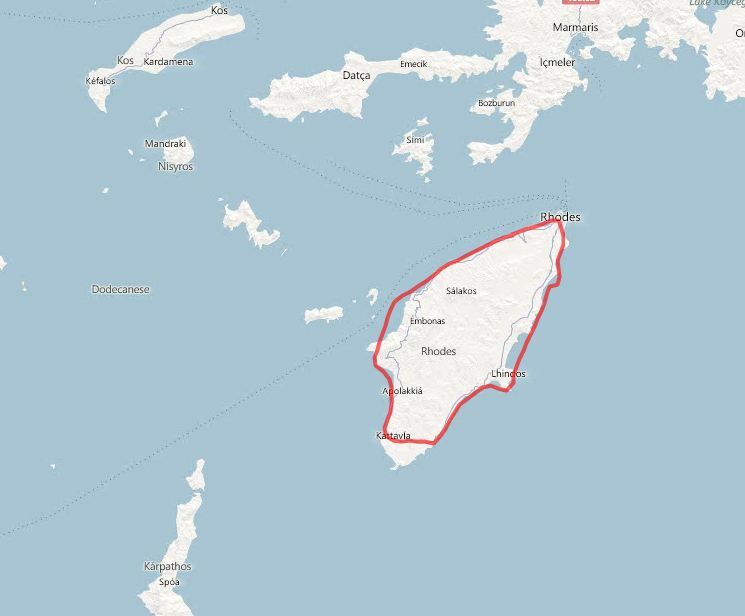 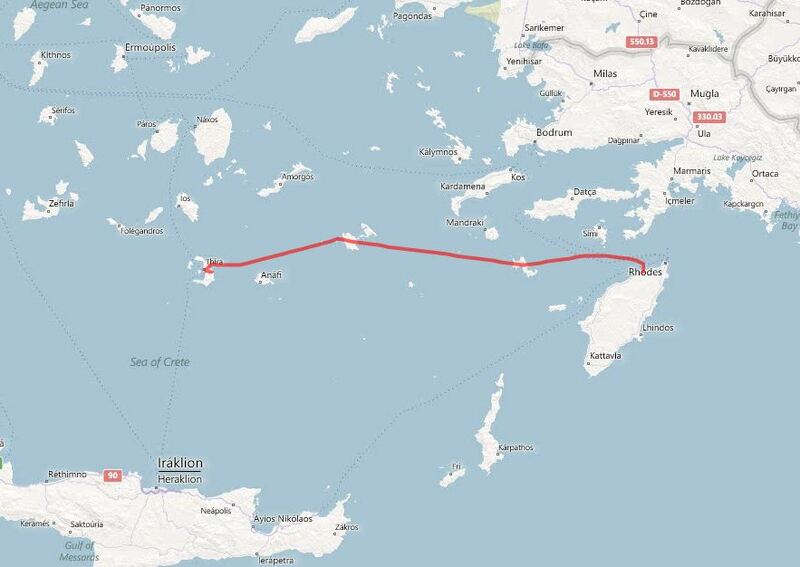 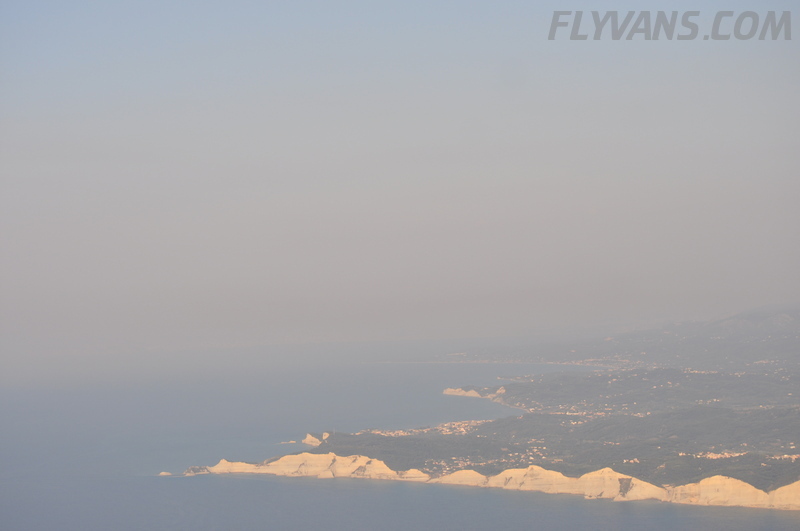 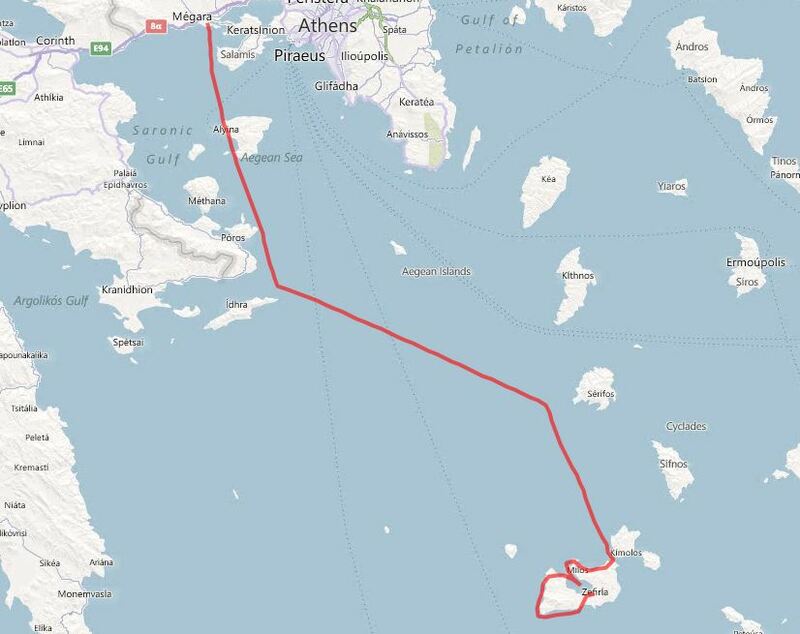 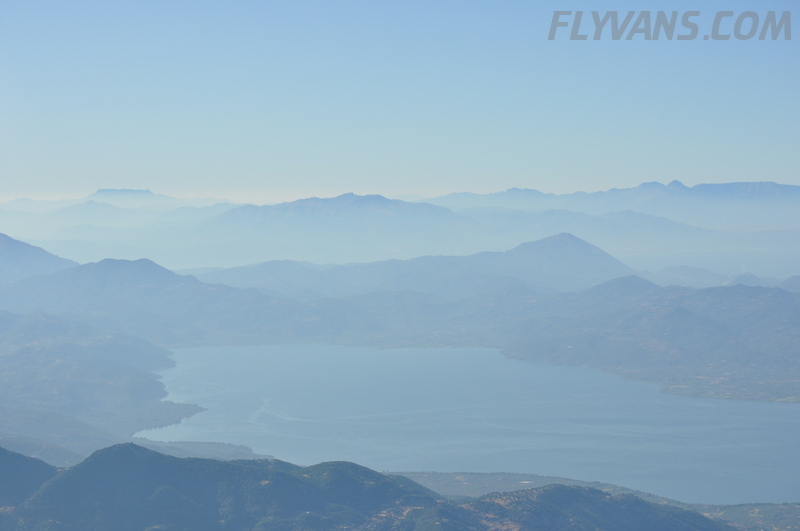 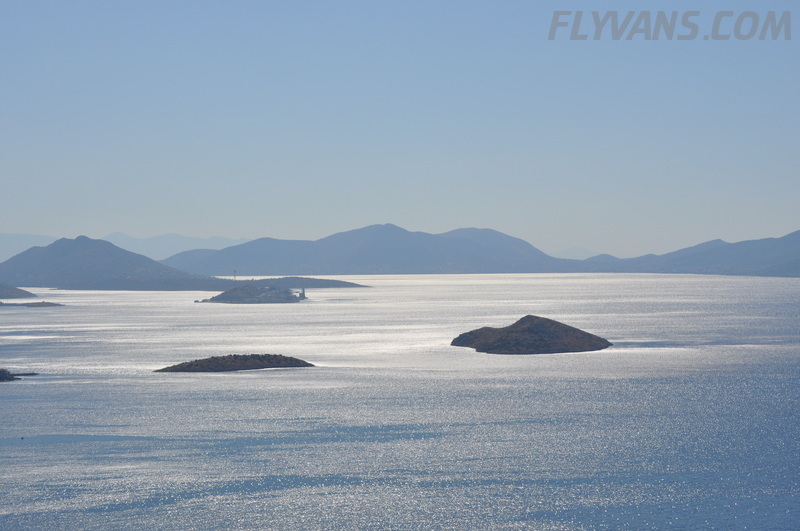 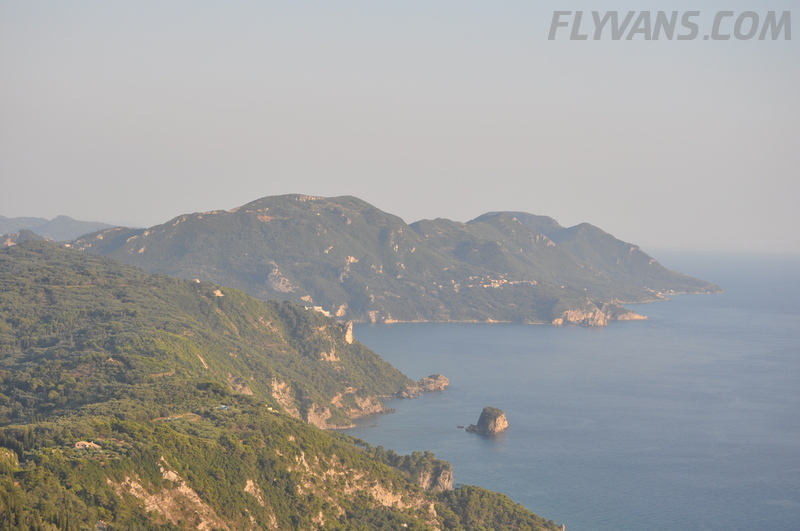 The third and final leg of the day was crossing the Adriatic sea to Kerkira, Corfu, Greece. 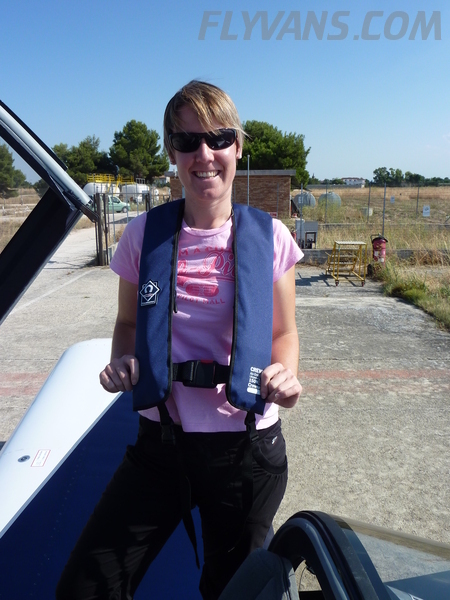 For this we mounted comfortable lifevests that we got just before the trip. 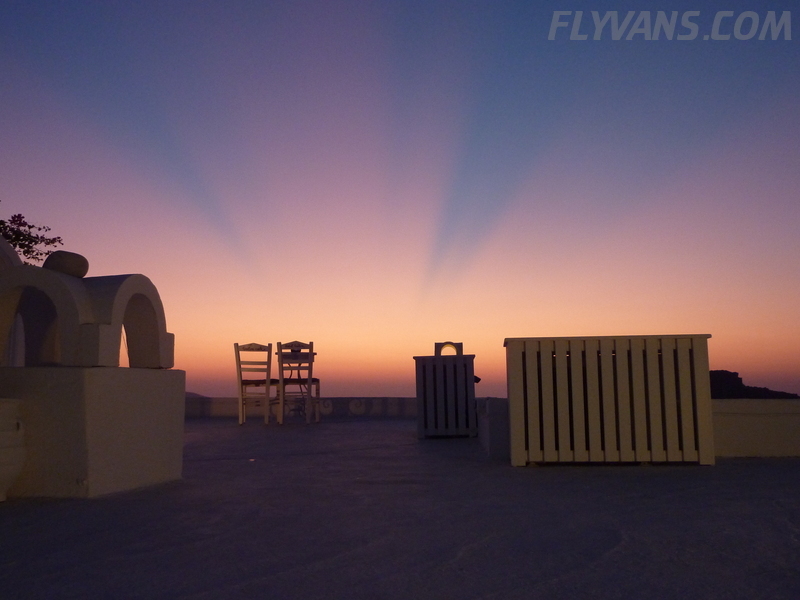 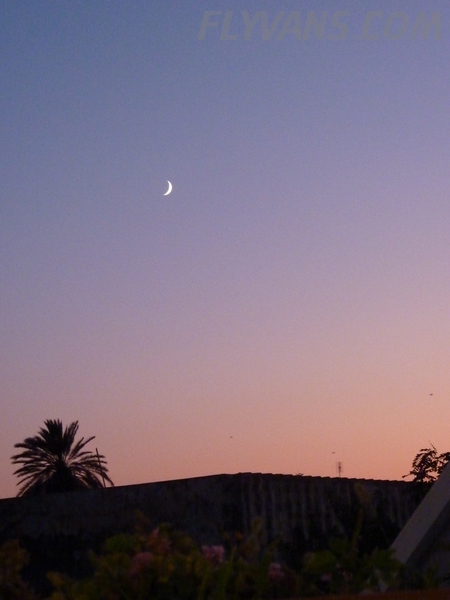 Since it was already later in the day and we “lost” one hour due to time zone offset, the sun was perfect for some nice evening pictures. 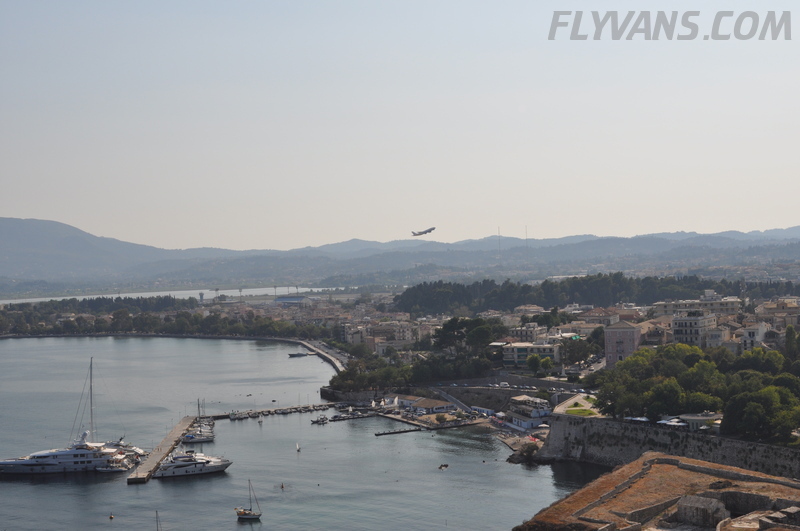 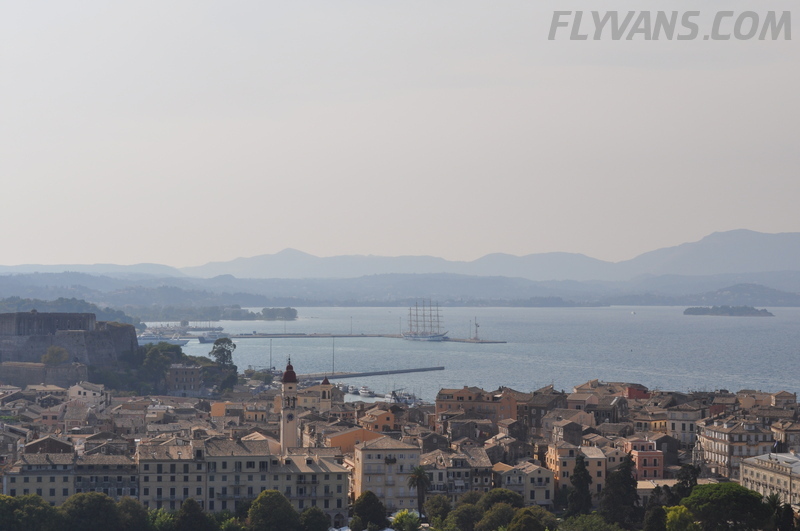 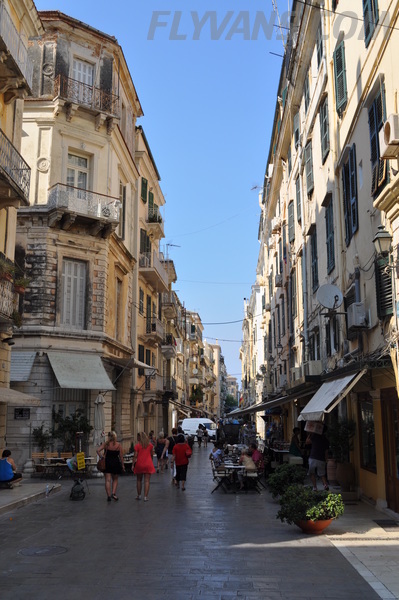 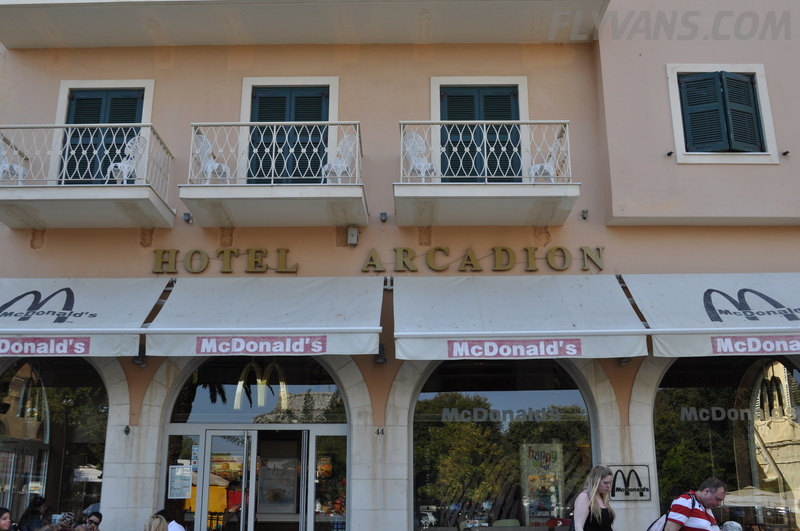 Picked a great hotel, “Arcadion”, in the center of Corfu Town, quite close to the airport and within walking distance of shops and restaurants. 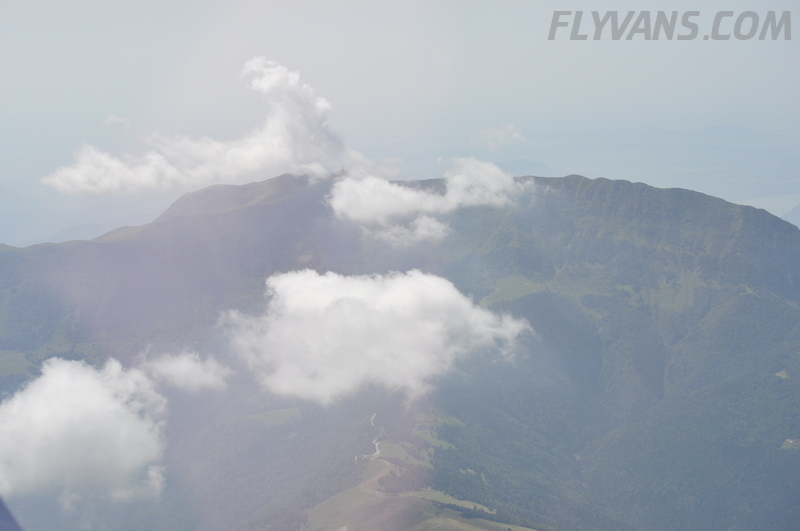 There we spent two days exploring Kerkira and taking a rest from the 5+ hours of flying on the first day. 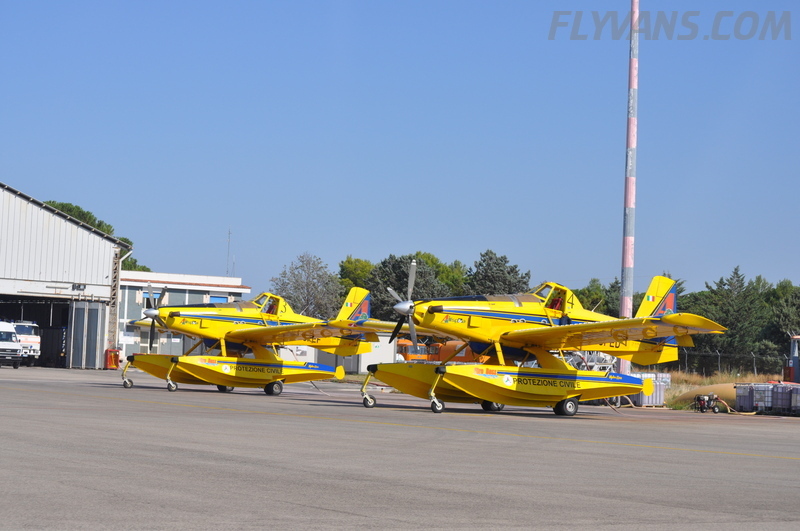 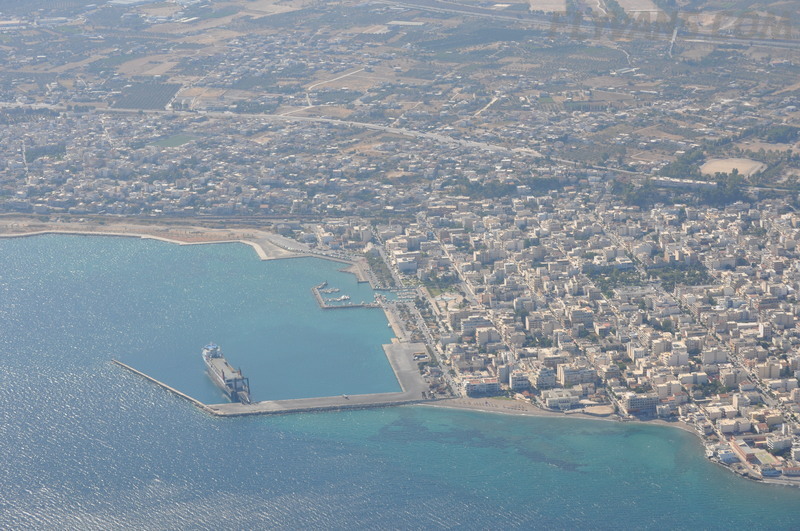 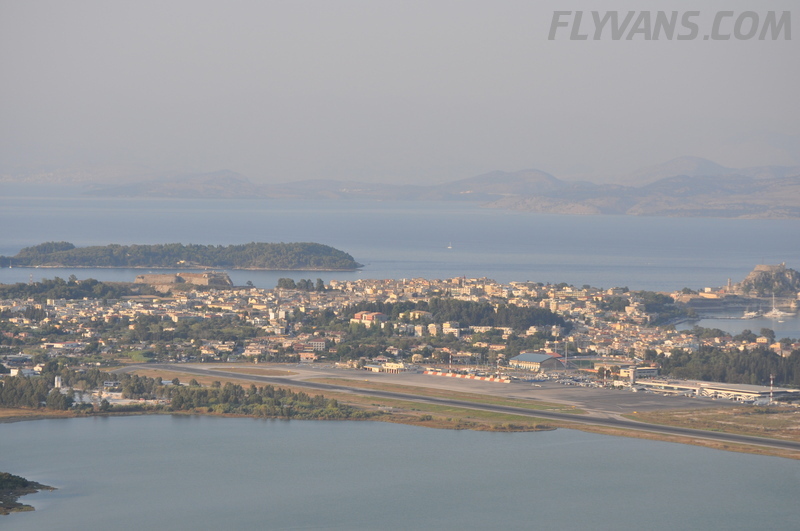 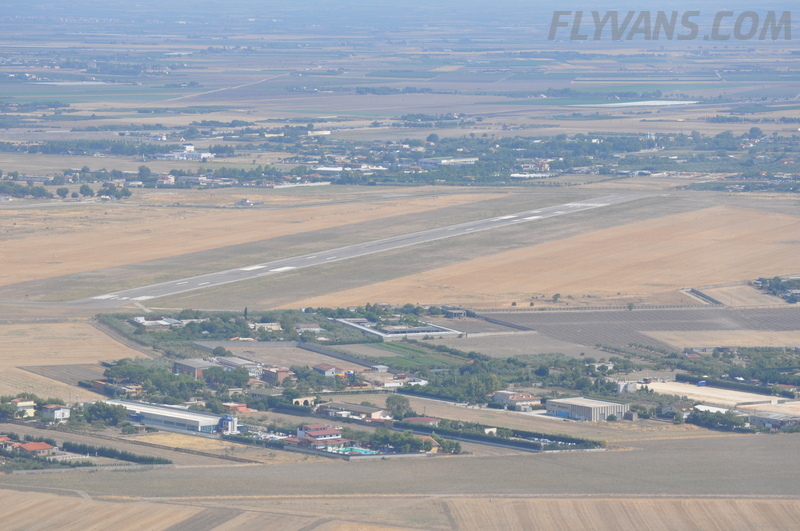 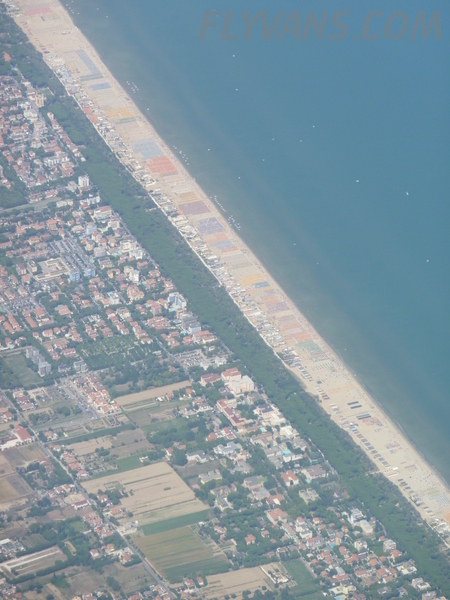 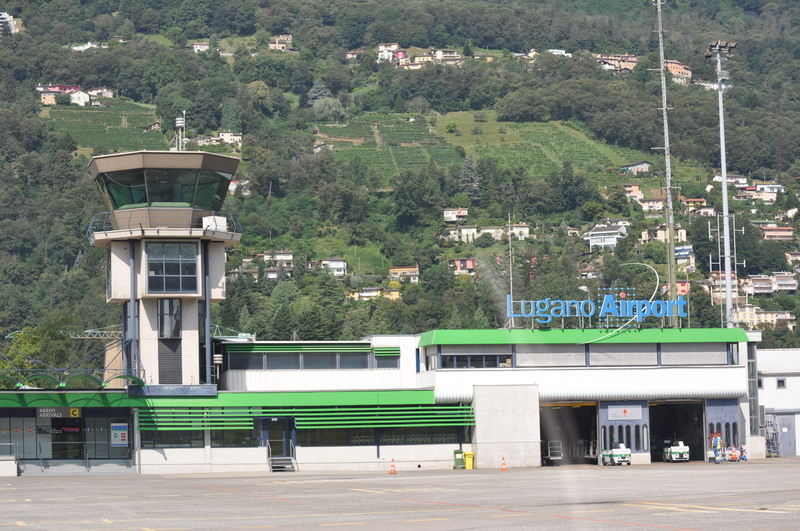 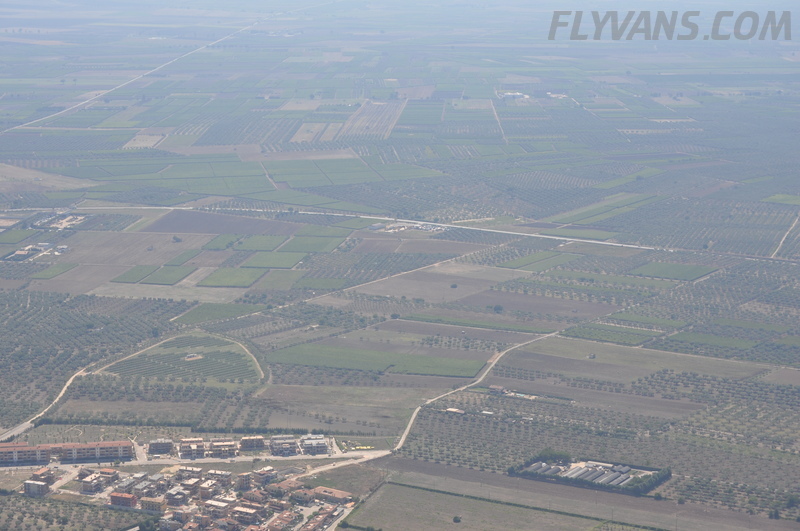 Foggia was selected as fuel stop for its location and reputation. 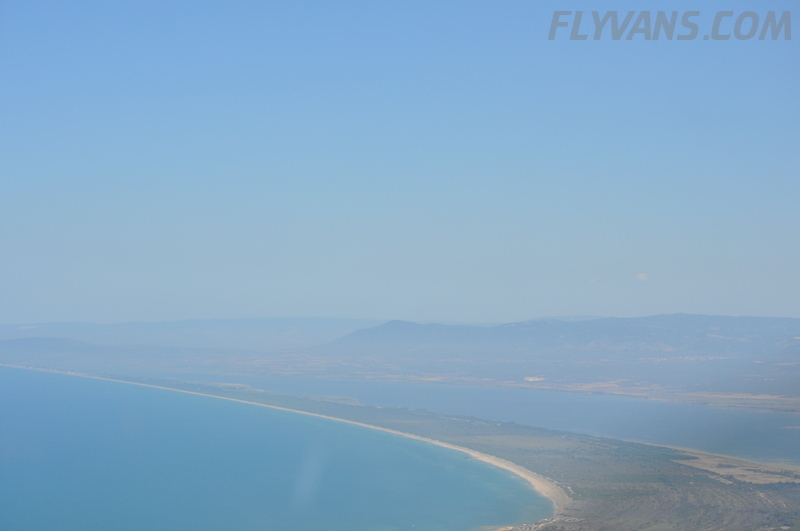 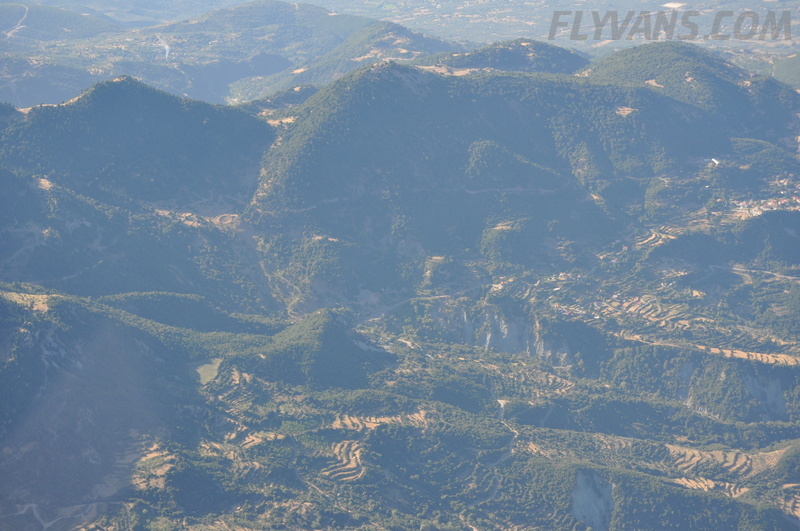 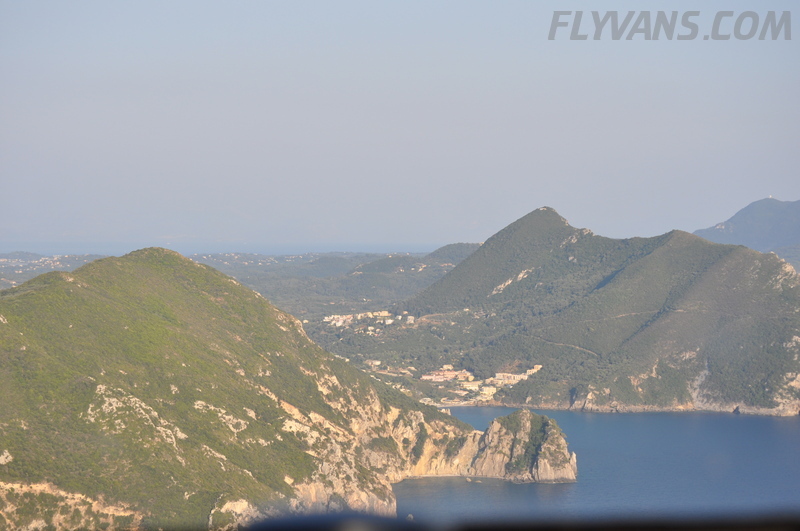 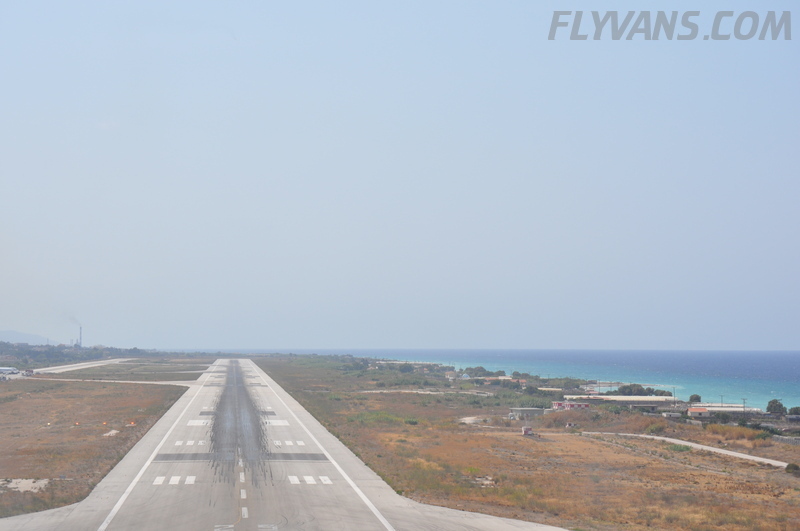 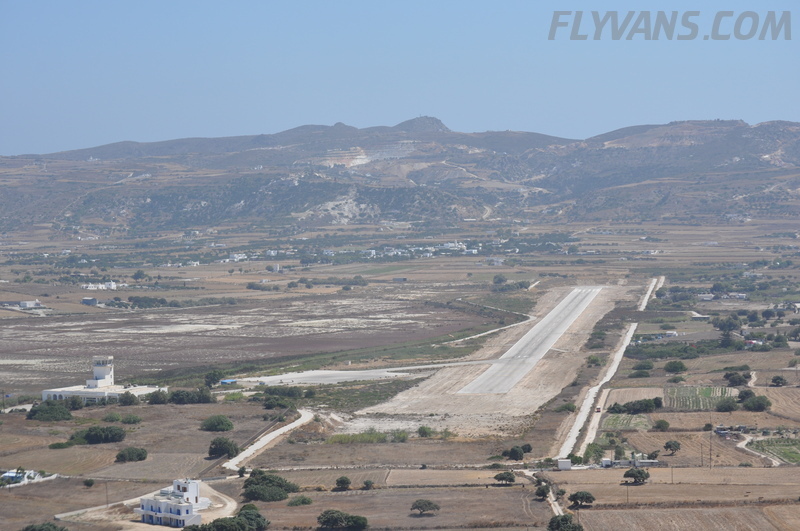 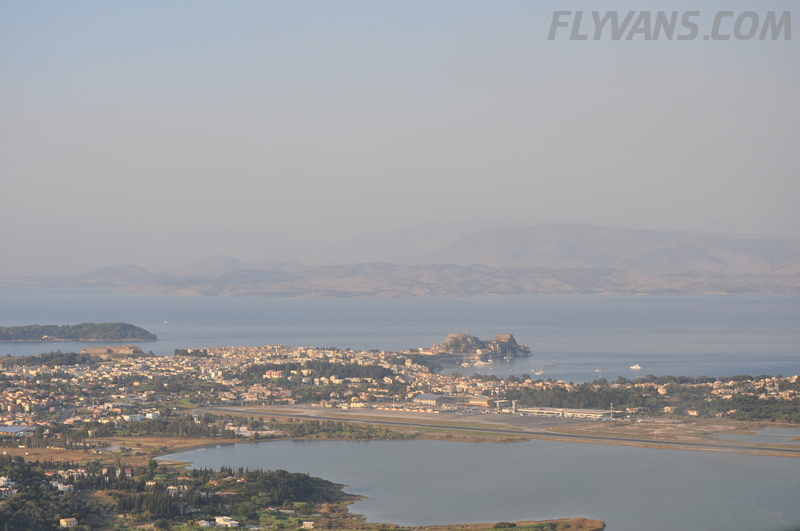 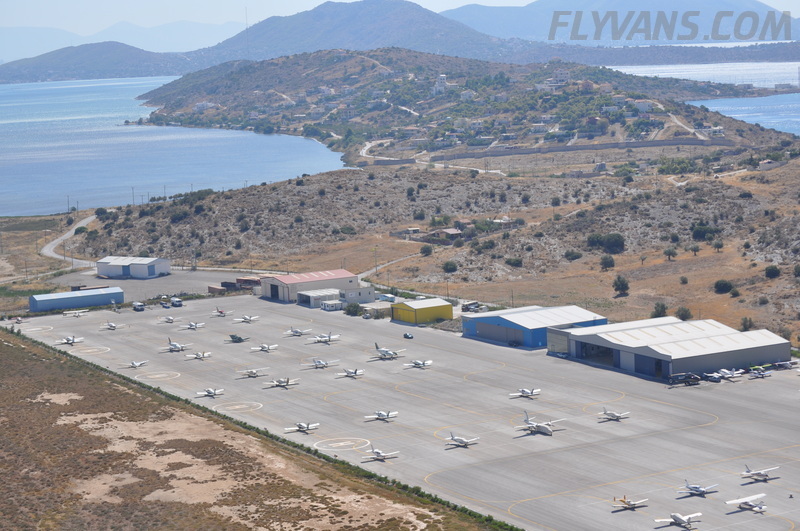 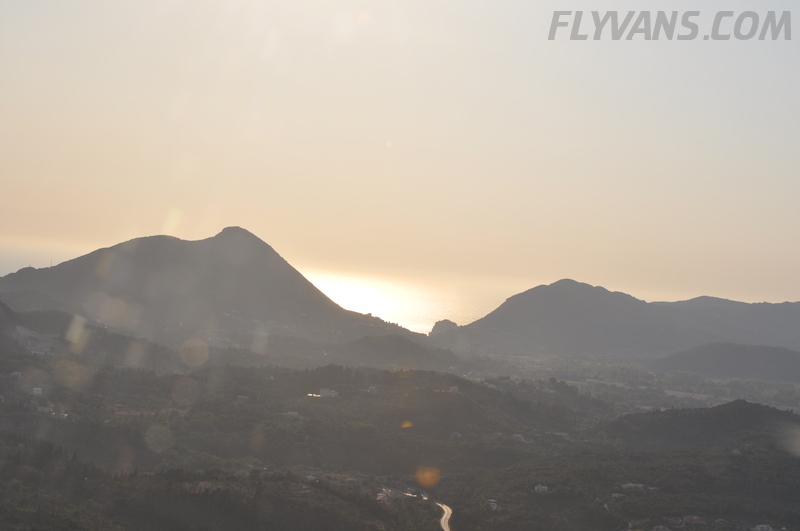 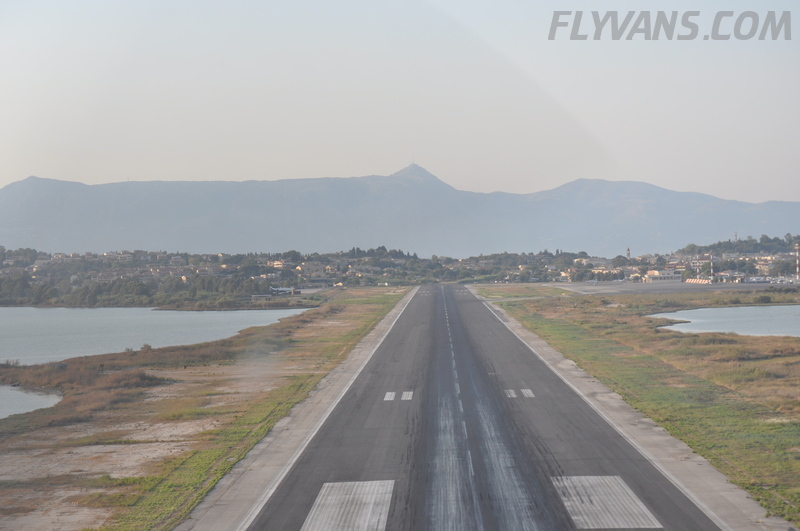 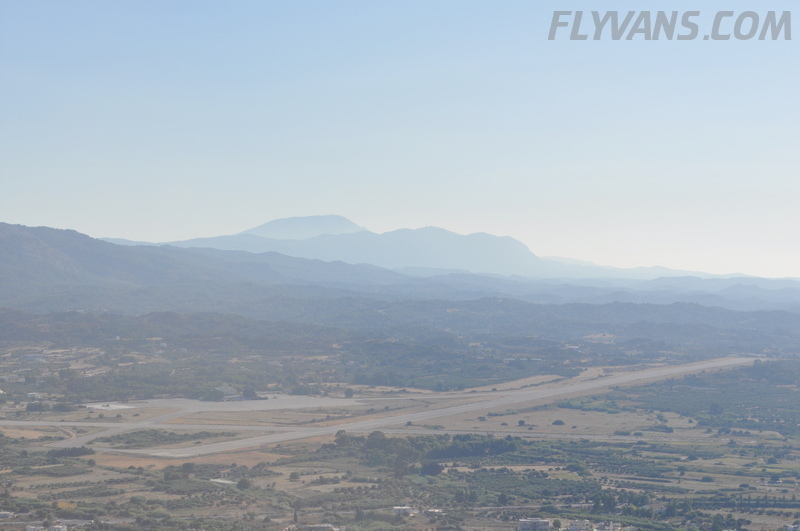 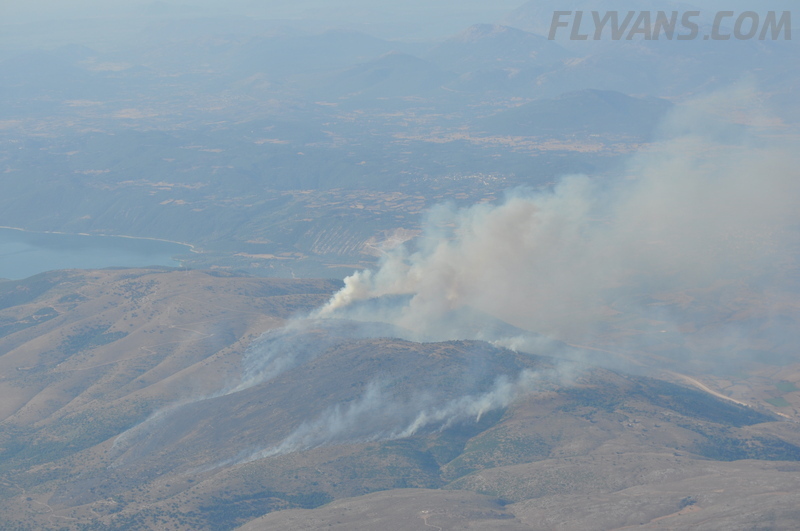 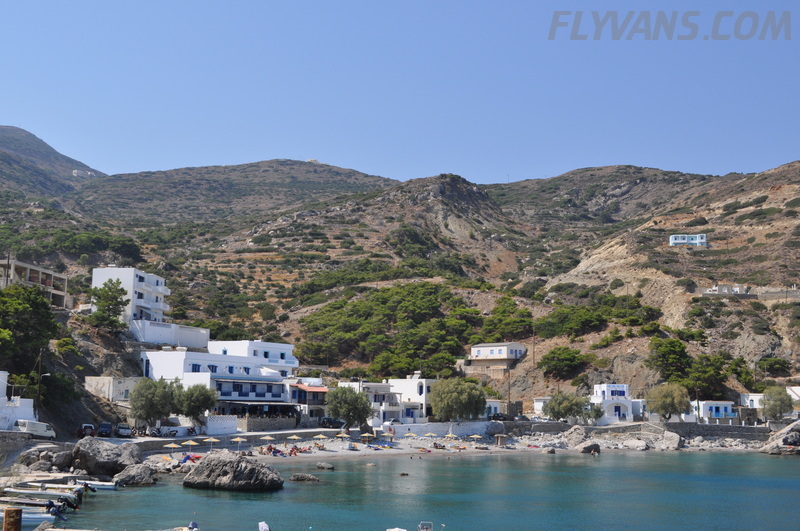 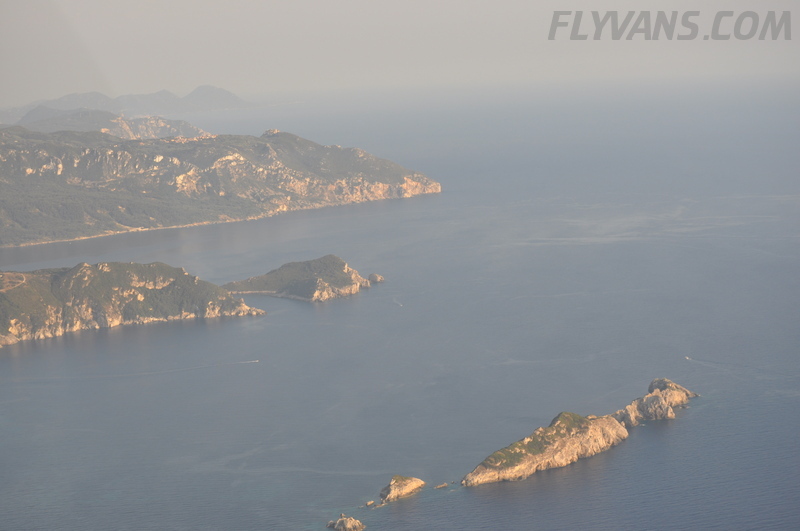 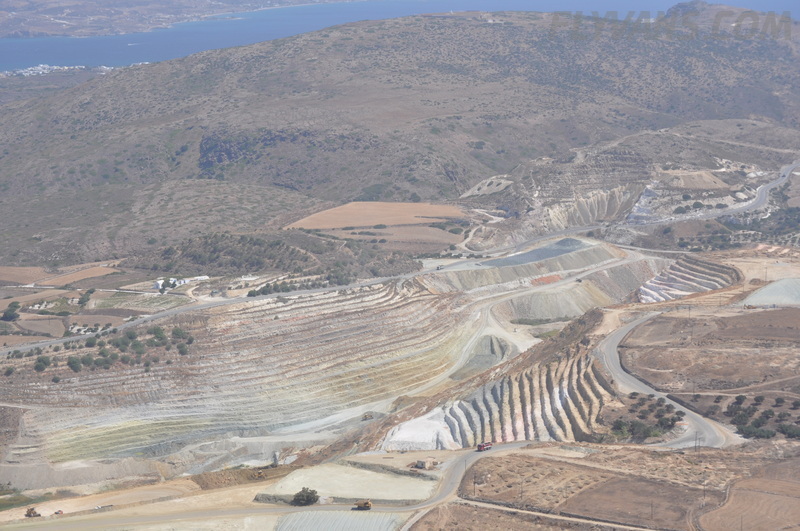 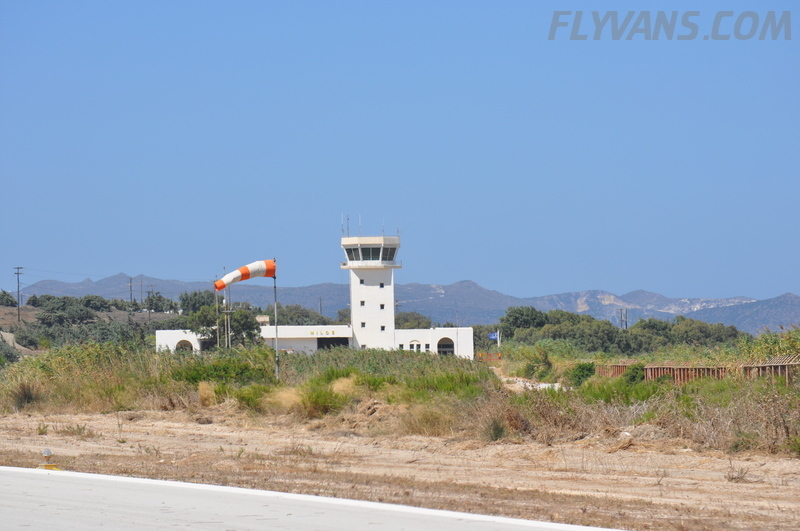 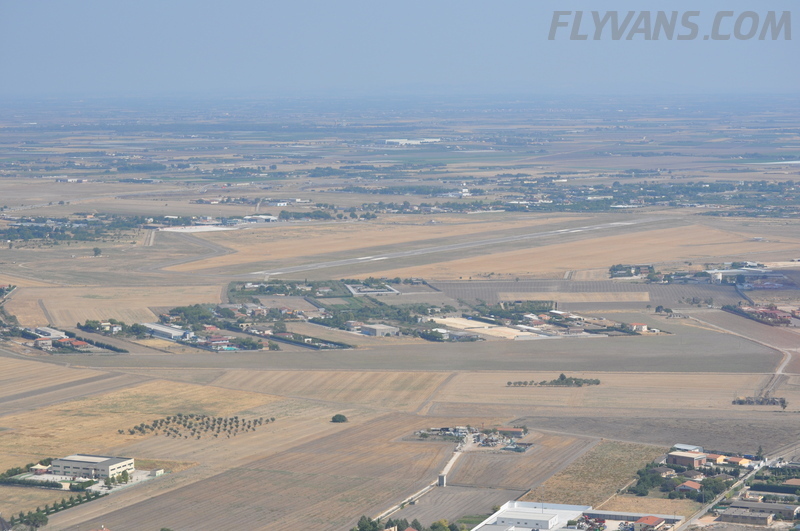 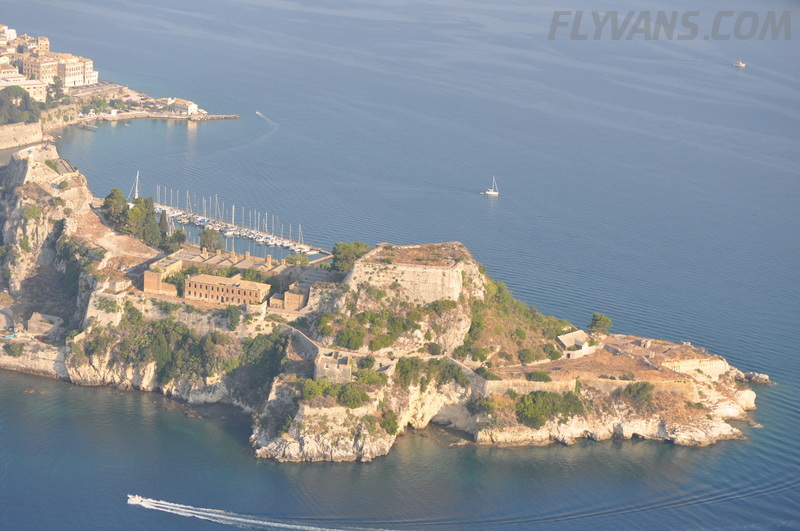 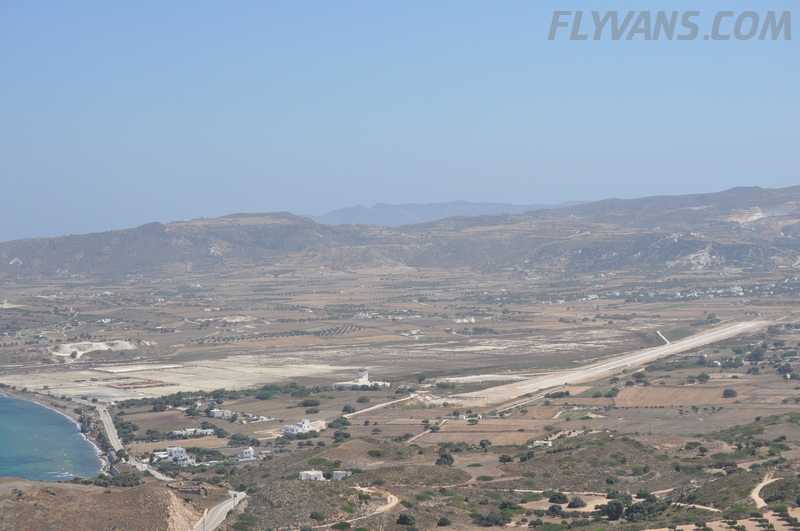 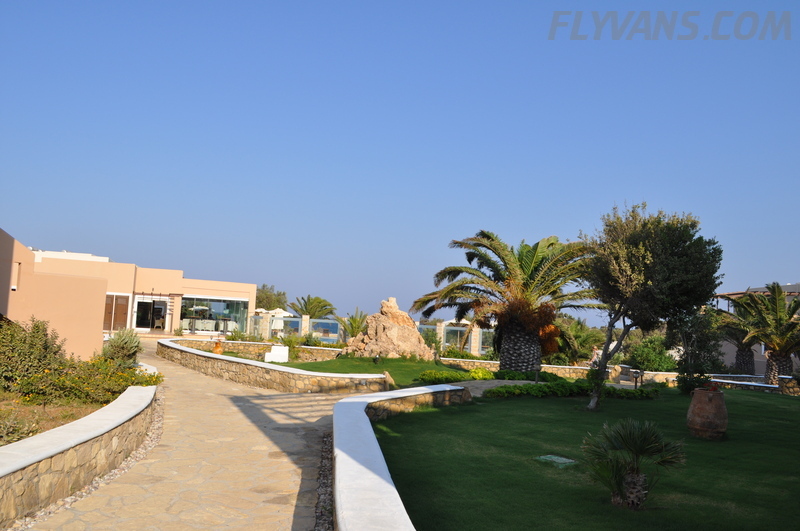 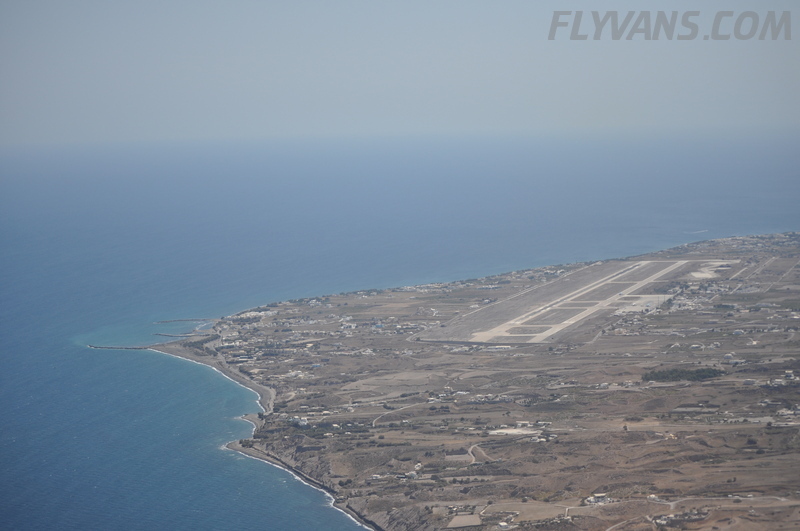 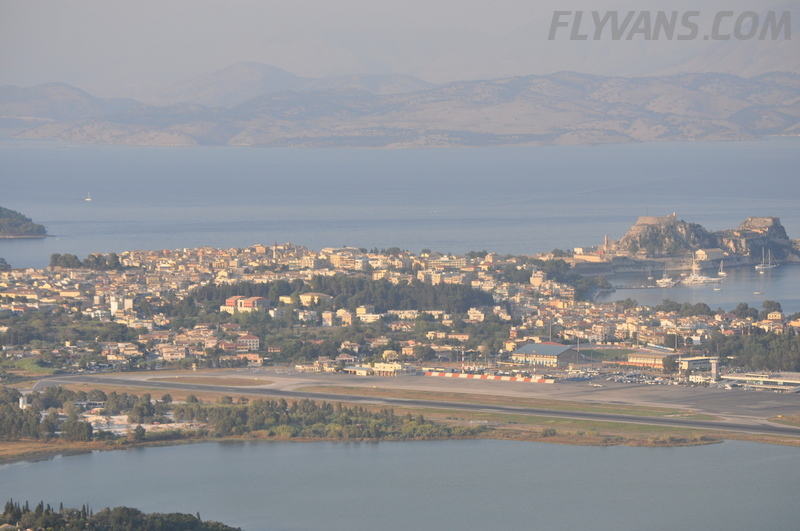 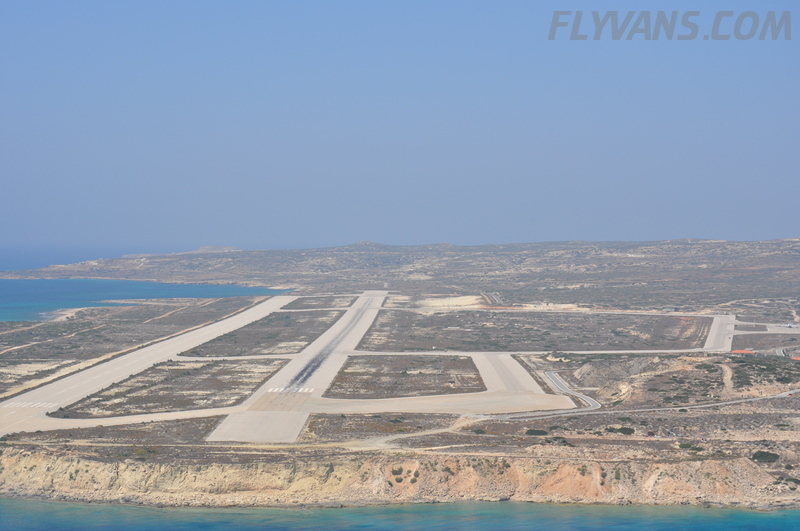 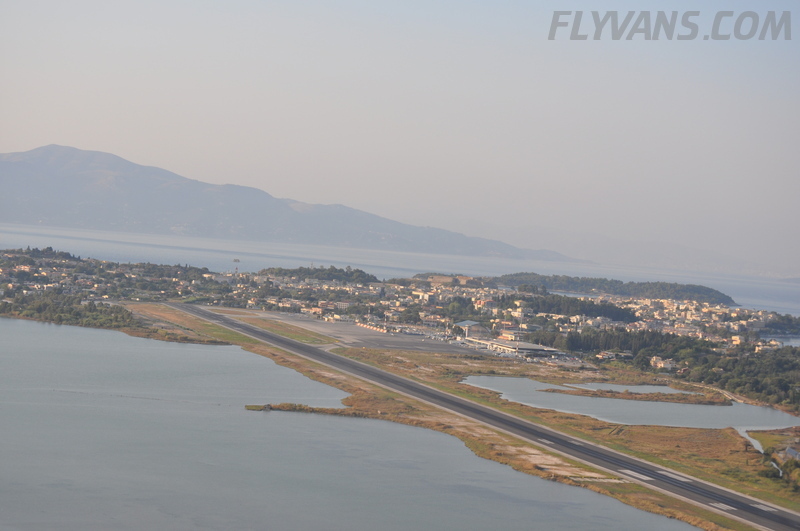 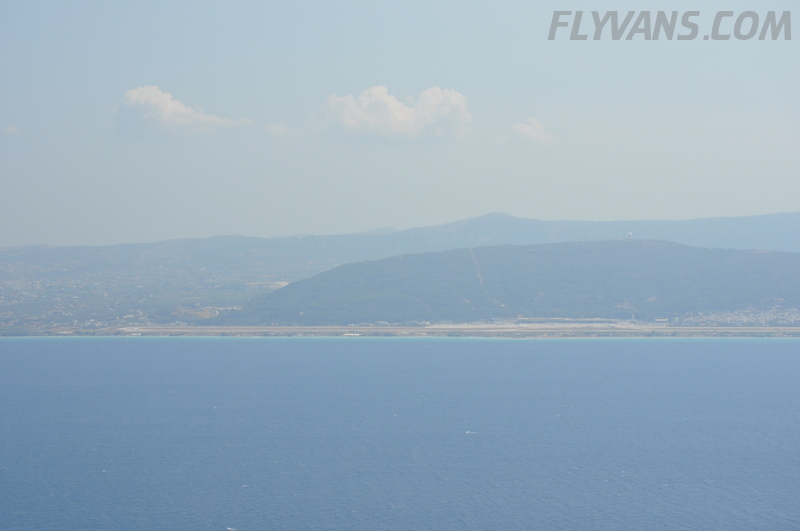 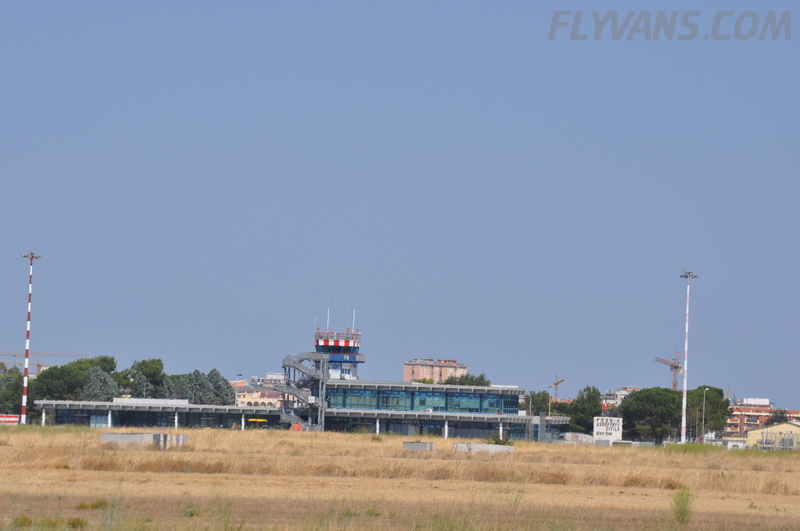 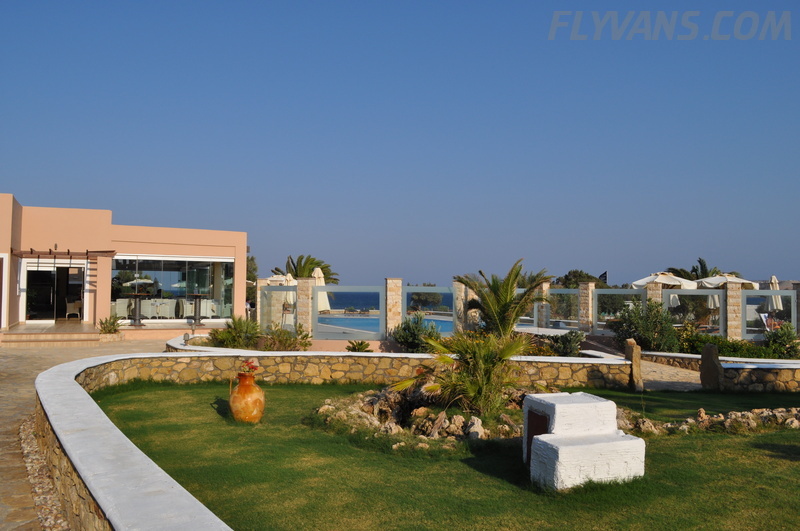 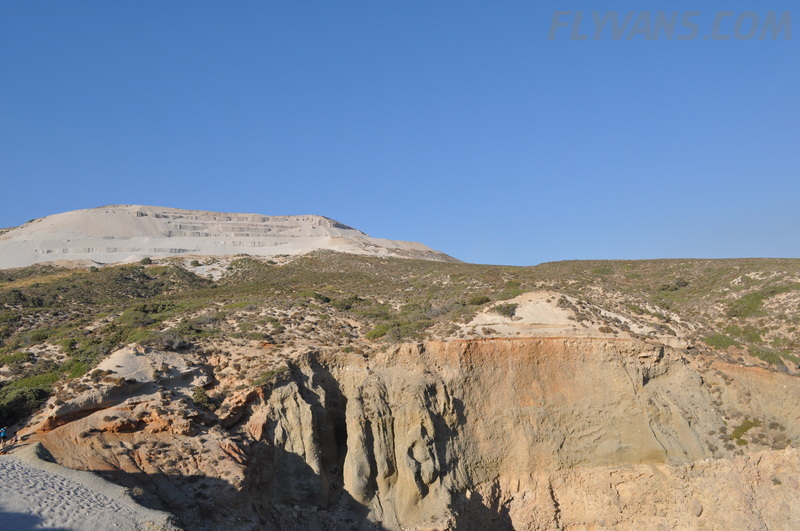 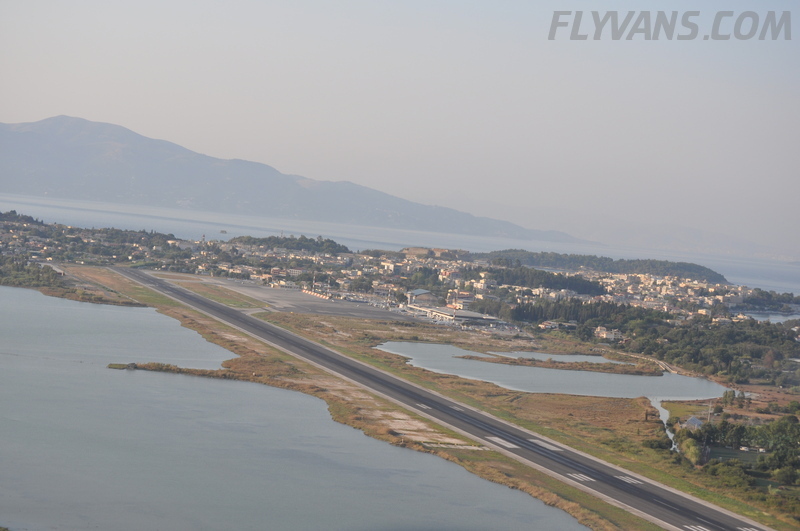 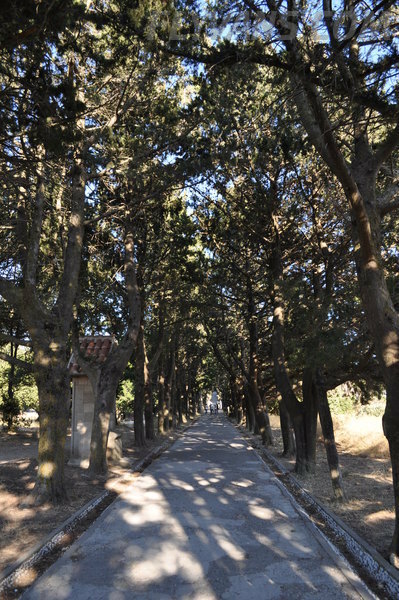 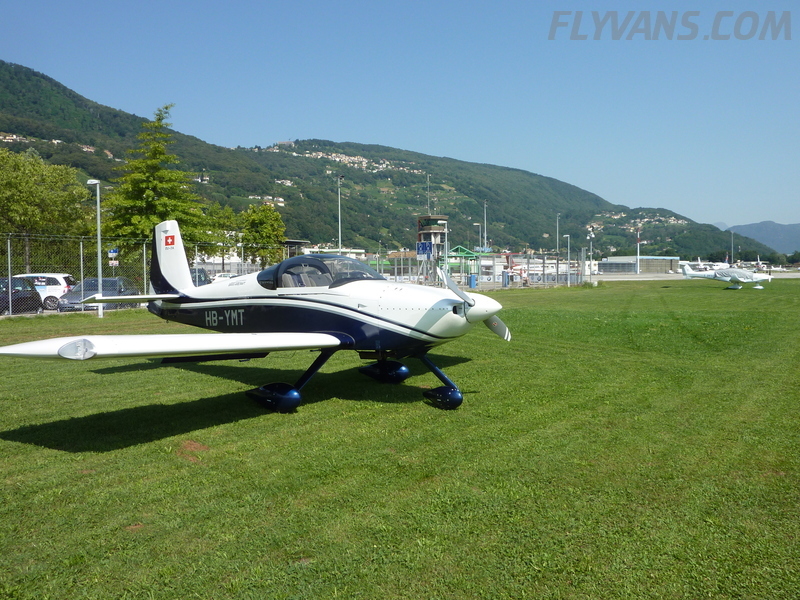 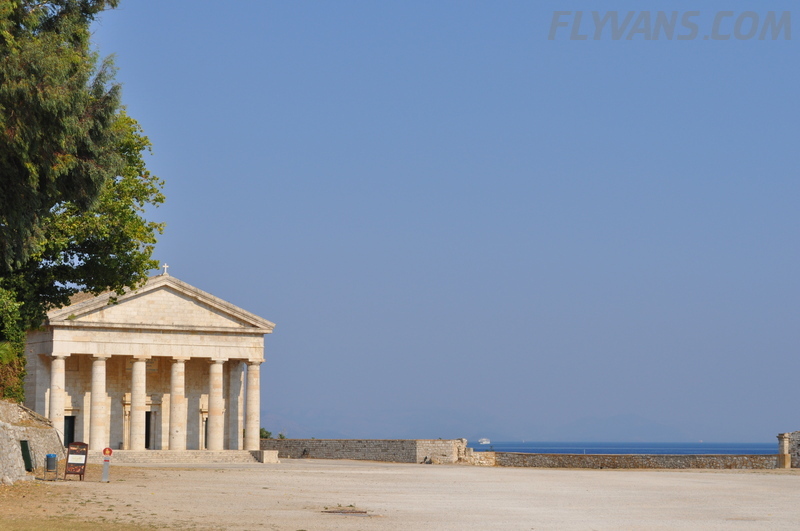 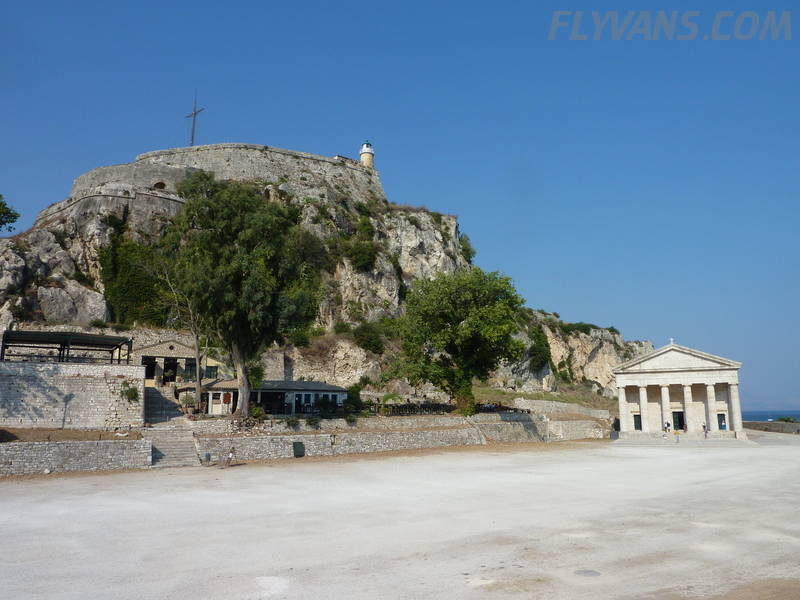 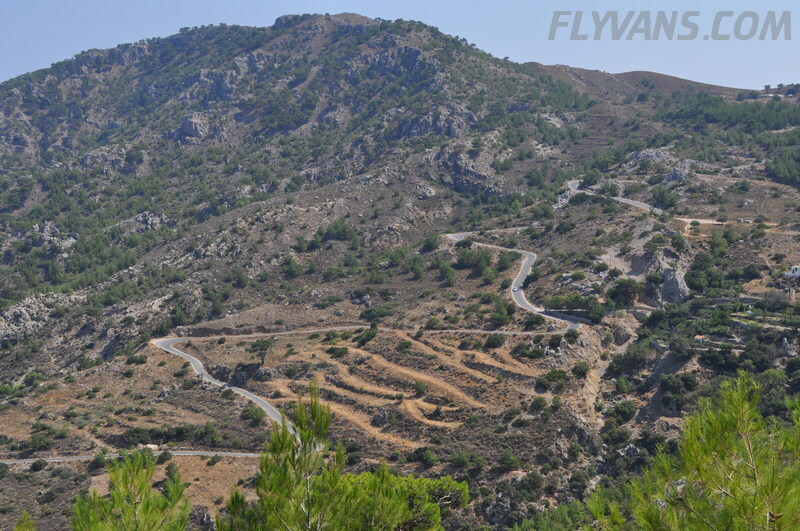 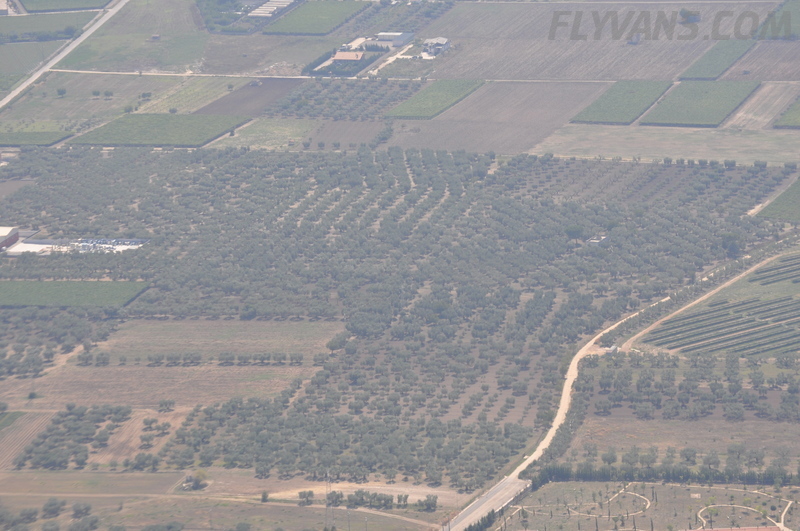 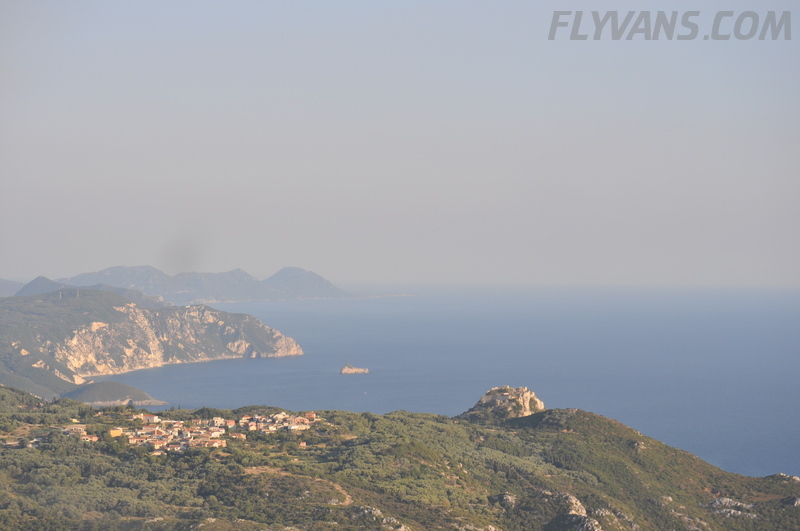 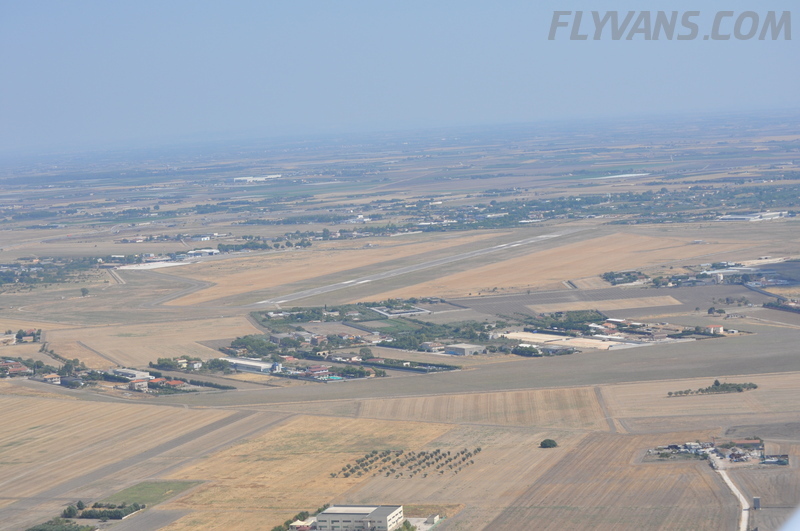 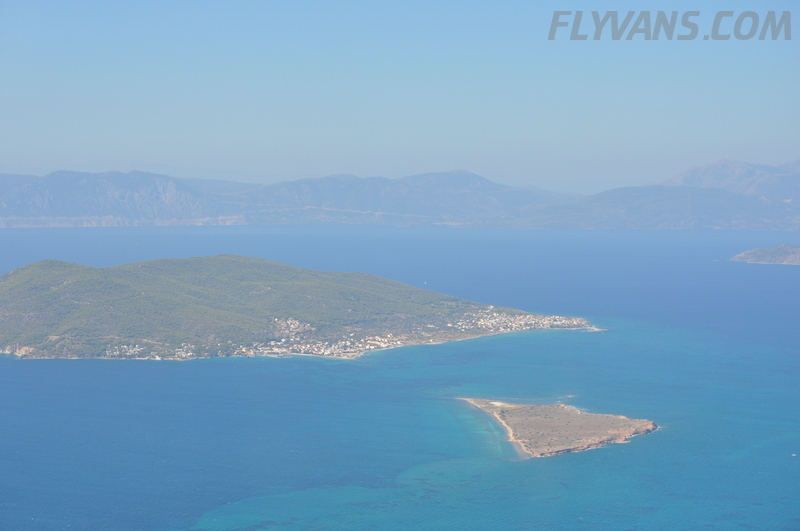 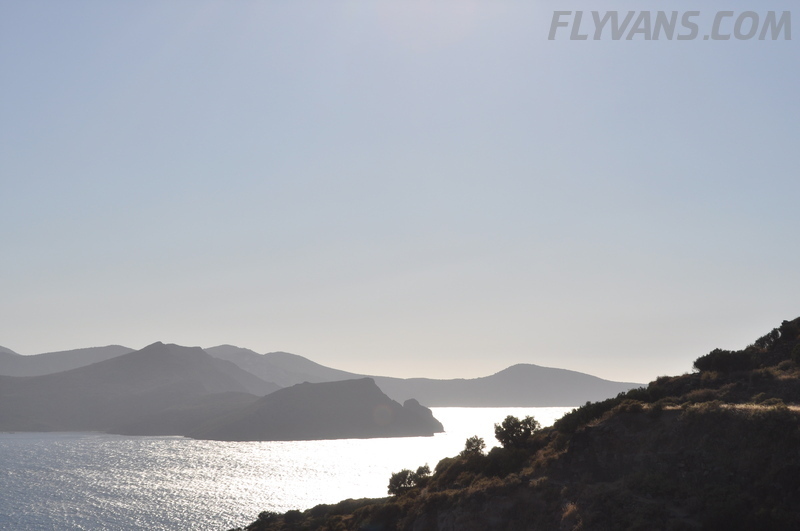 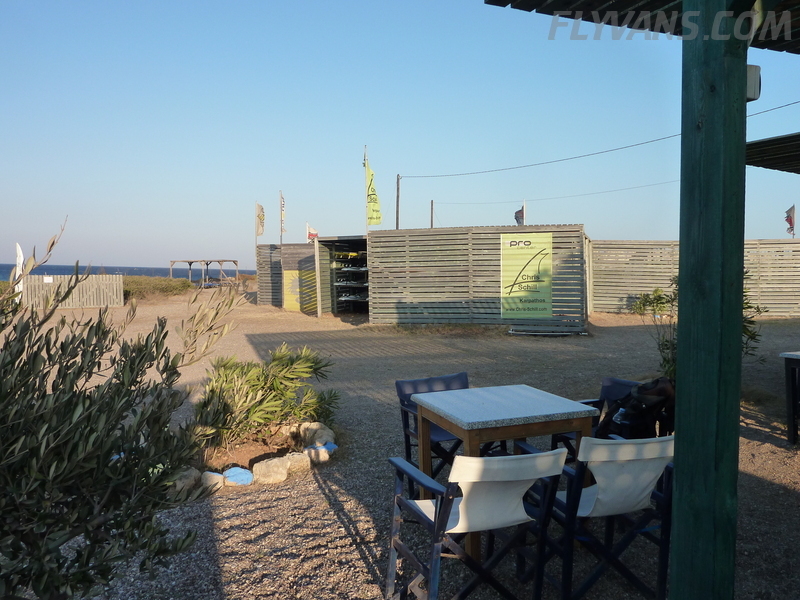 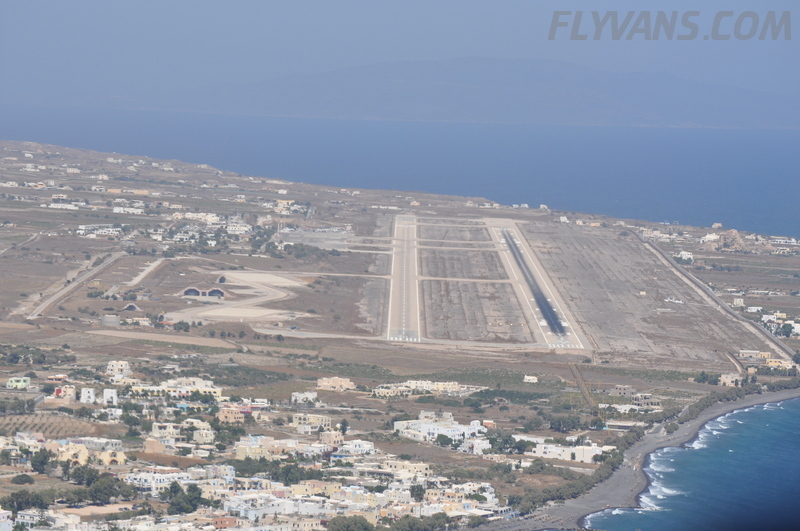 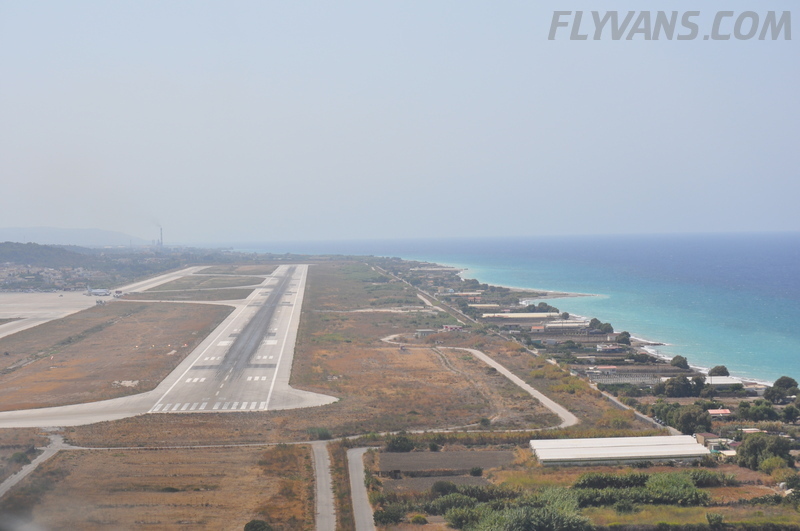 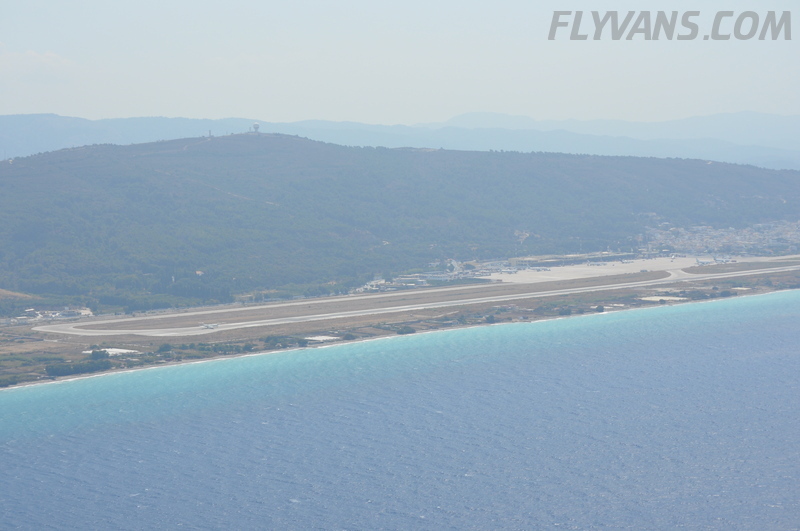 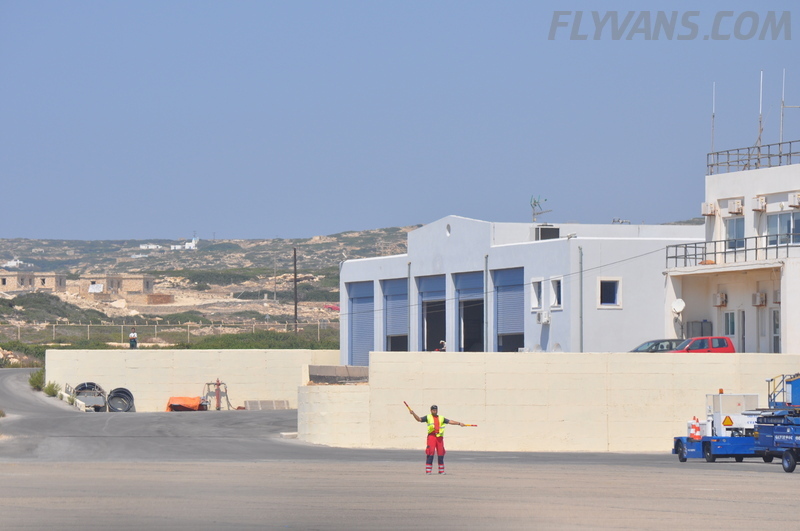 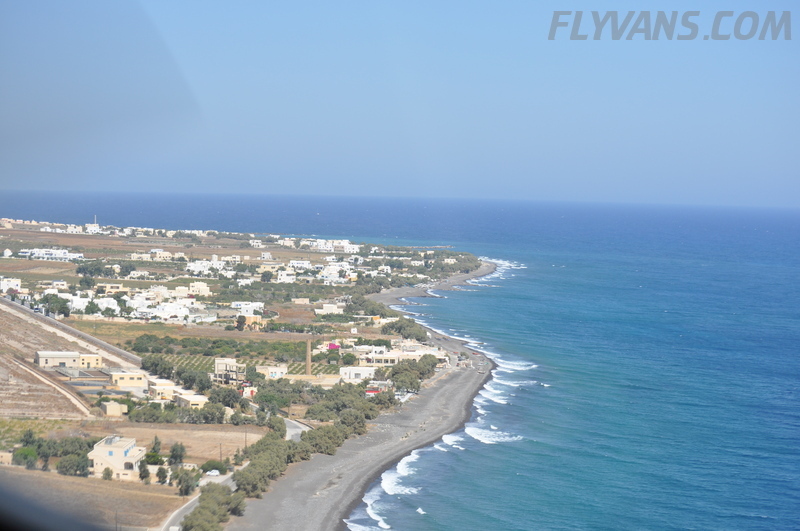 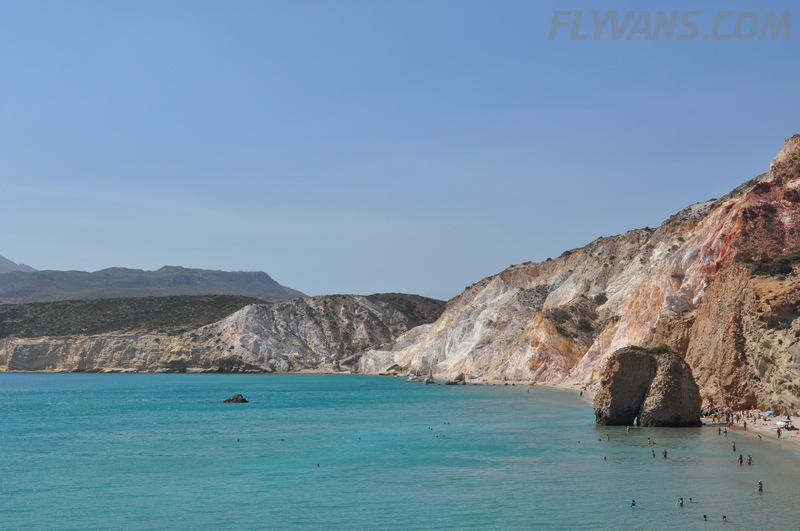 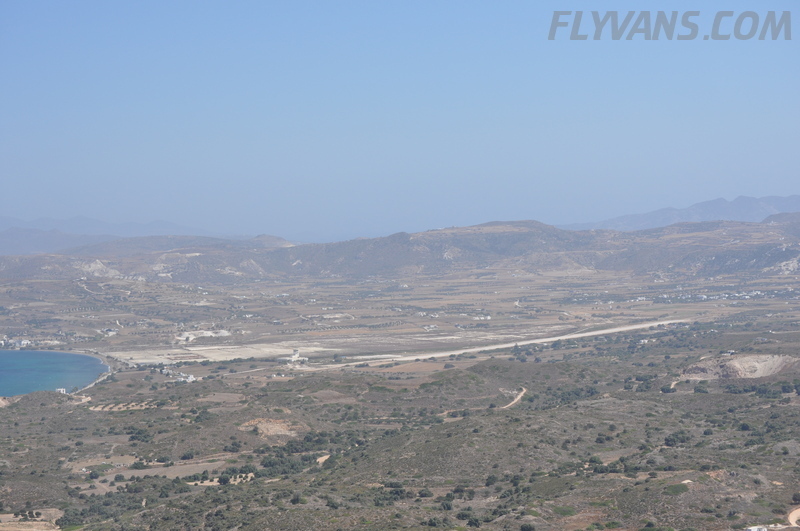 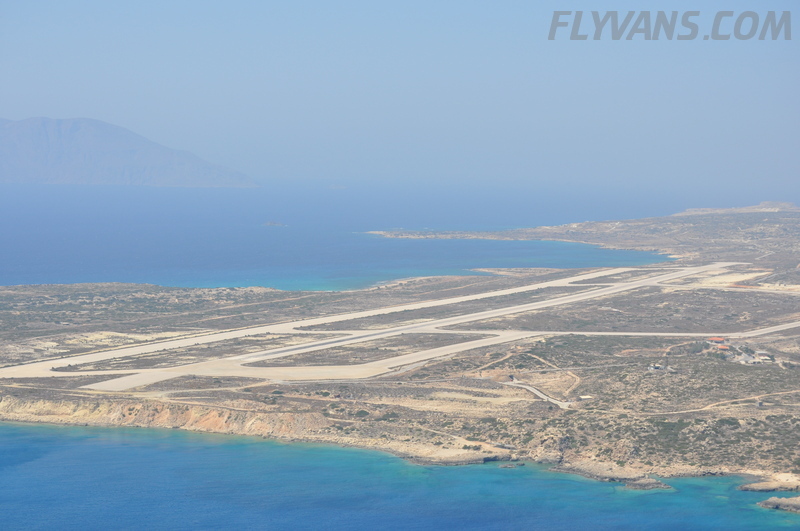 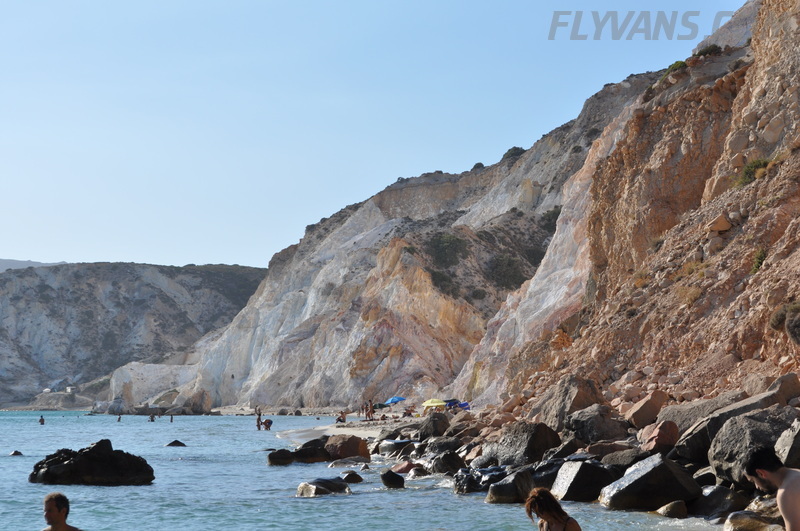 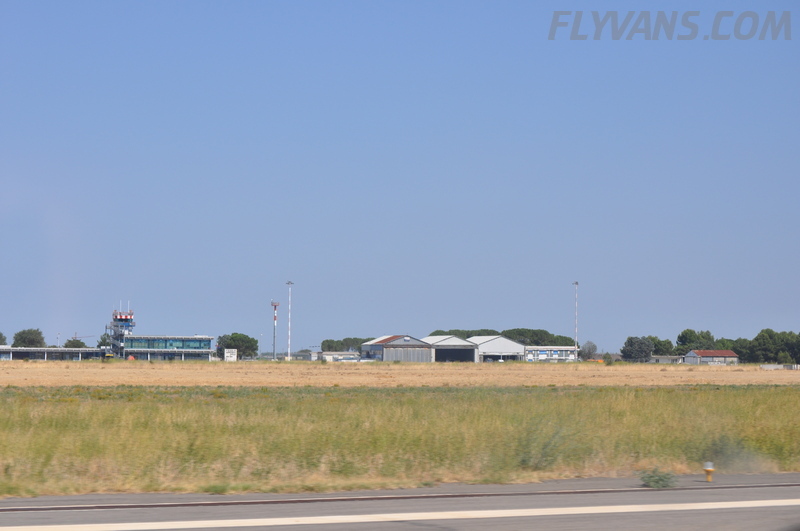 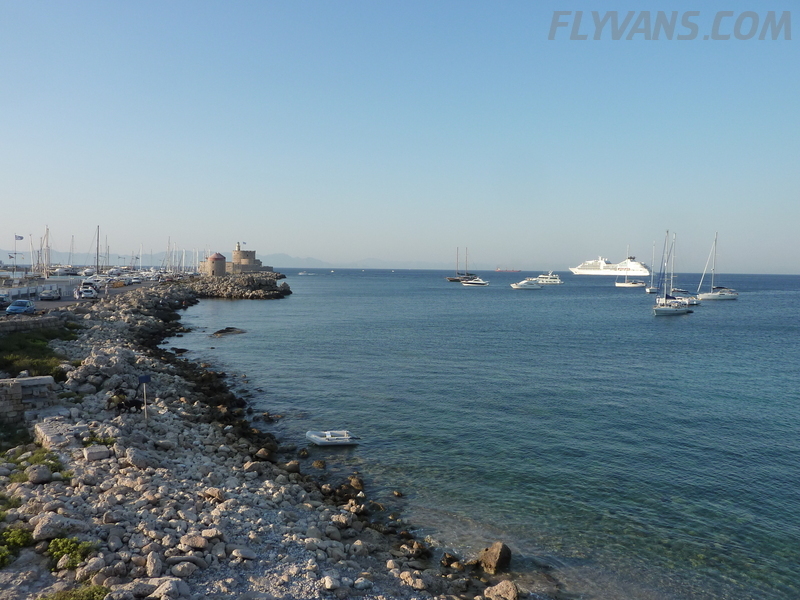 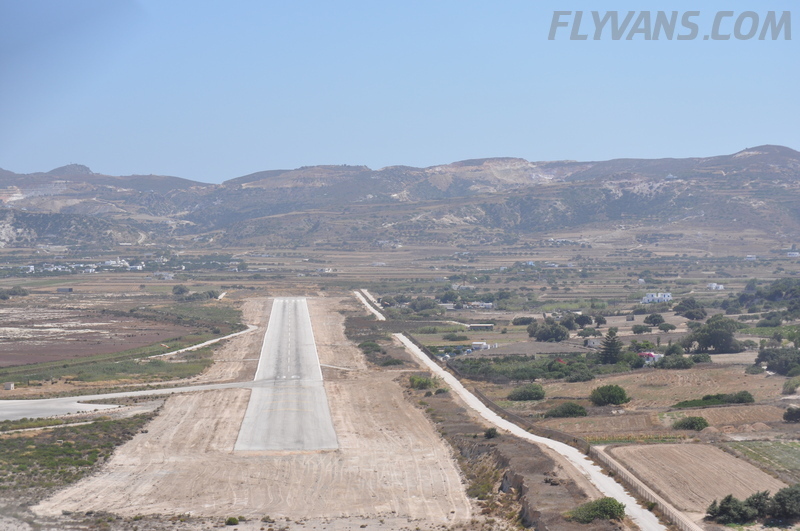 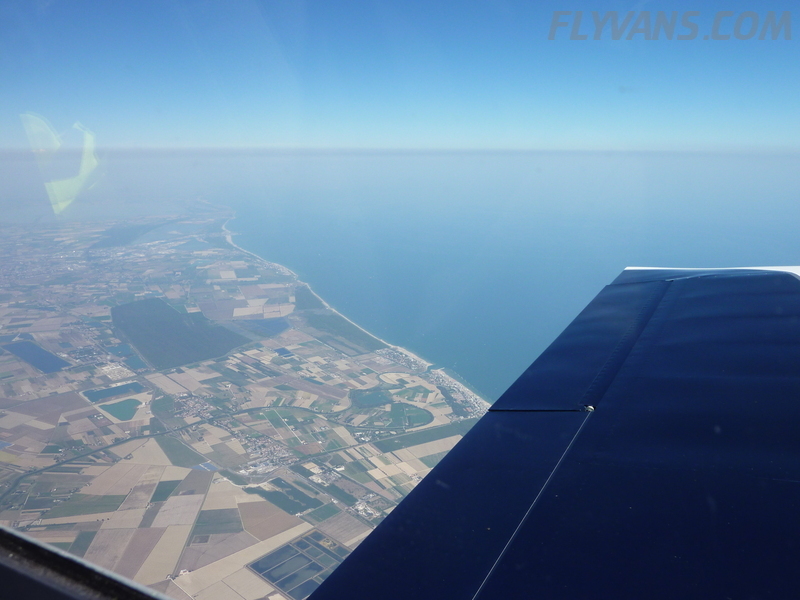 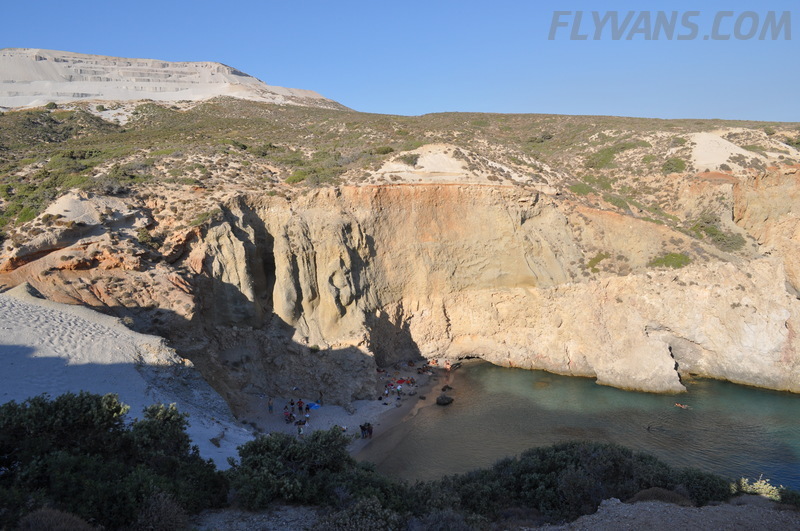 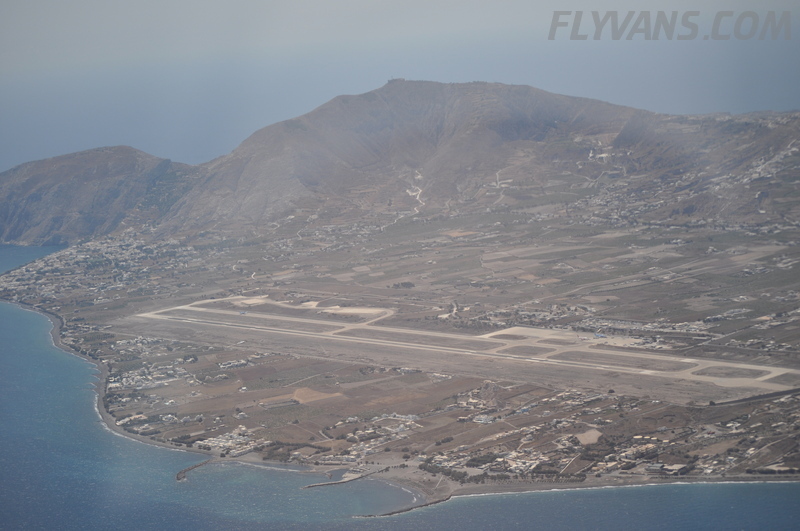 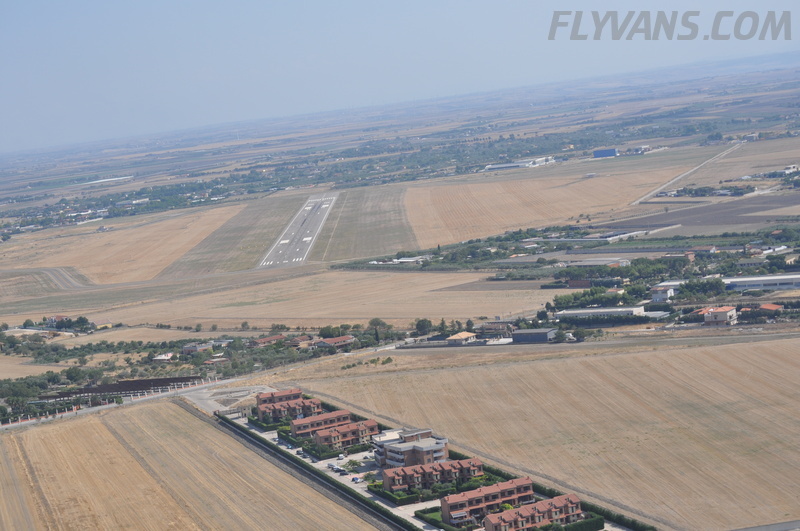 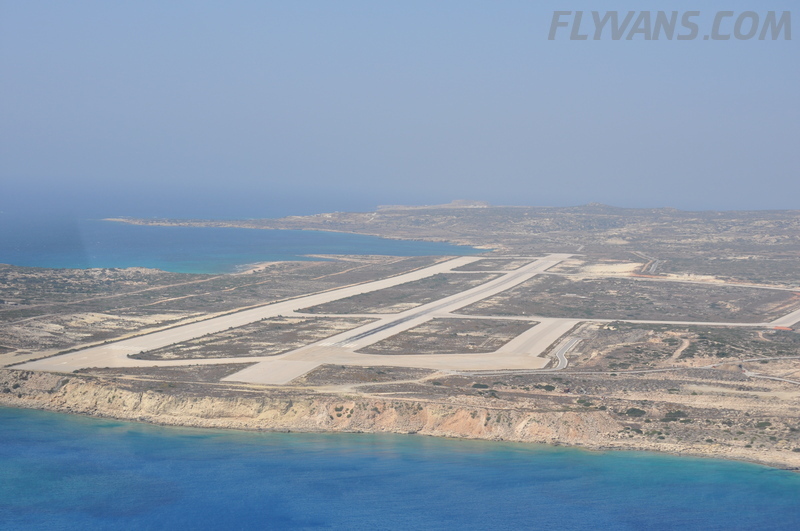 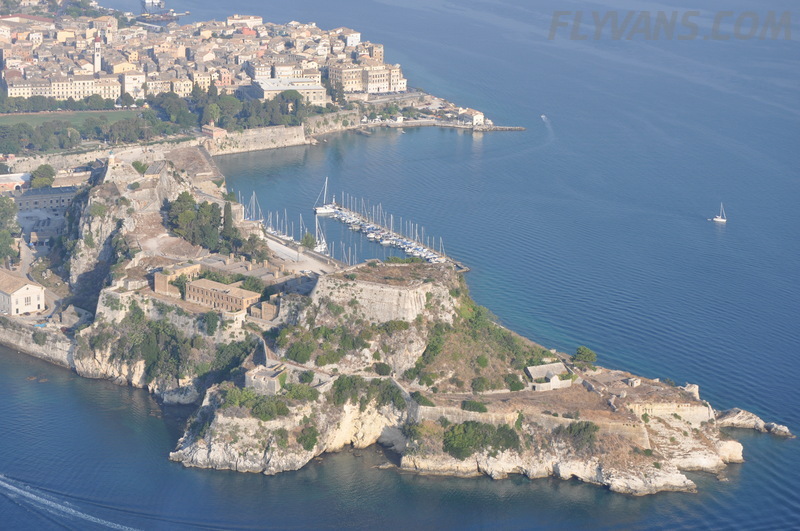 There are very few airfields in southern Italy which have Avgas, offer customs and are close enough to the final destination of the day, Kerkira. 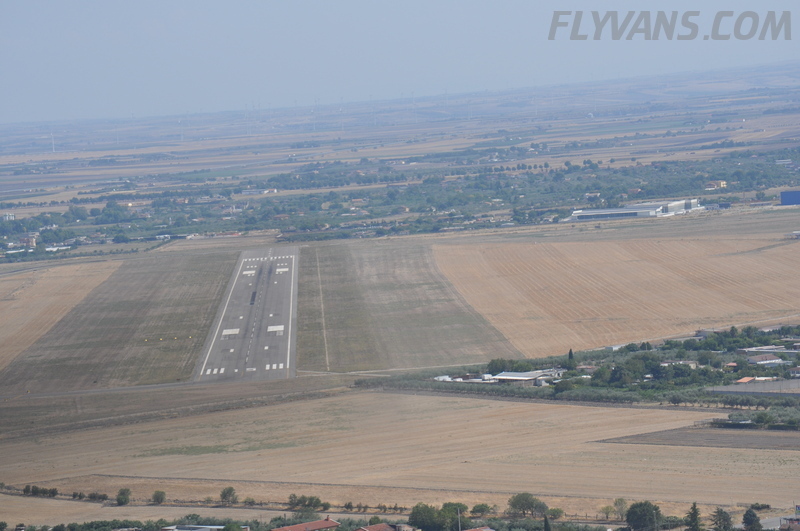 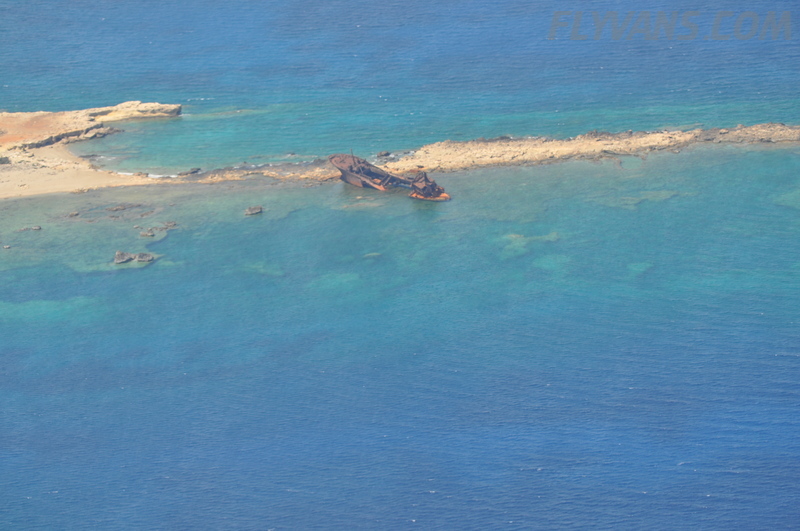 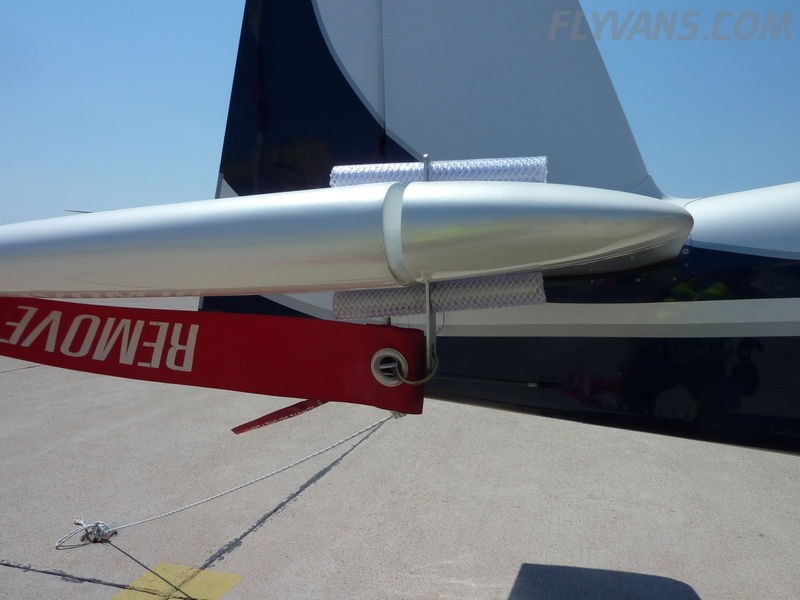 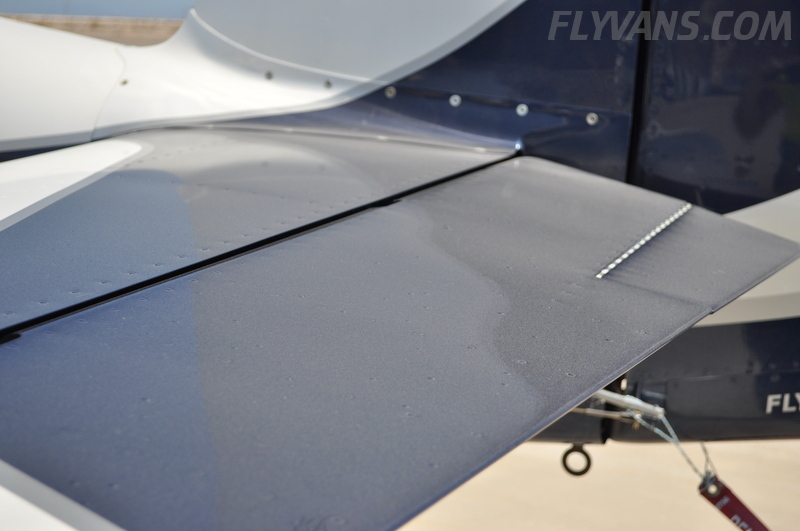 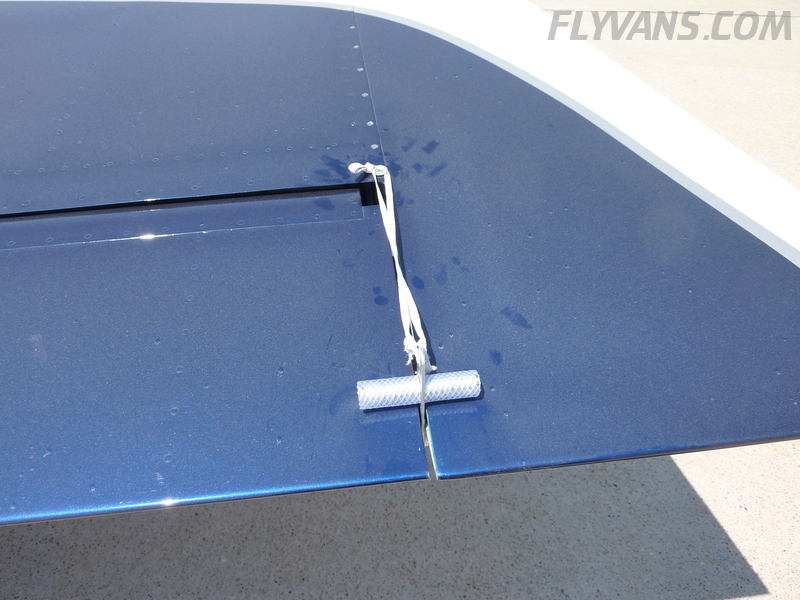 The lack of proper (fuel available) alternates for Kerkira, practically require the fuel stop to be close enough to allow for a return to the departure airfield even when over the final destination. 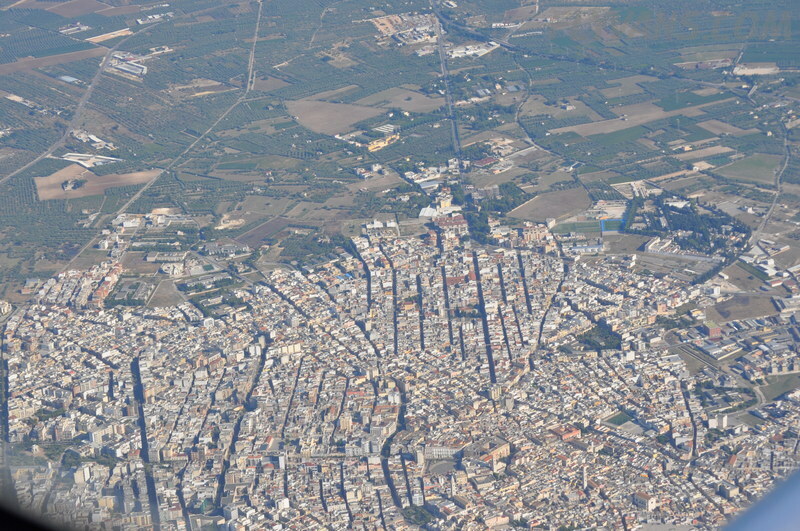 Unfortunately, Foggia did not live up to its good GA reputation (eddh.de, other sources). 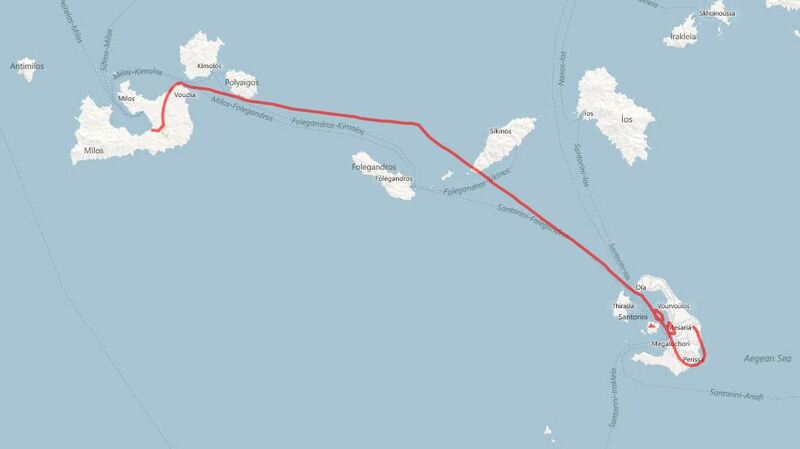 We lost more than an hour on fueling expensive at 3€/l (approx 16$/gal!!!) 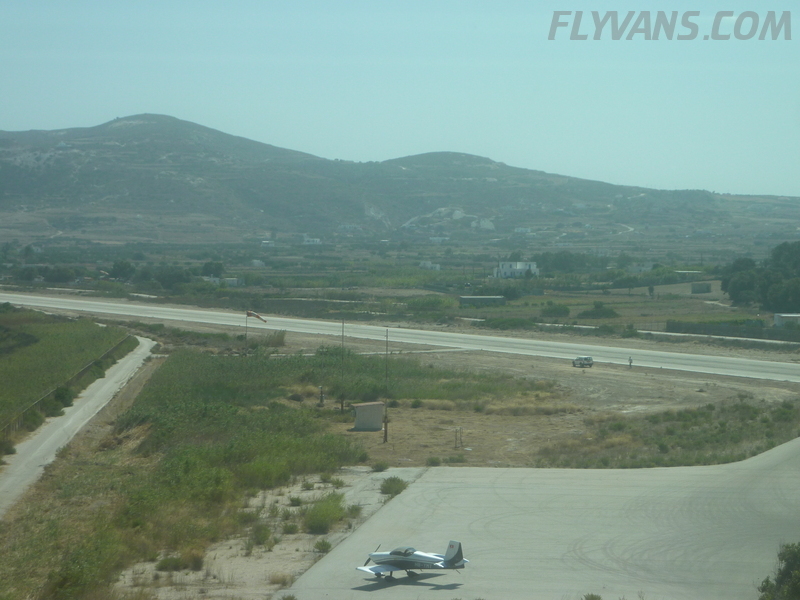 Avgas and watching an airport rep taking forever to print a paper slip to enable us to pay the landing fees of another twentyish Euros. 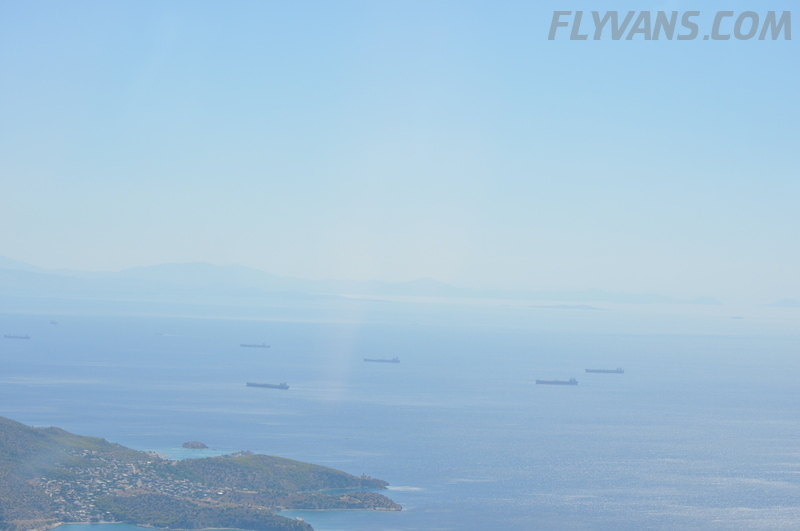 To top it off, despite emails and phone calls ahead of time, customs was not organized as it should have been. 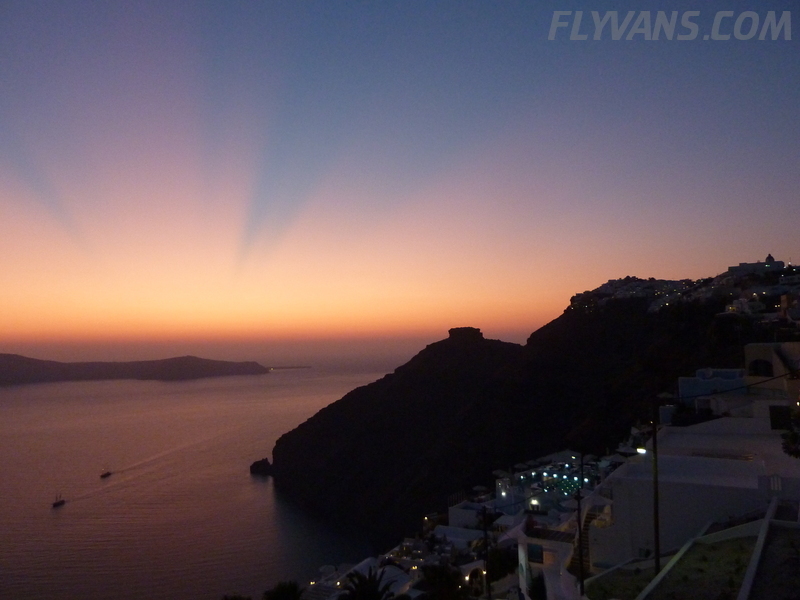 We were lucky that this didn’t delay us any further. 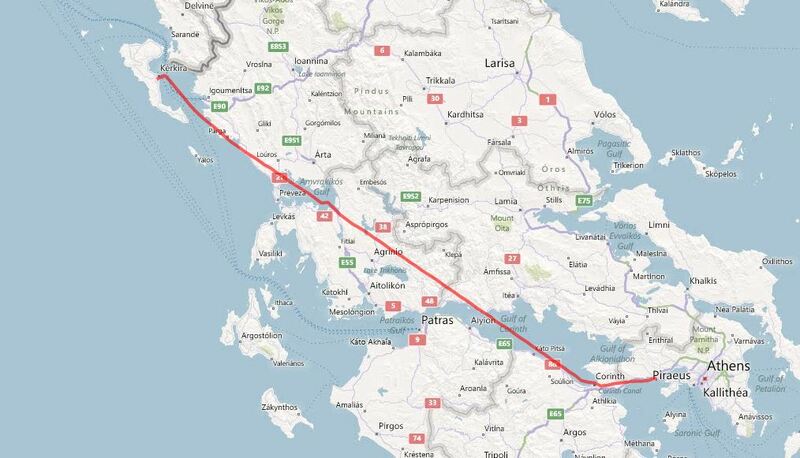 While Greece took a lot of effort for flight planning and then the actual operation turned out to be very easy, Italy was quite the opposite. 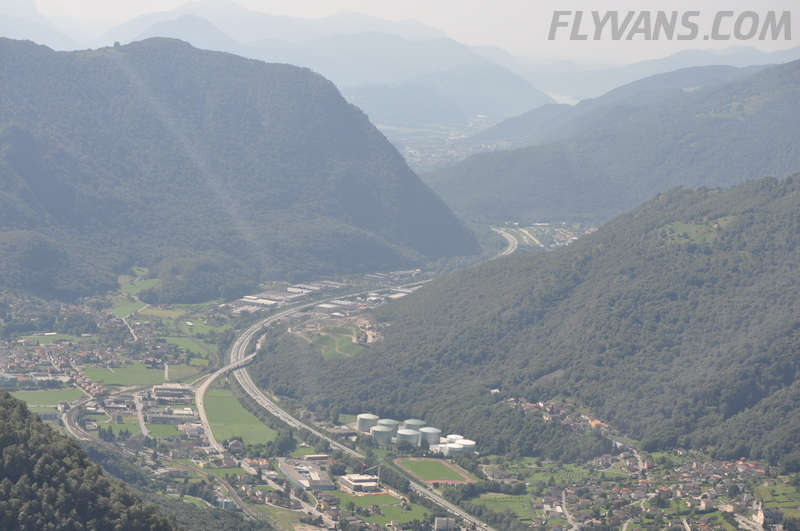 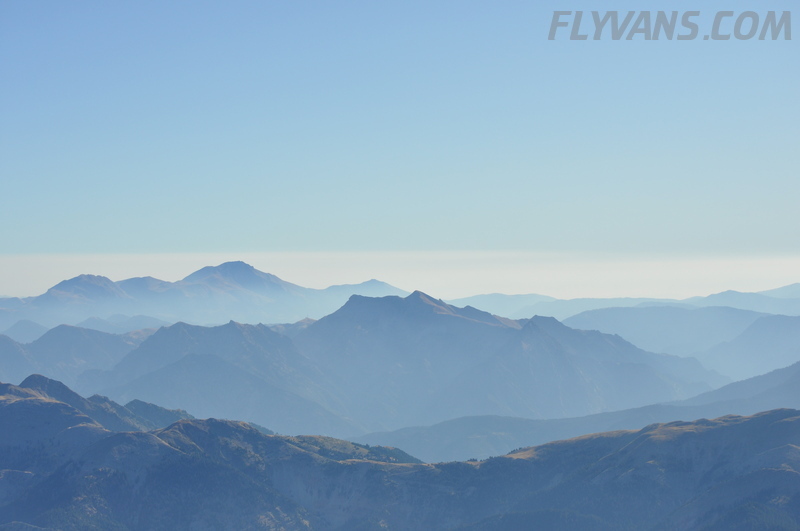 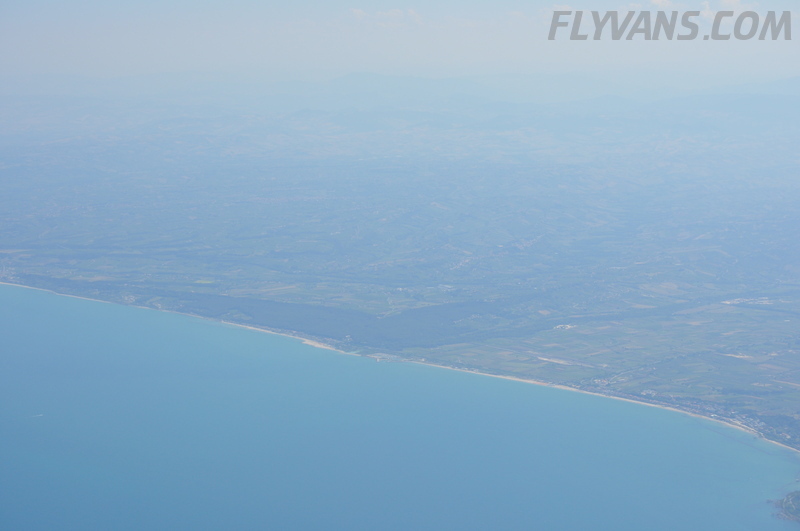 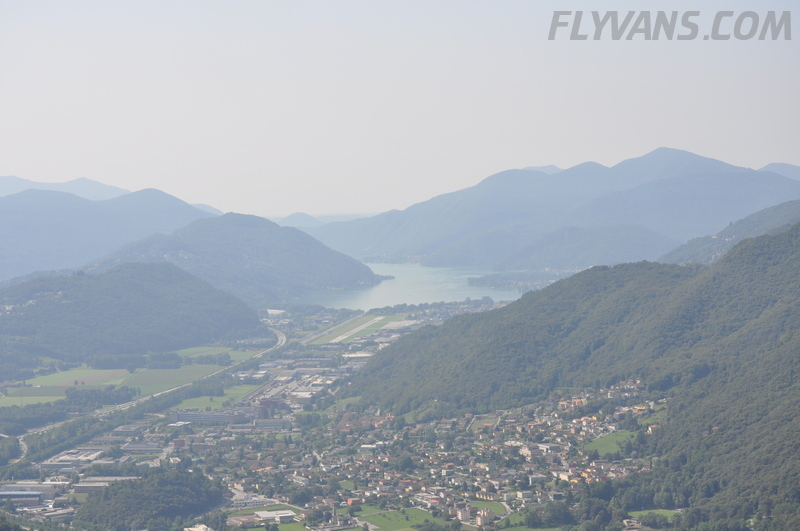 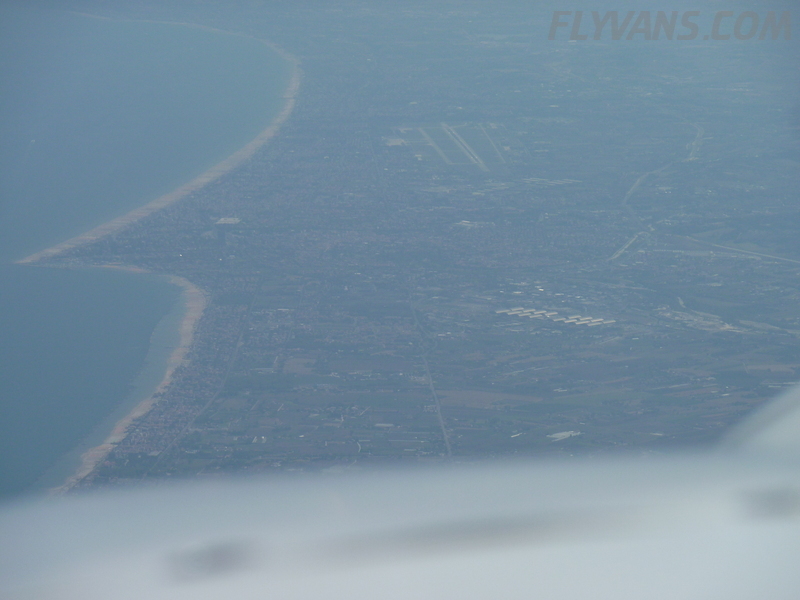 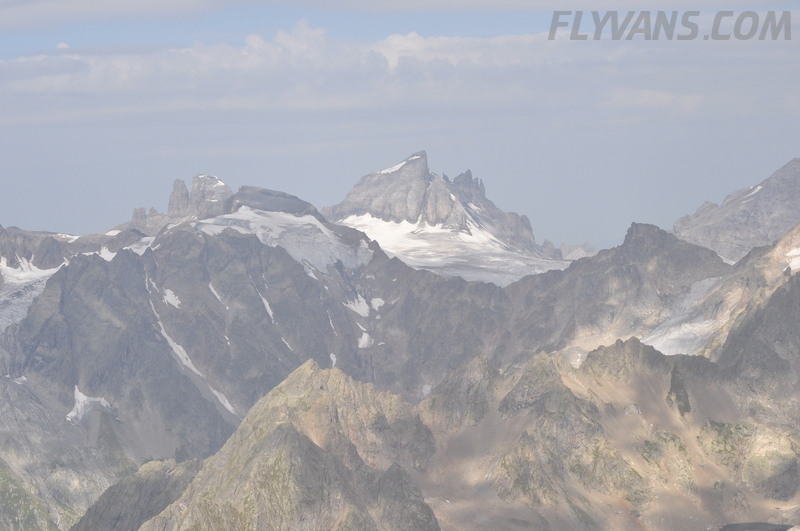 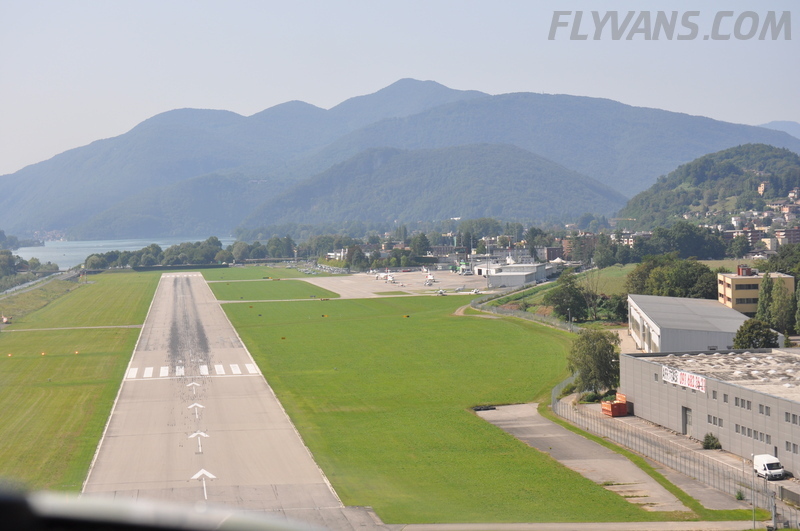 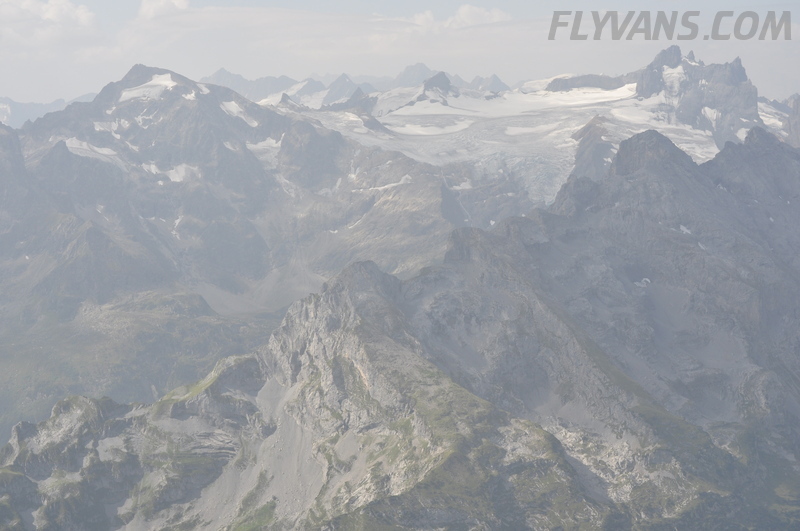 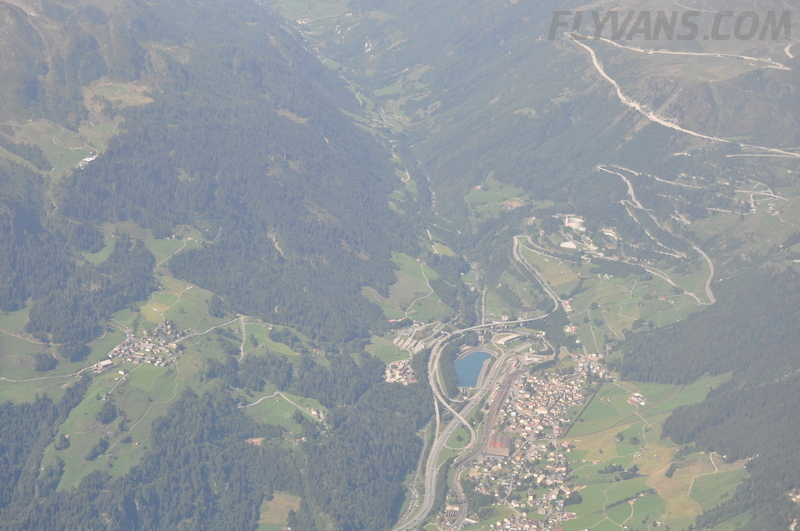 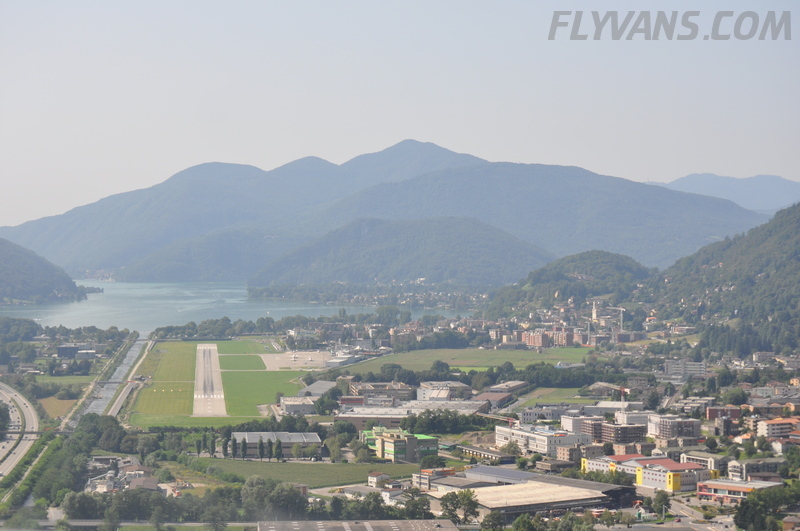 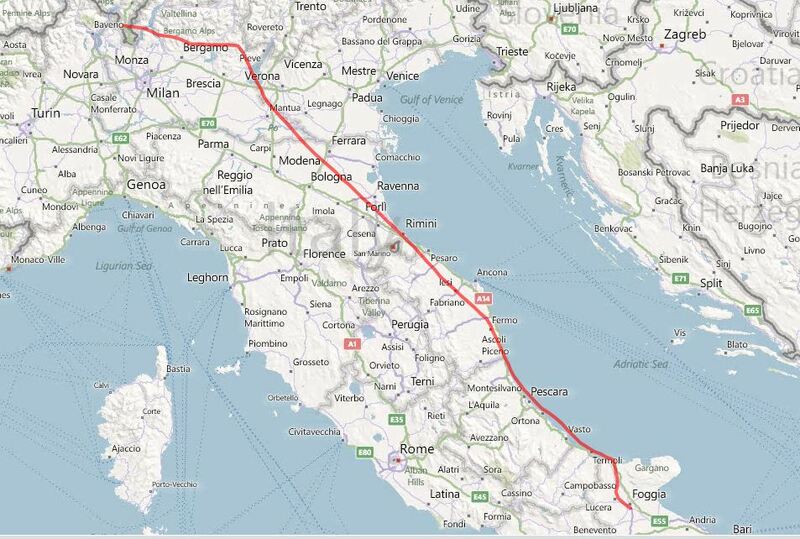 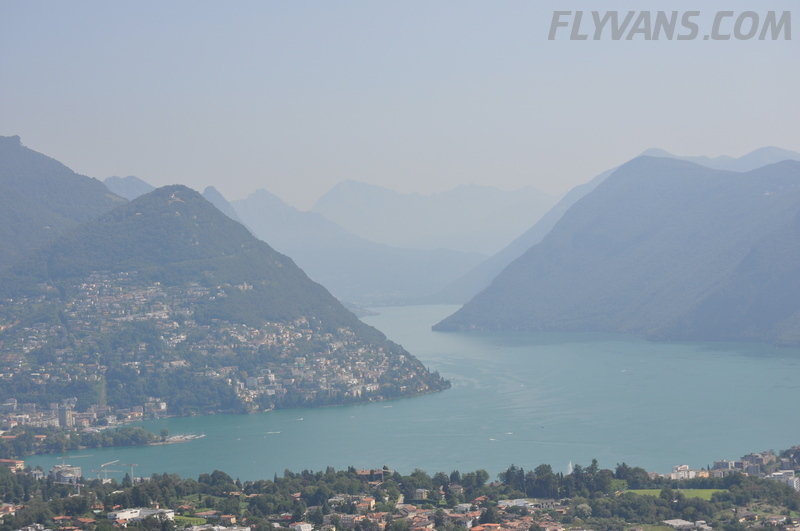 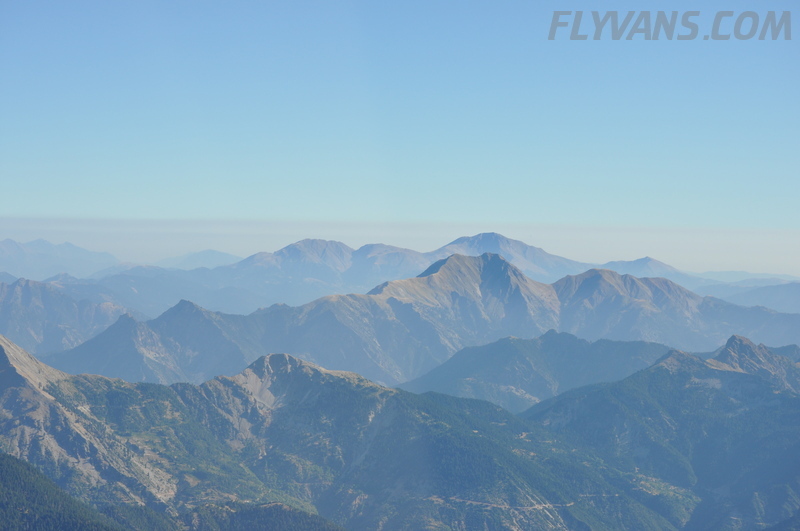 At first sight, Italy is pretty easy flight planning wise, but then turns out to be quite a pain for operation. 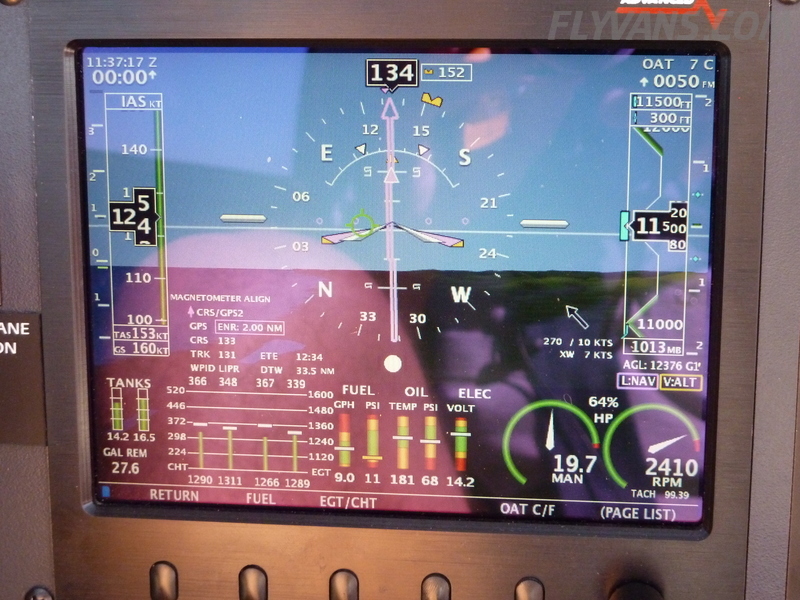 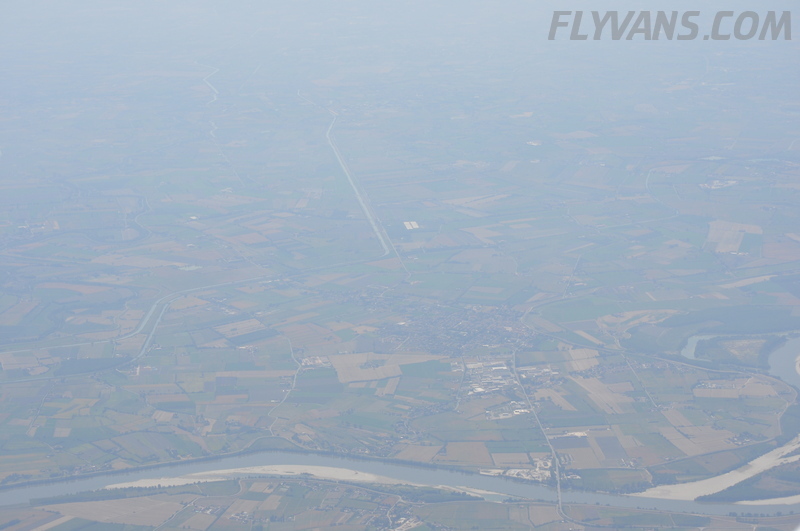 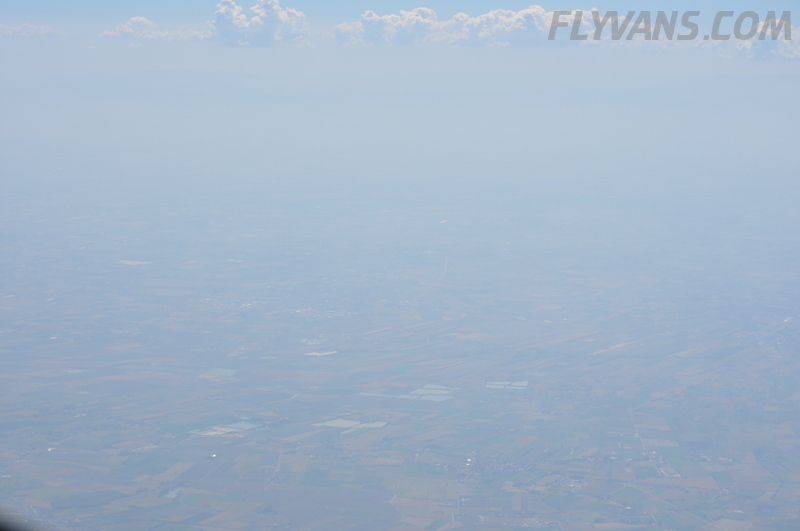 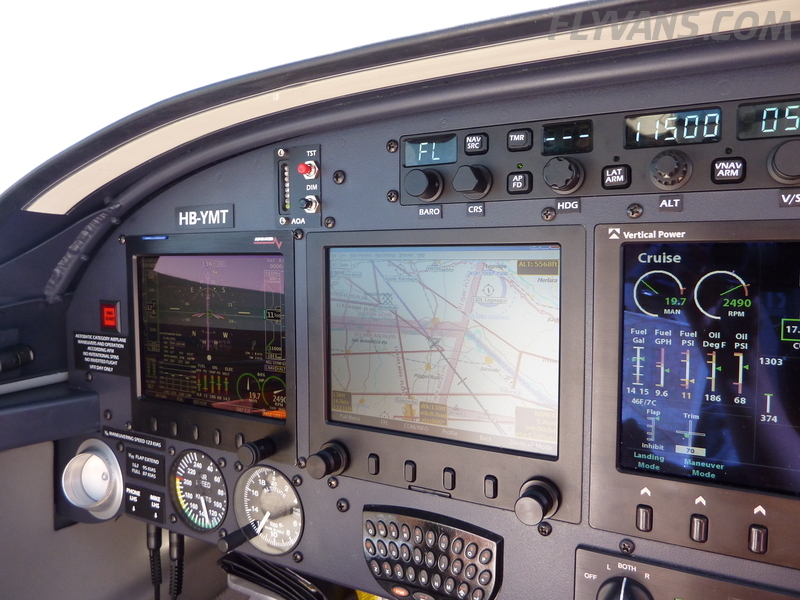 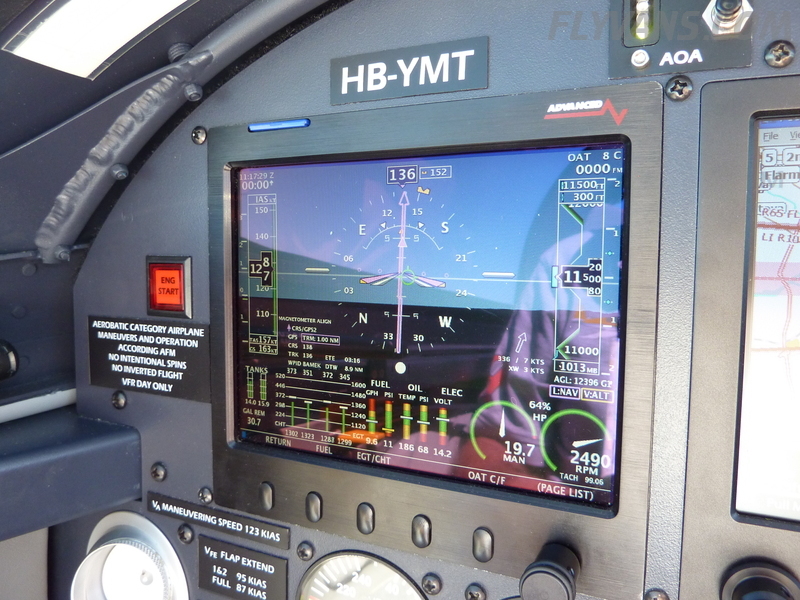 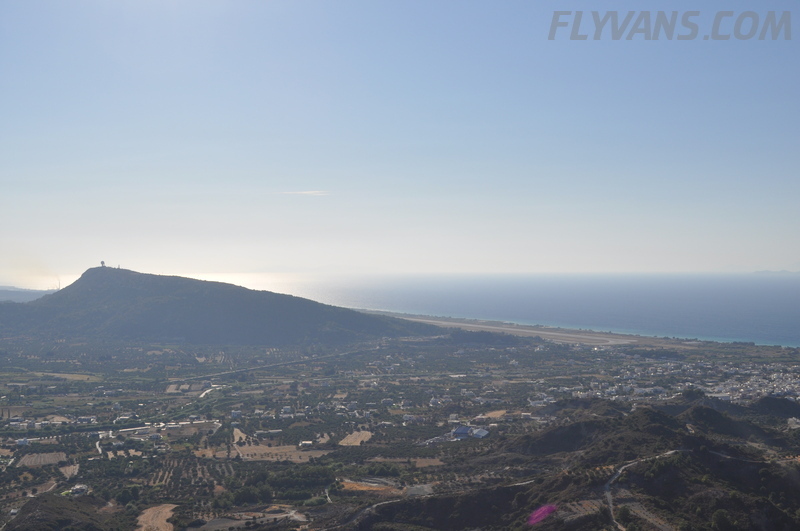 Controllers tend to have a VFR-averse attitude and airspace structure is set to mainly keep you below 2000ft AGL. 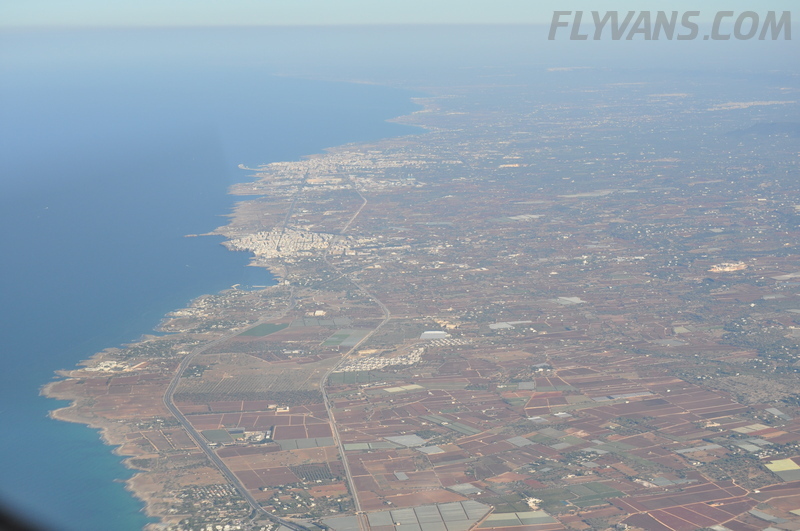 Despite this, I managed to get a decent economic cruising level of FL115 for the better part of the flight, but it required hints and suggestive communication all the time. 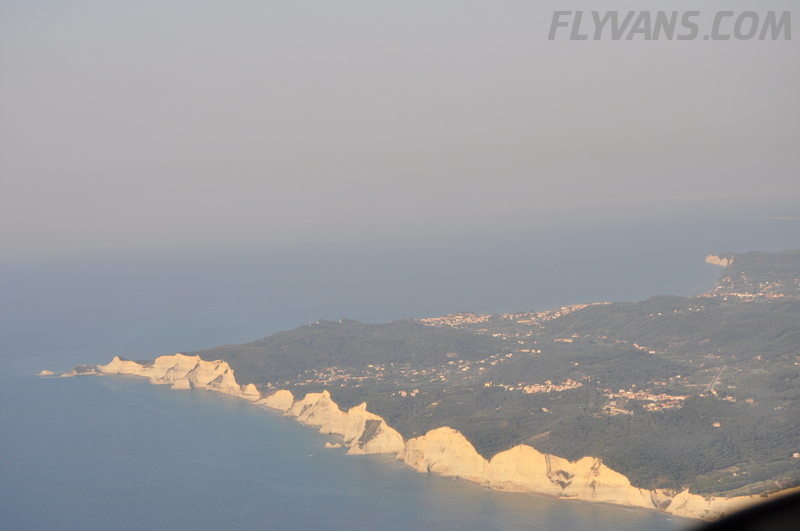 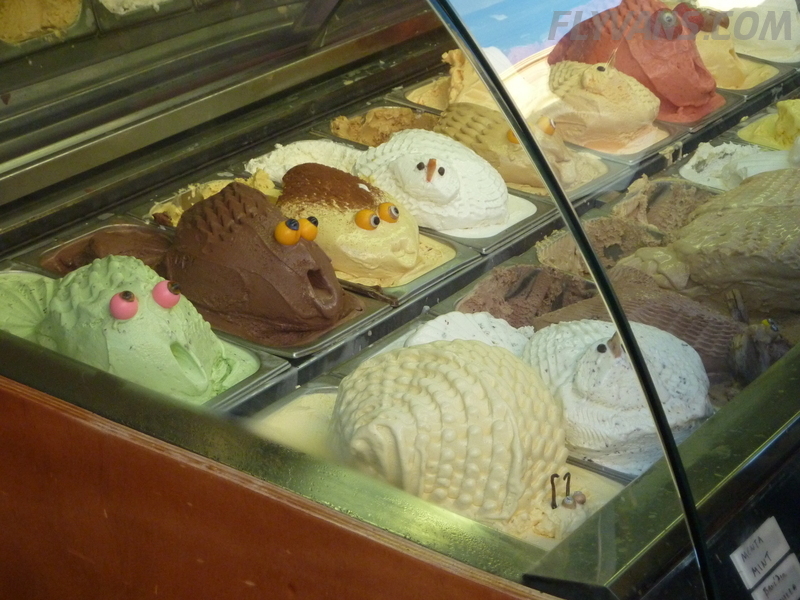 Also, the scenery along the Italian Adriatic coast is quite boring. 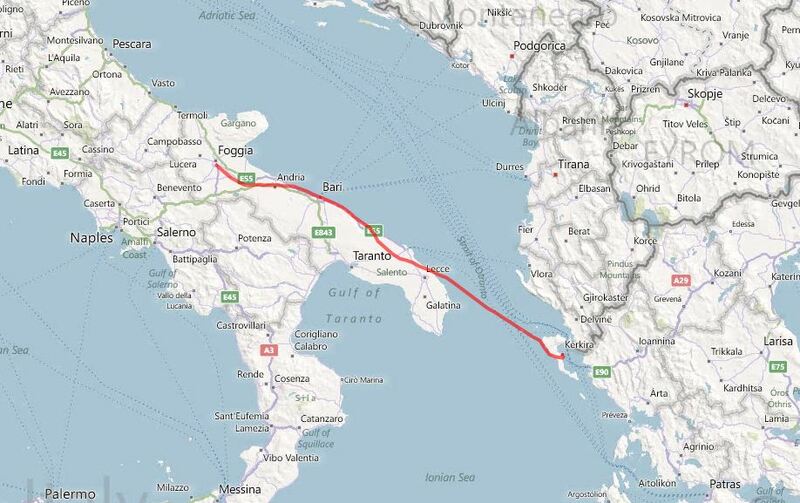 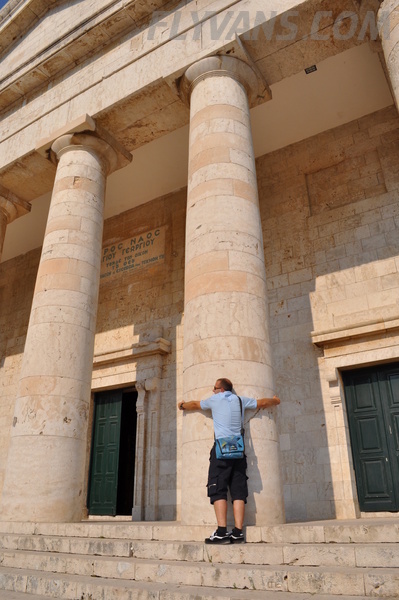 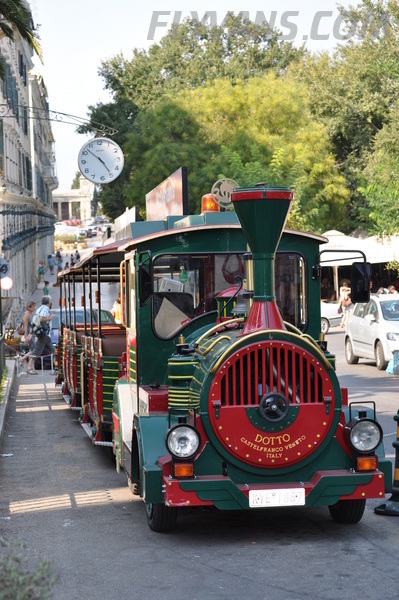 So based on our experience and the excellent reports out of Croatia (which we will fly through on the way back) I would advise against taking the Italian route unless necessary for weather or other reasons.